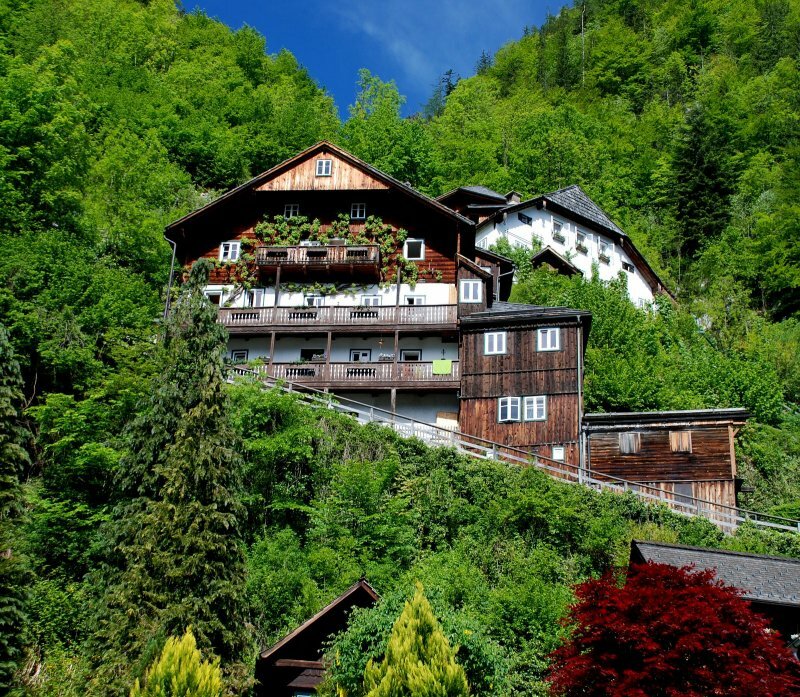 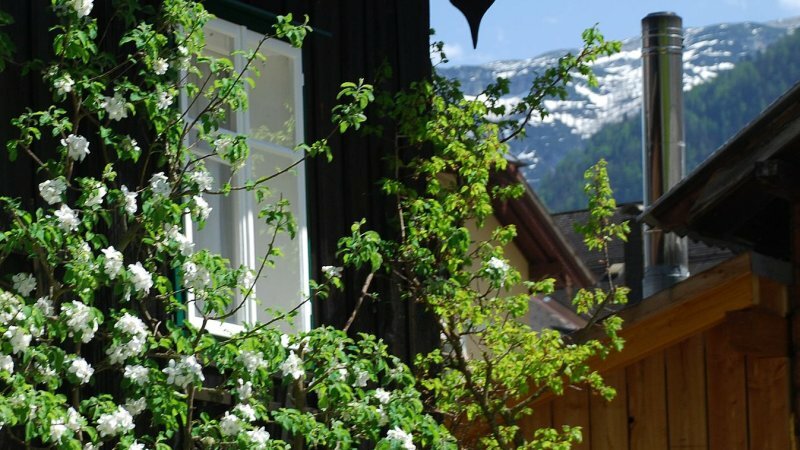 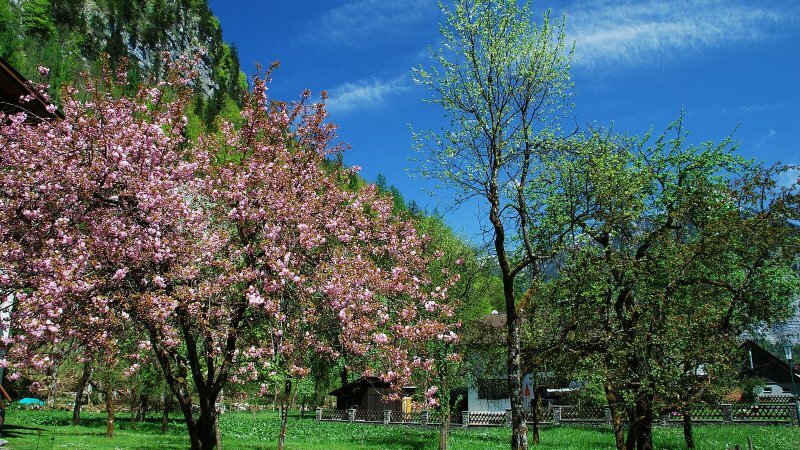 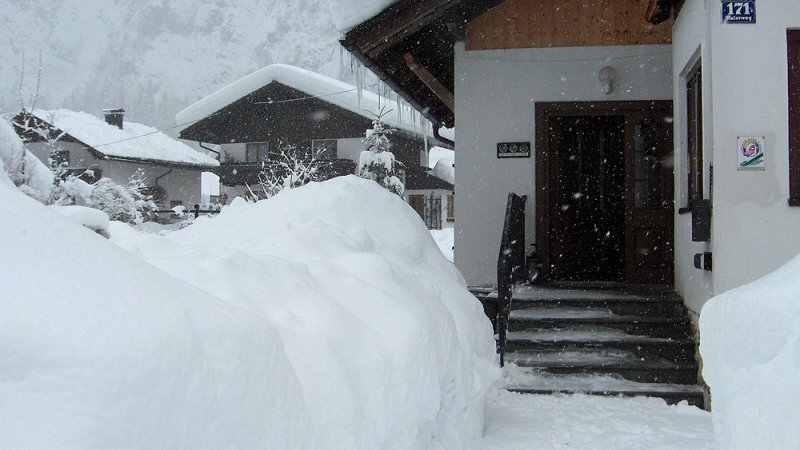 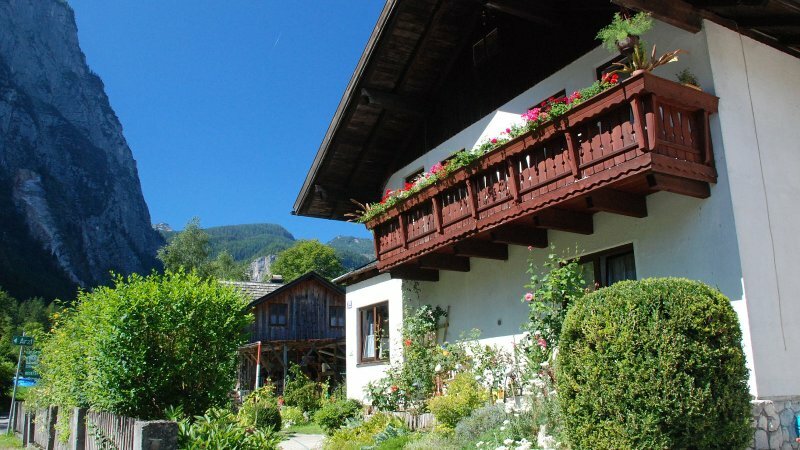 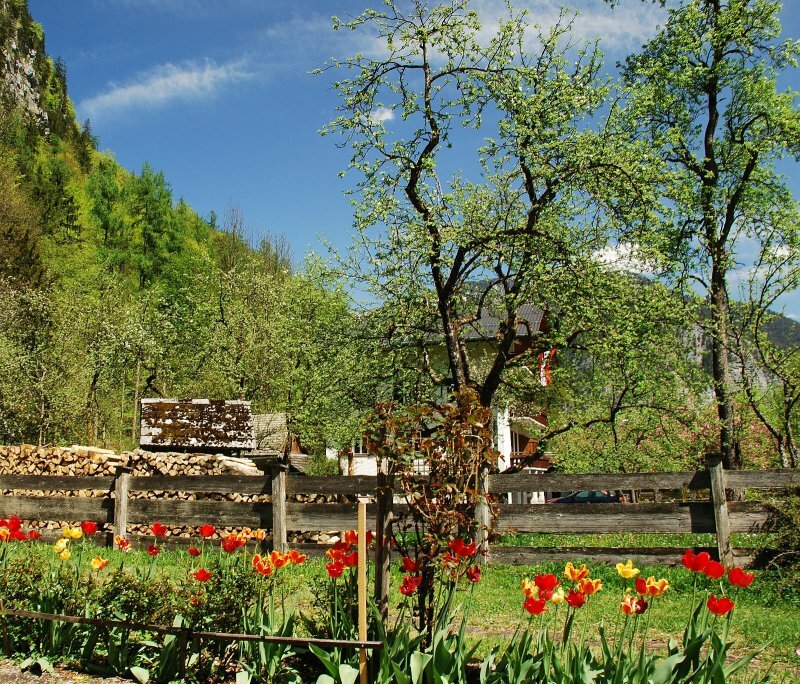 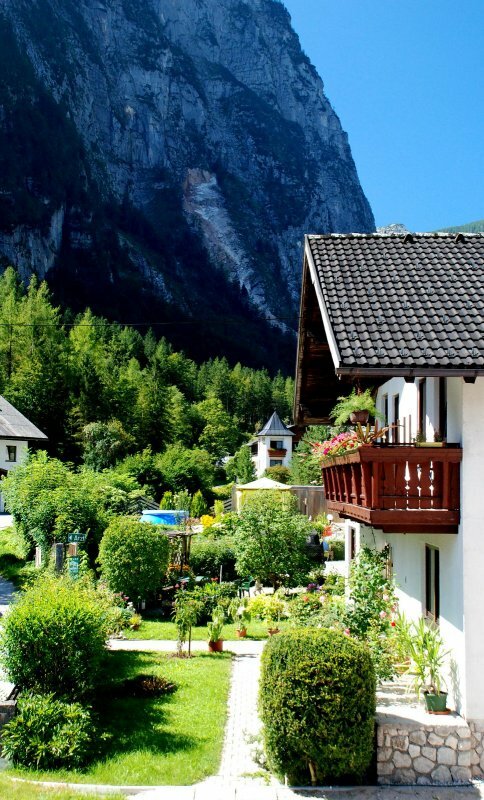 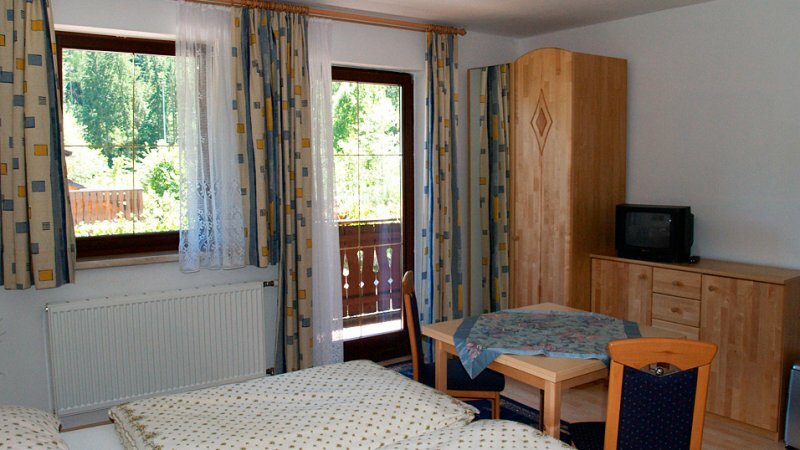 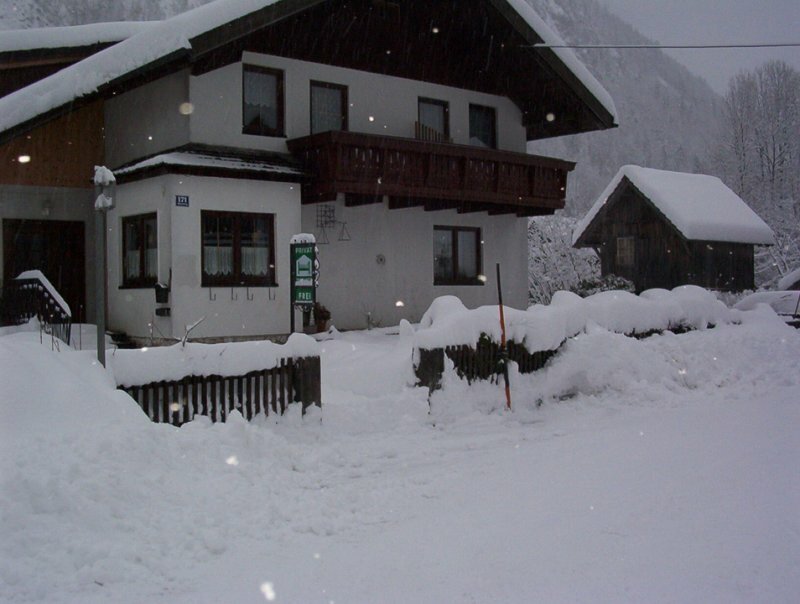 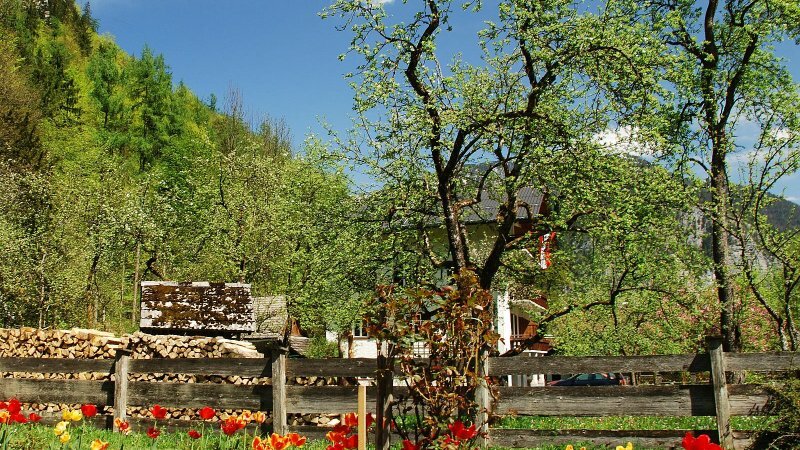 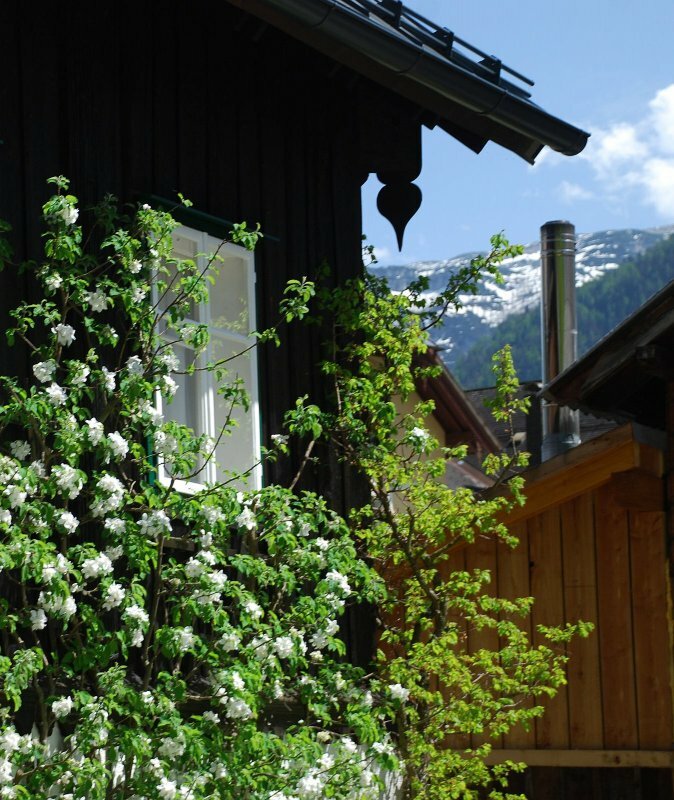 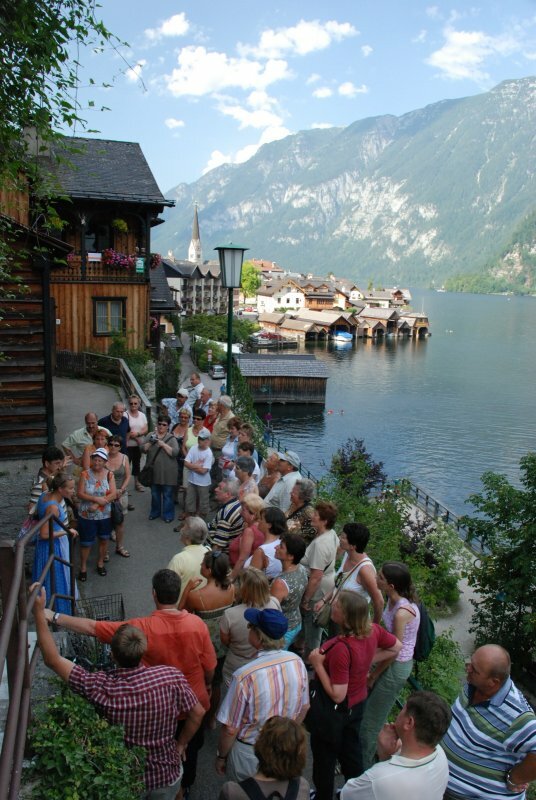 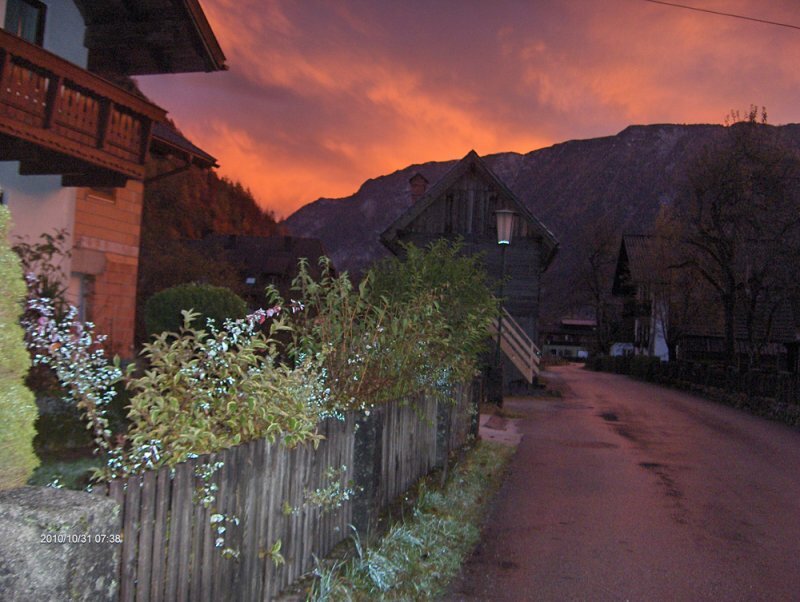 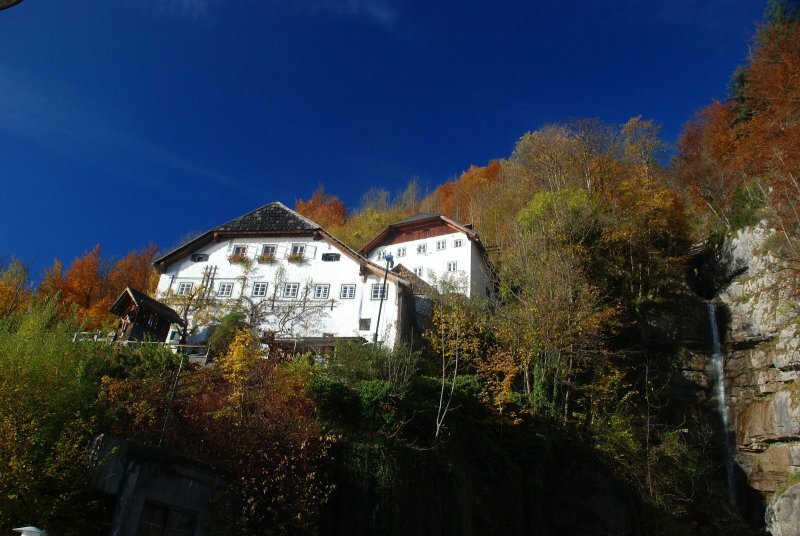 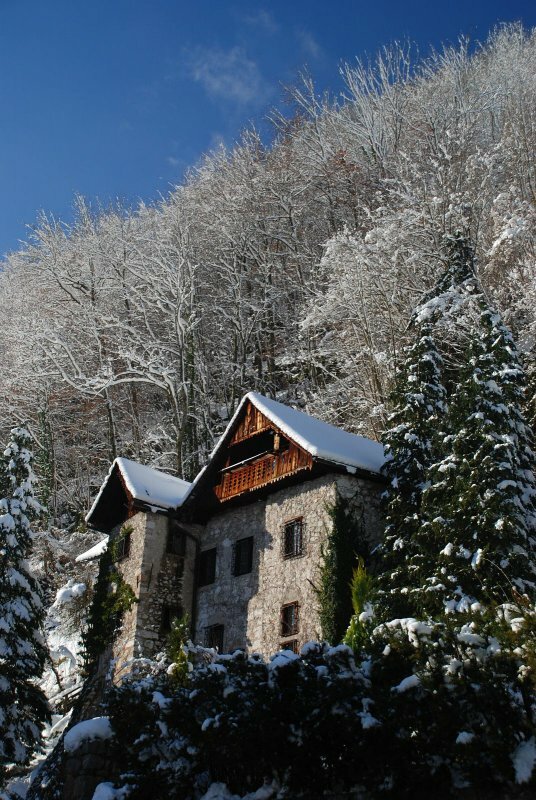 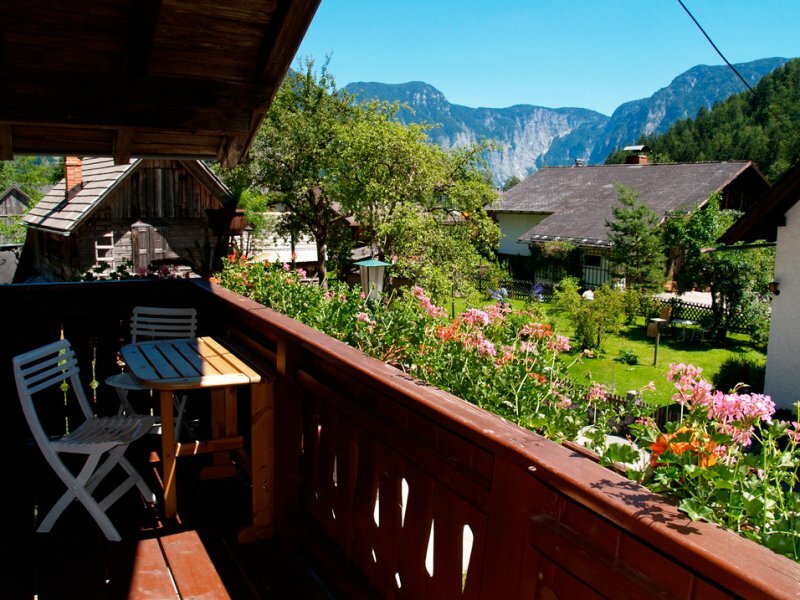 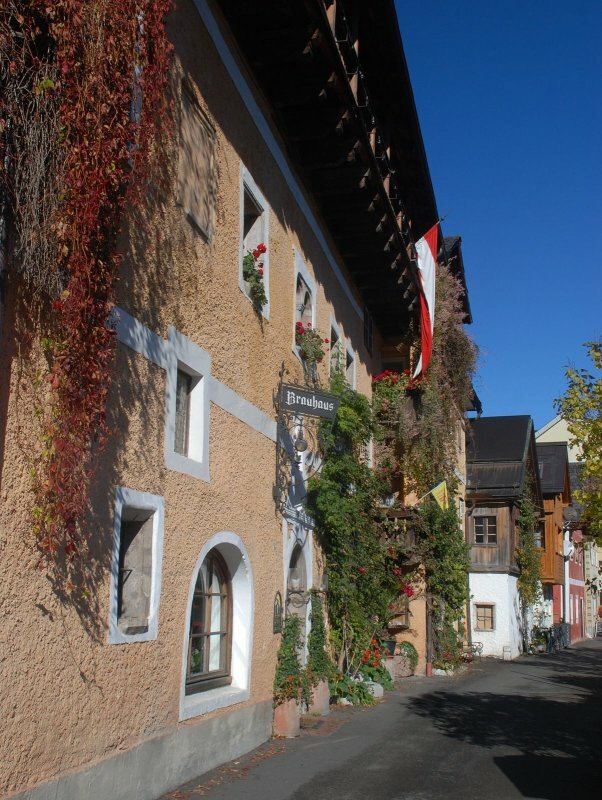 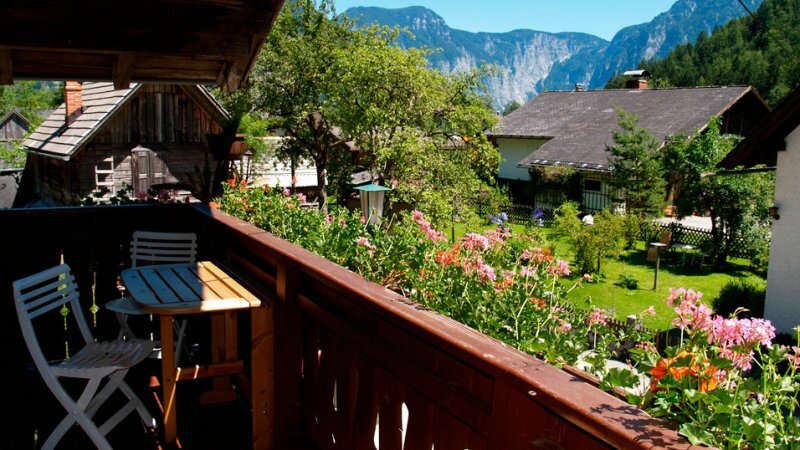 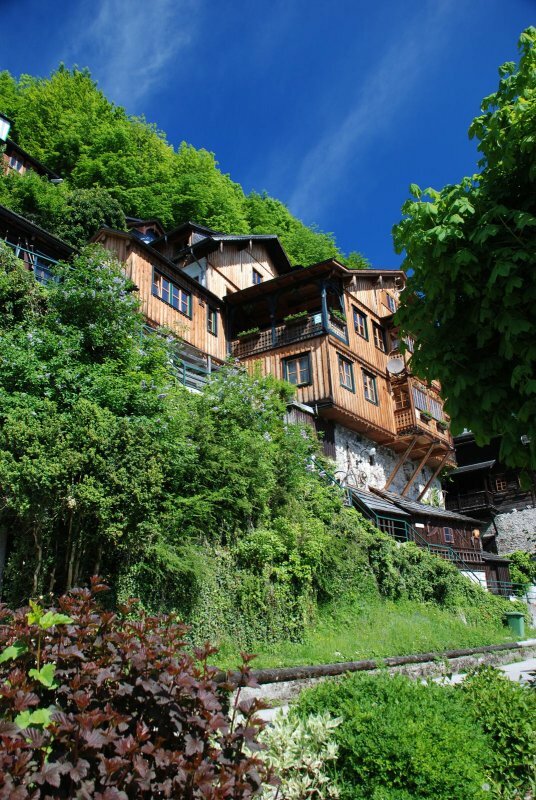 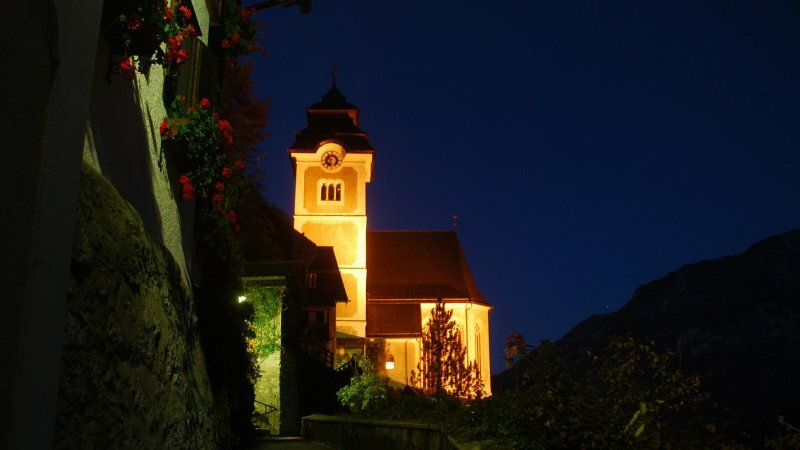 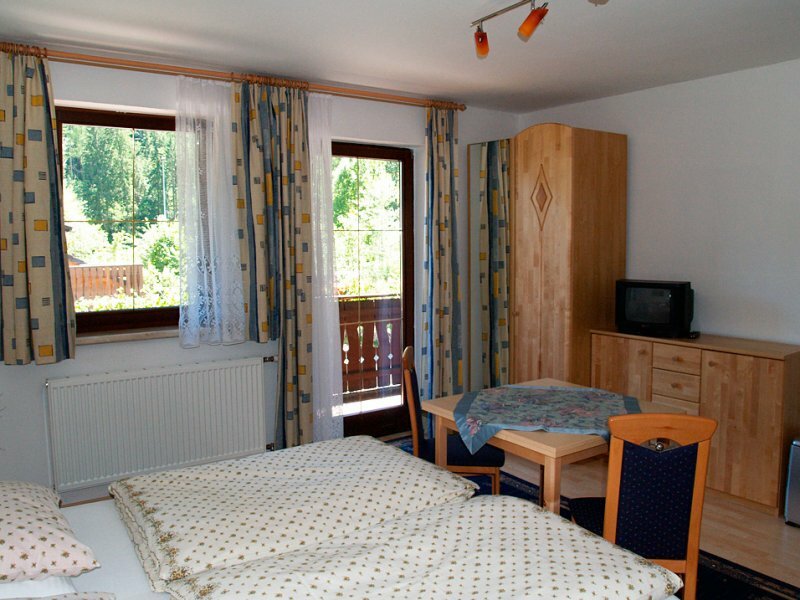 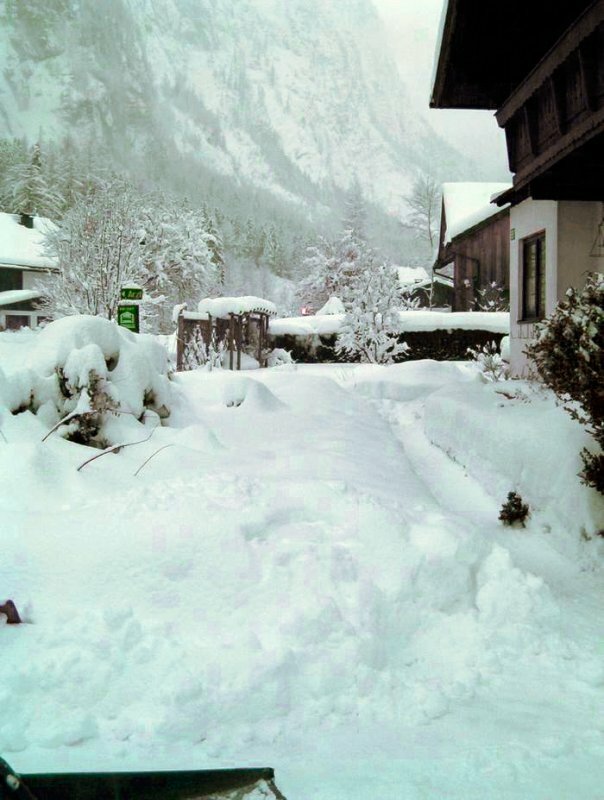 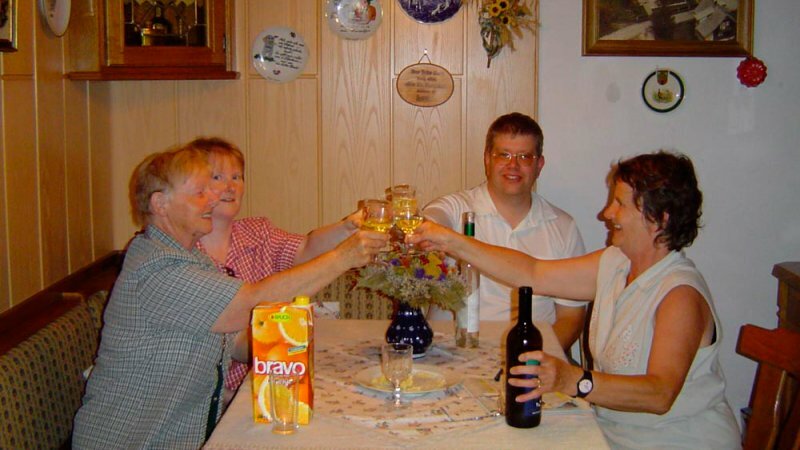 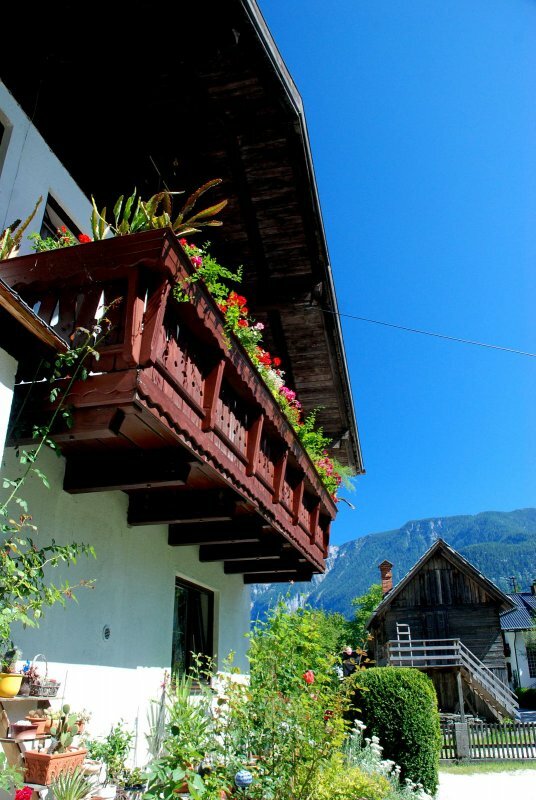 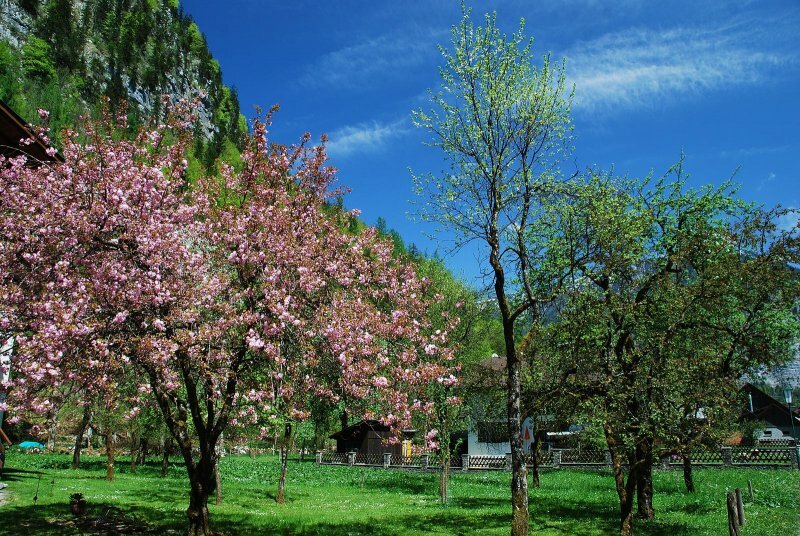 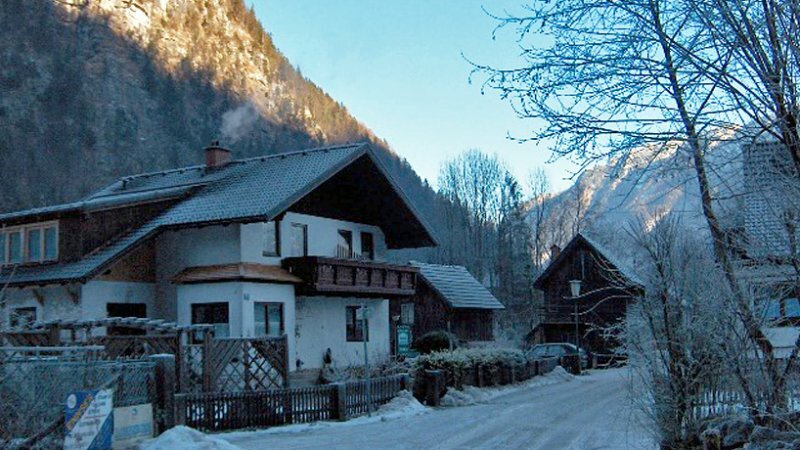 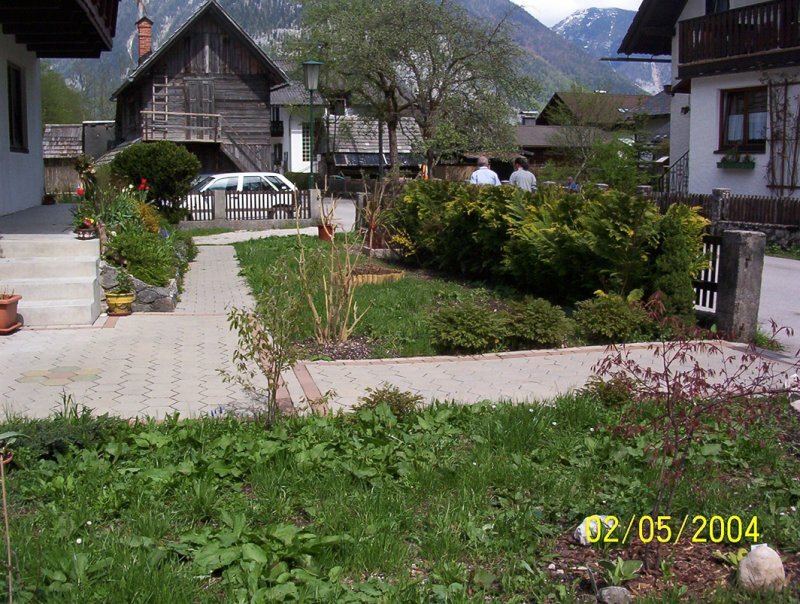 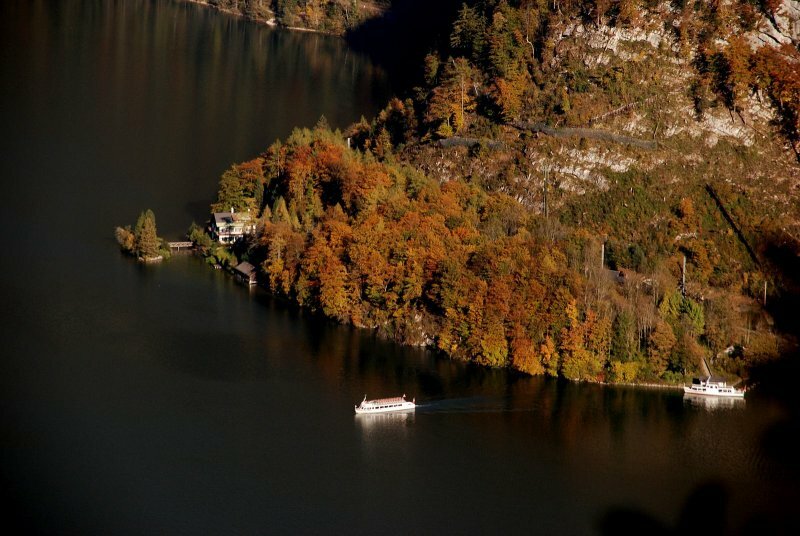 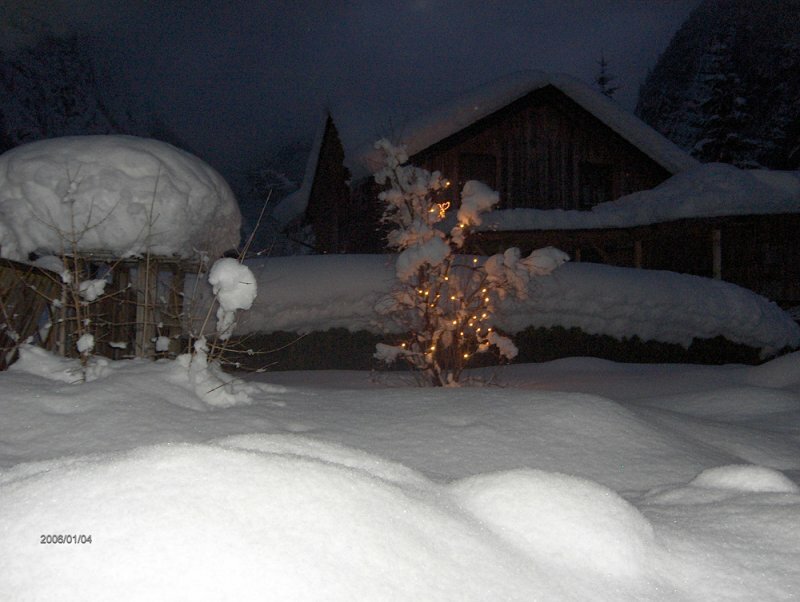 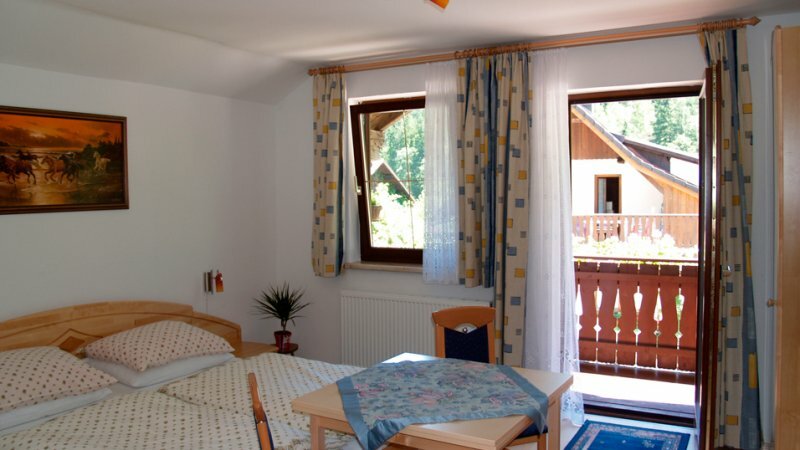 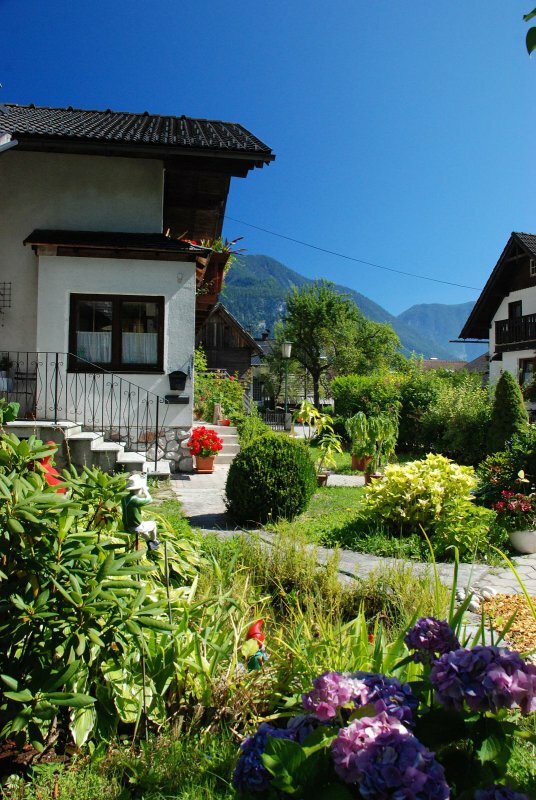 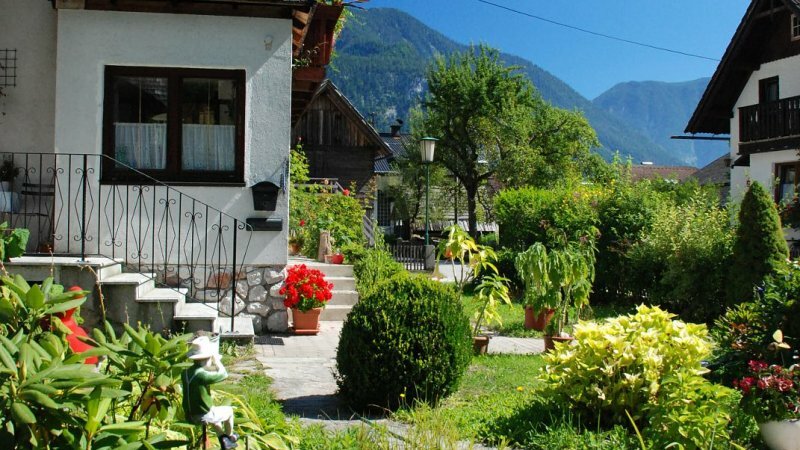 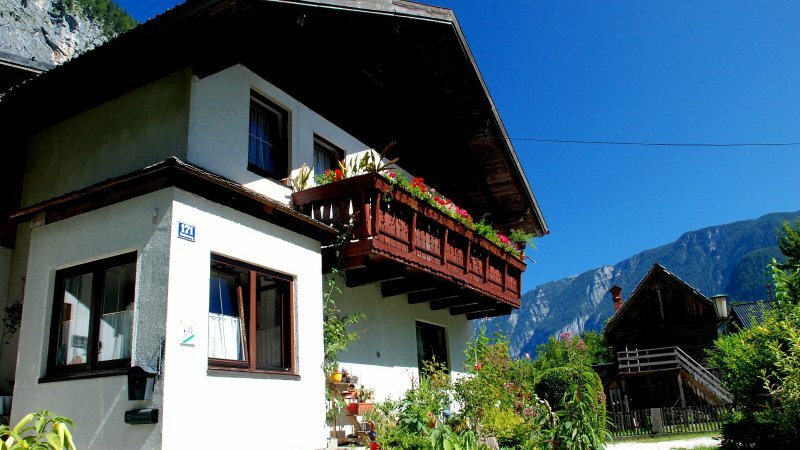 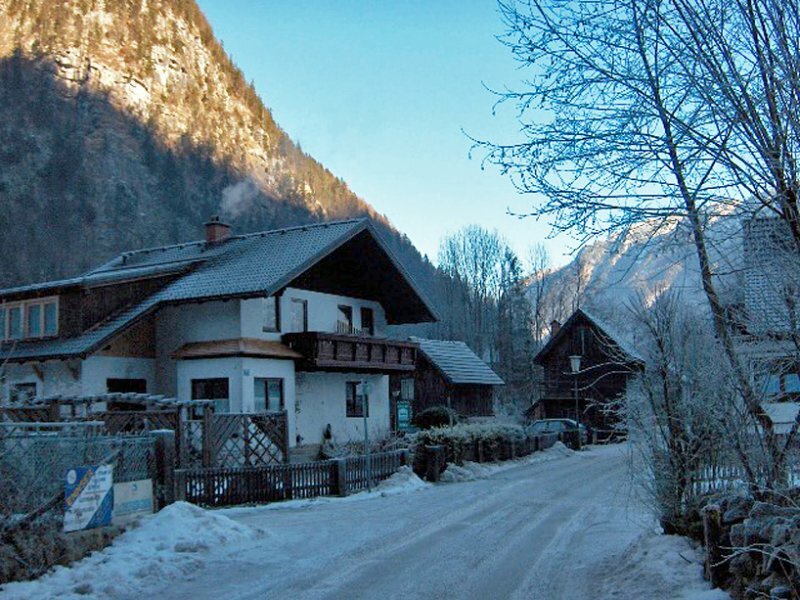 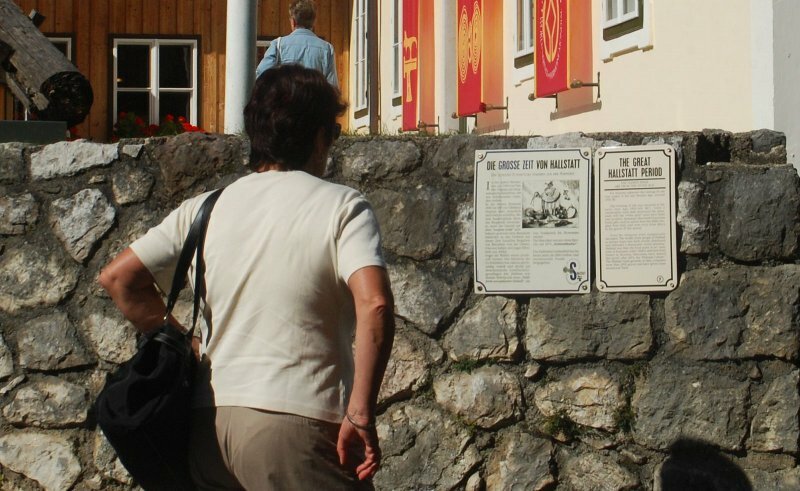 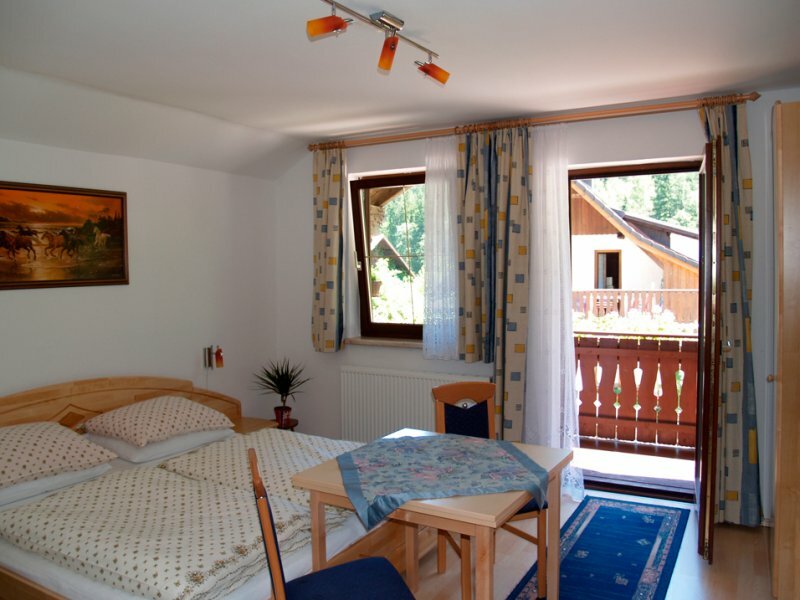 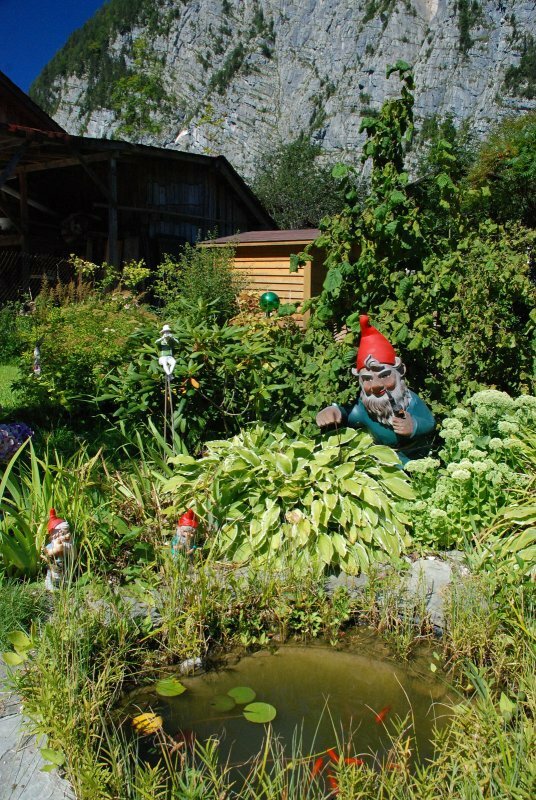 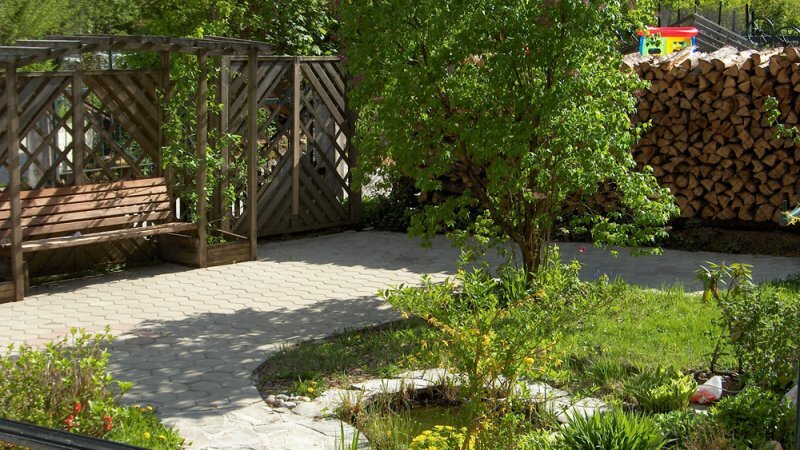 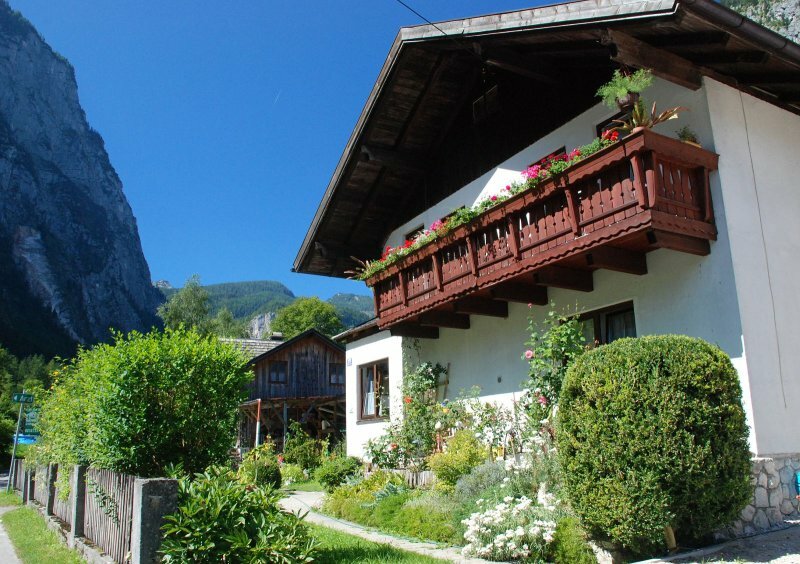 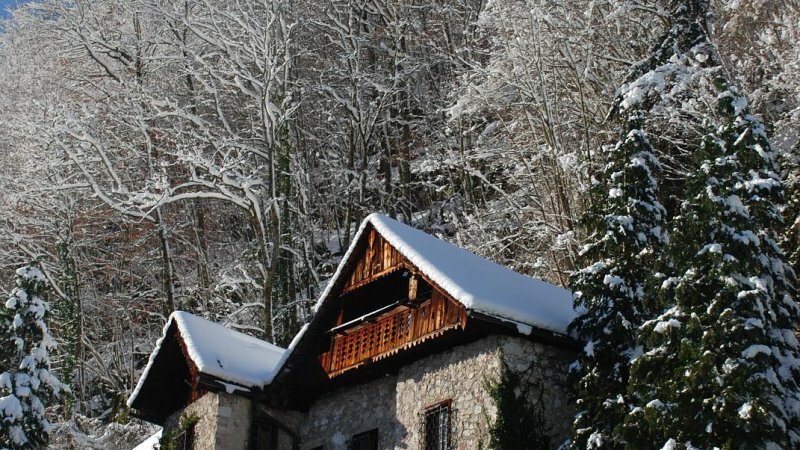 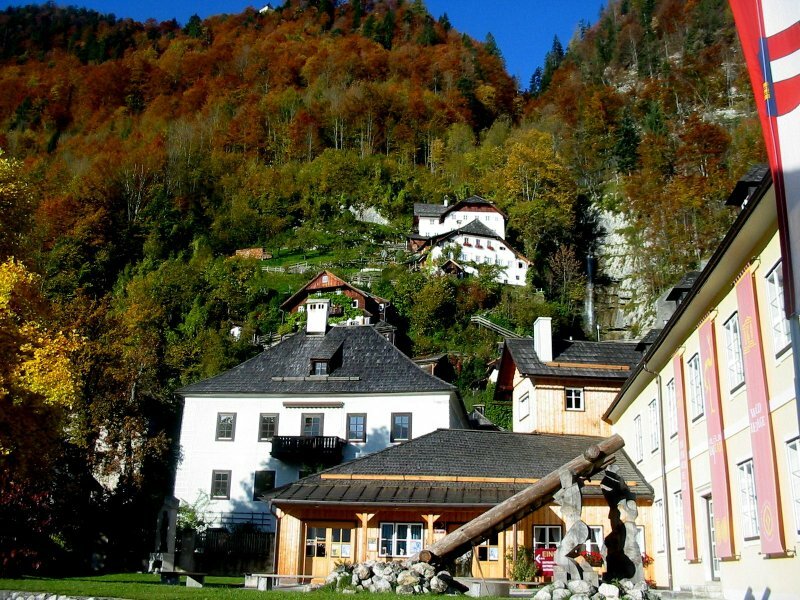 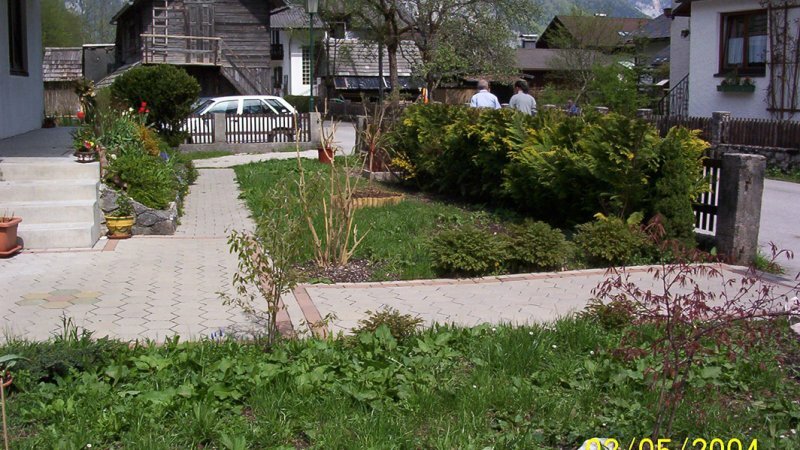 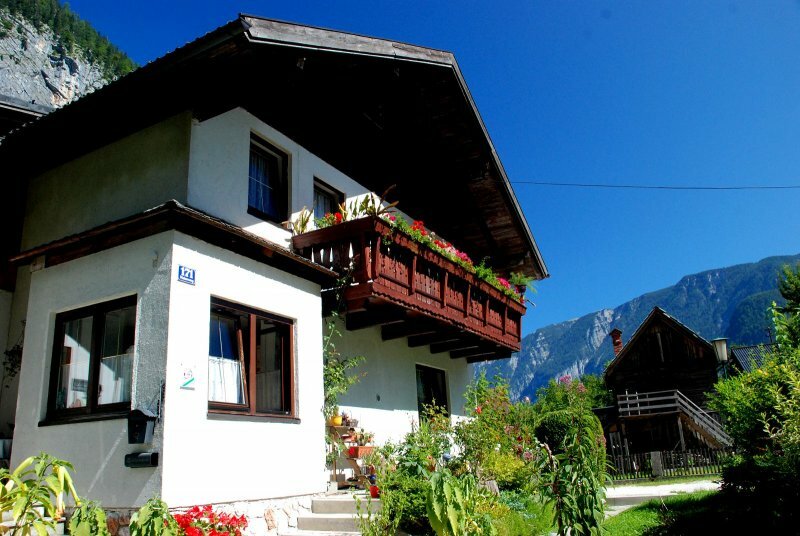 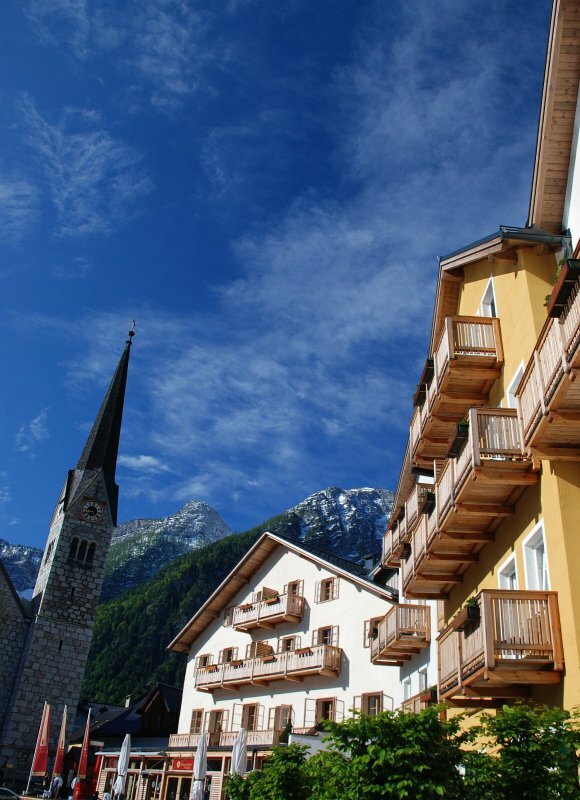 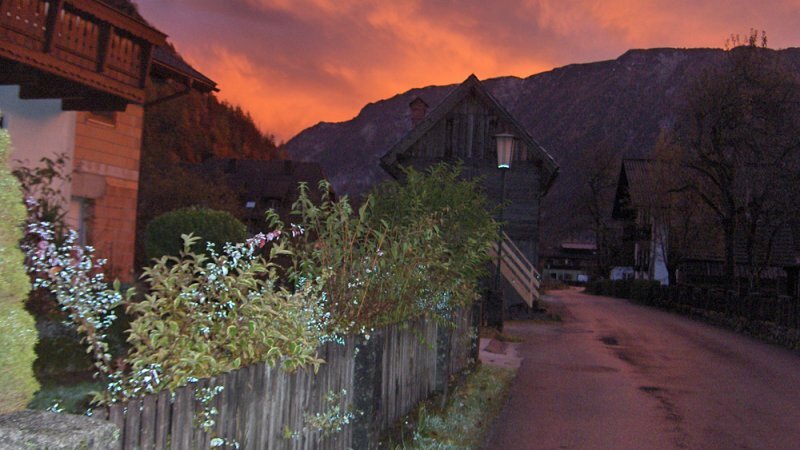 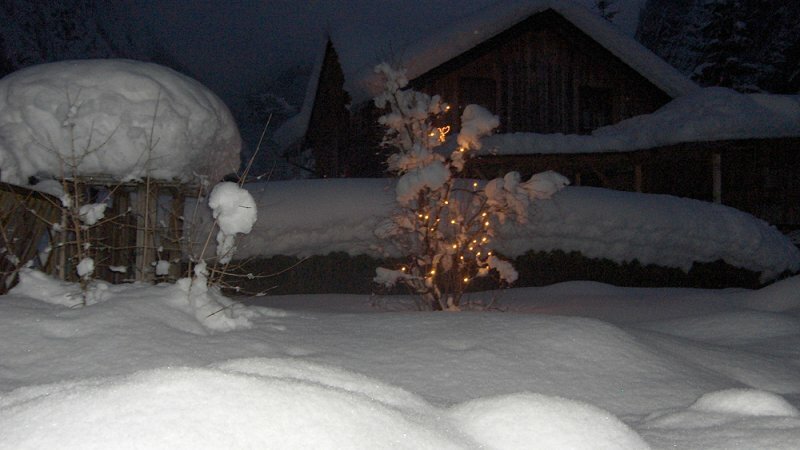 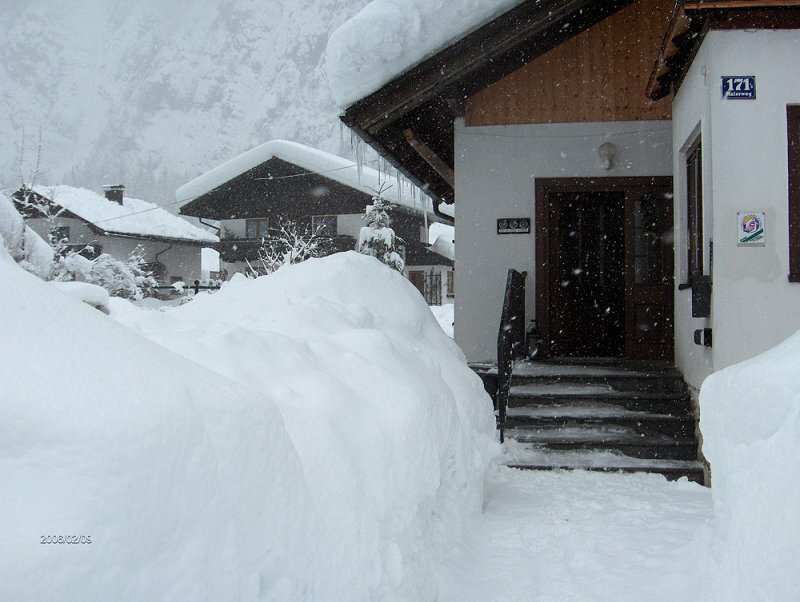 Bed &amp; Breakfast in Hallstatt: Guesthouse Cijan in the Echern Valley - © Kraft. 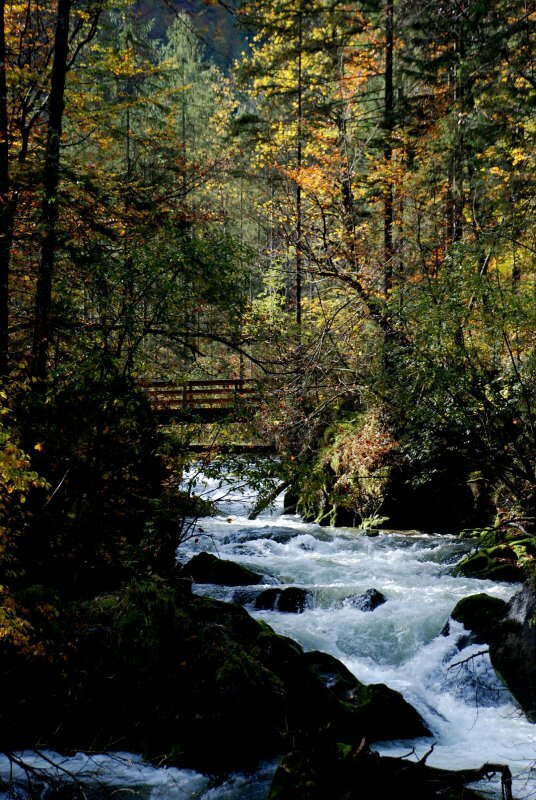 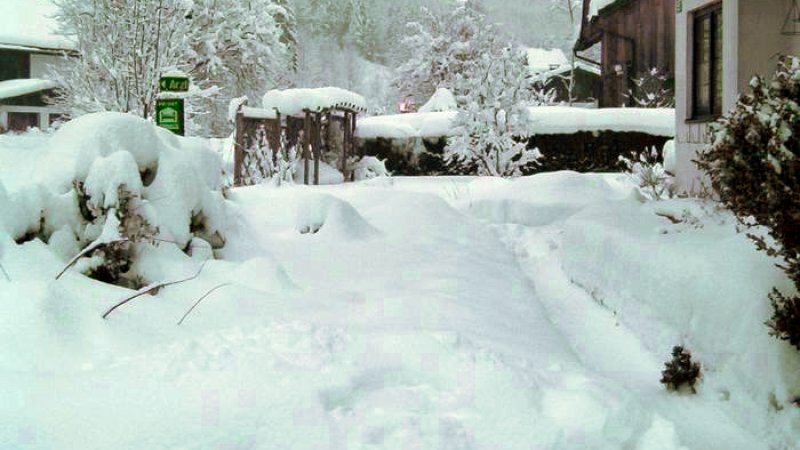 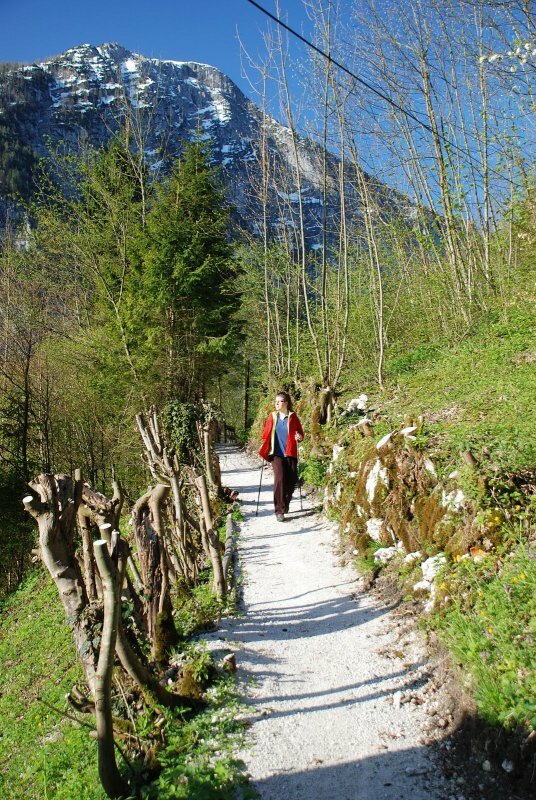 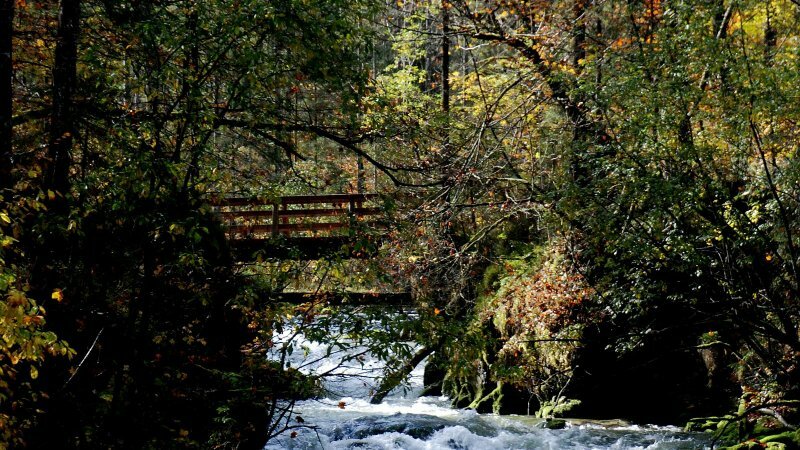 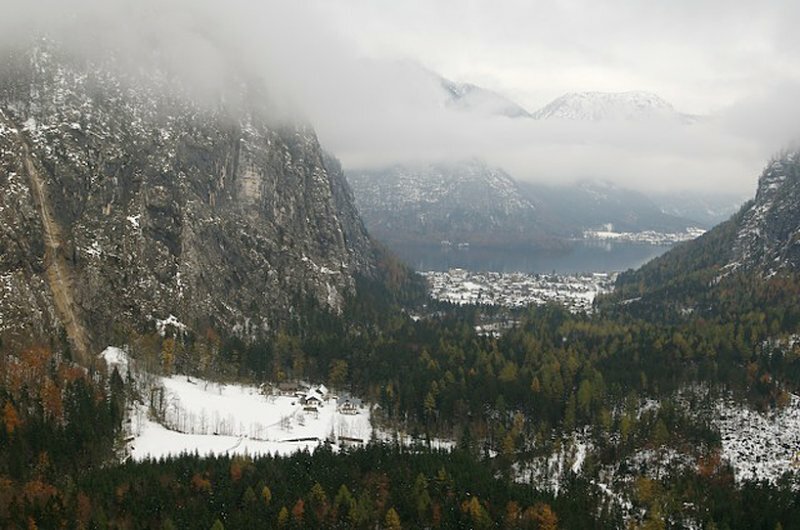 A hikers&#039; paradise - in any season. 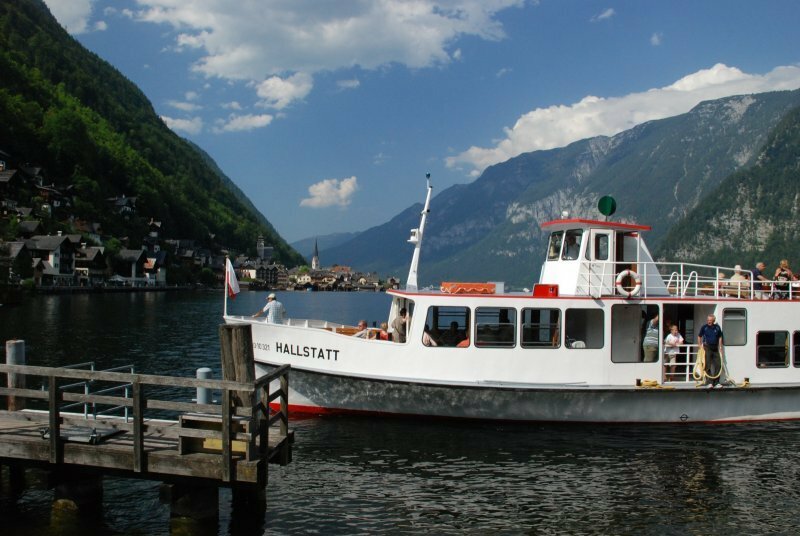 Arriving in Hallstatt by train and boat. 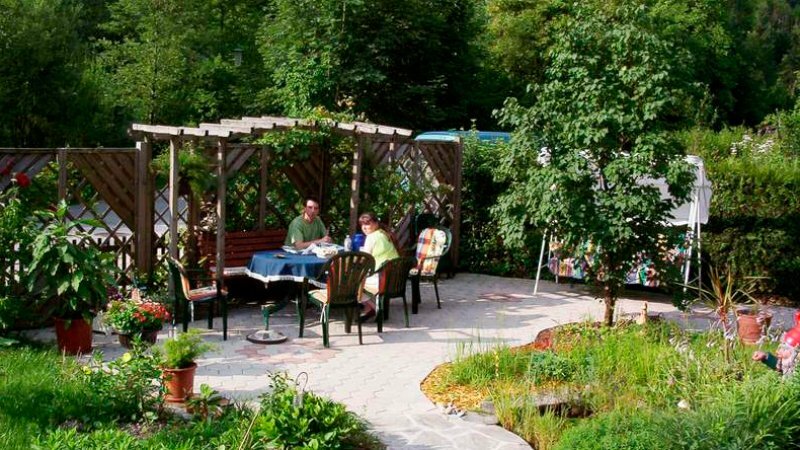 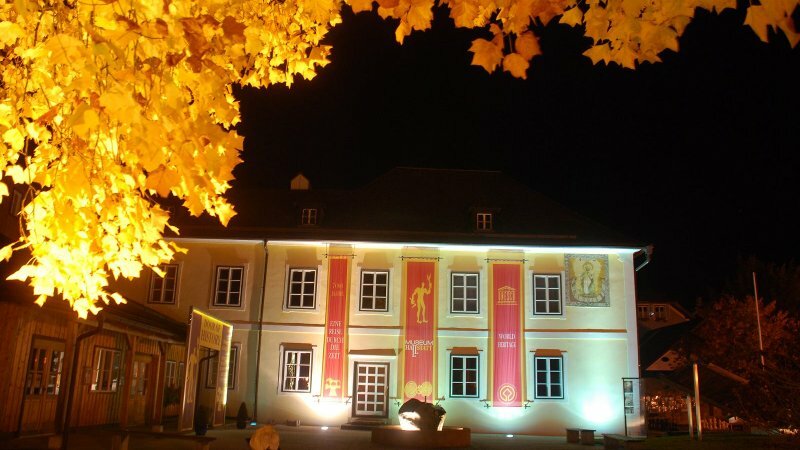 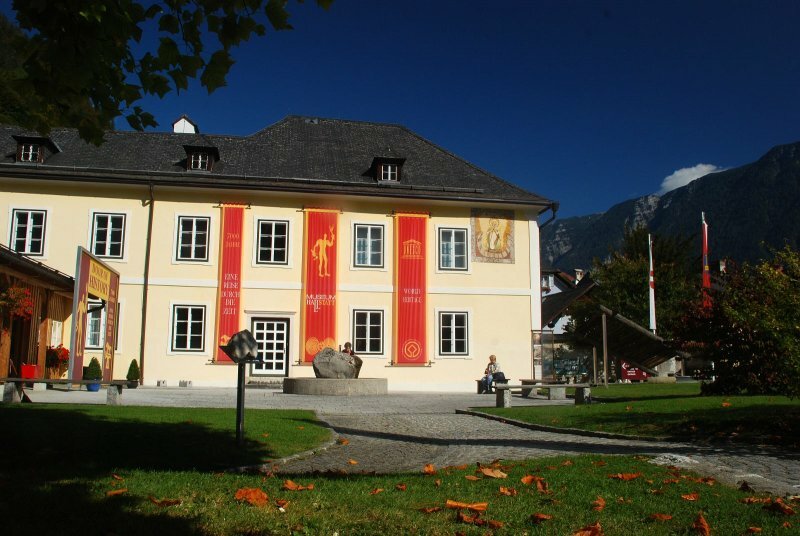 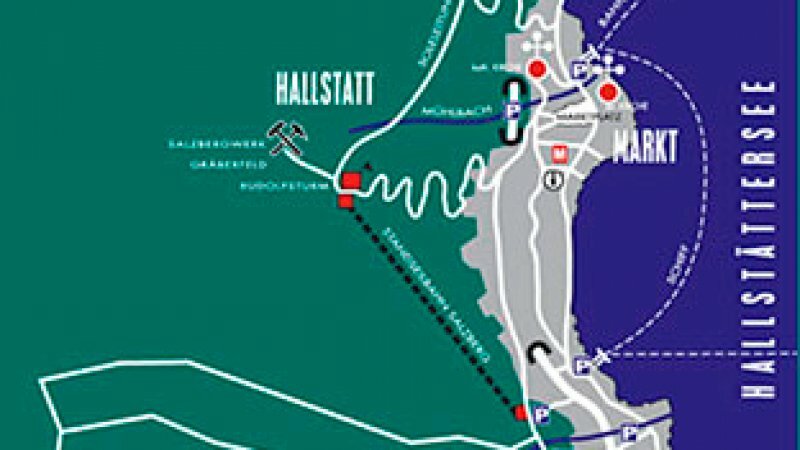 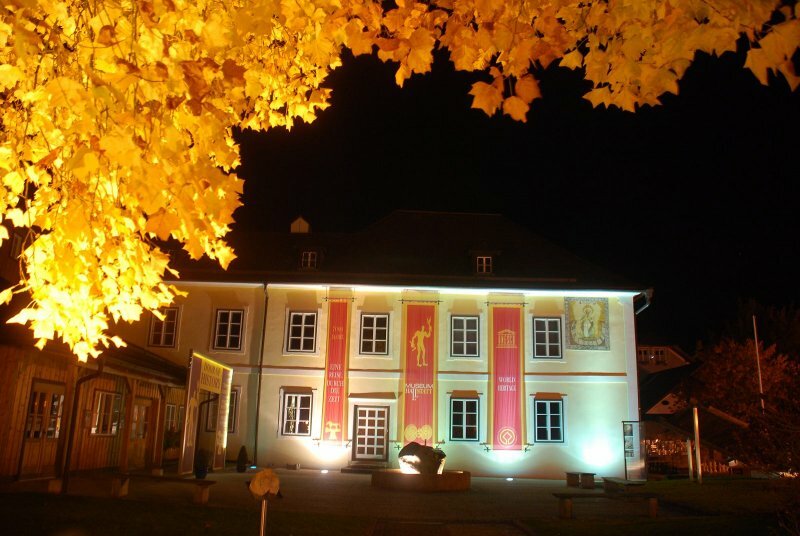 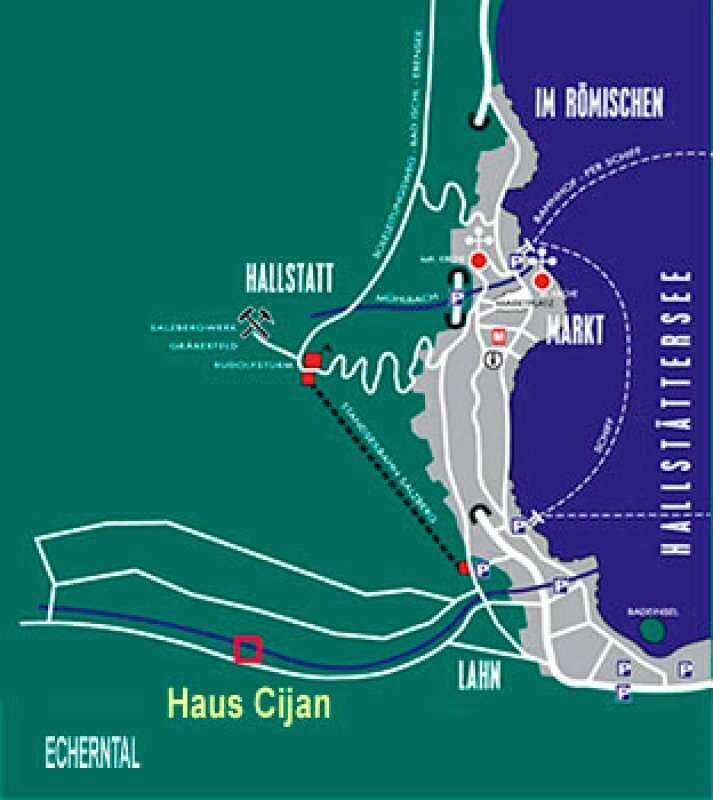 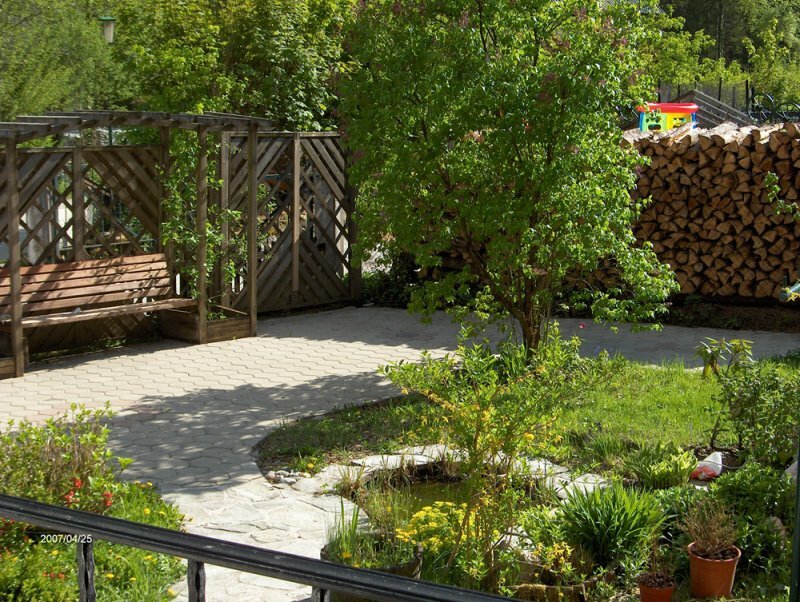 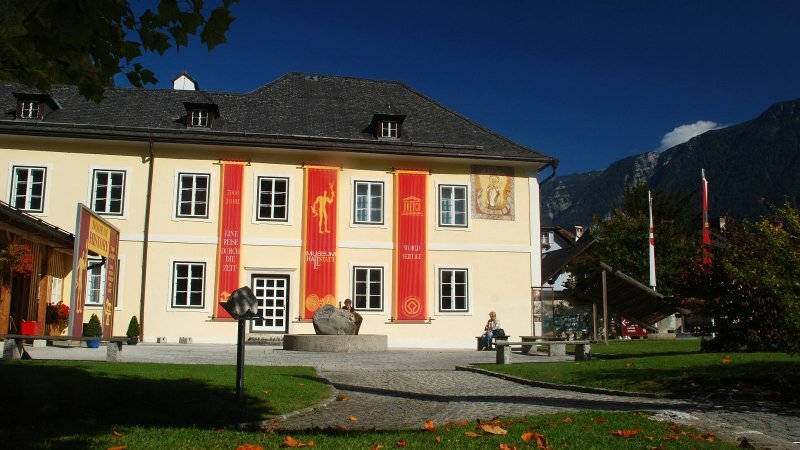 Haus Cijan is located directly on the Malerweg, which is only a few hundred metres further to the “Maler- und Literatenweg” (Artists & literati theme trail). 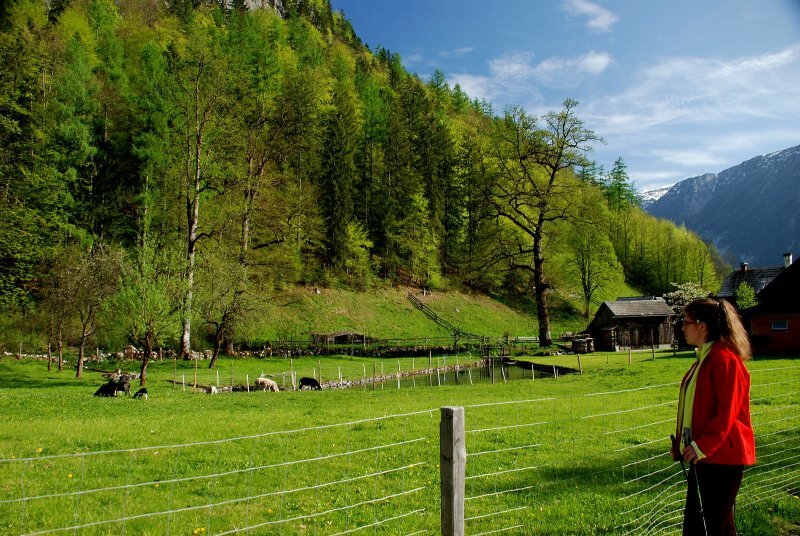 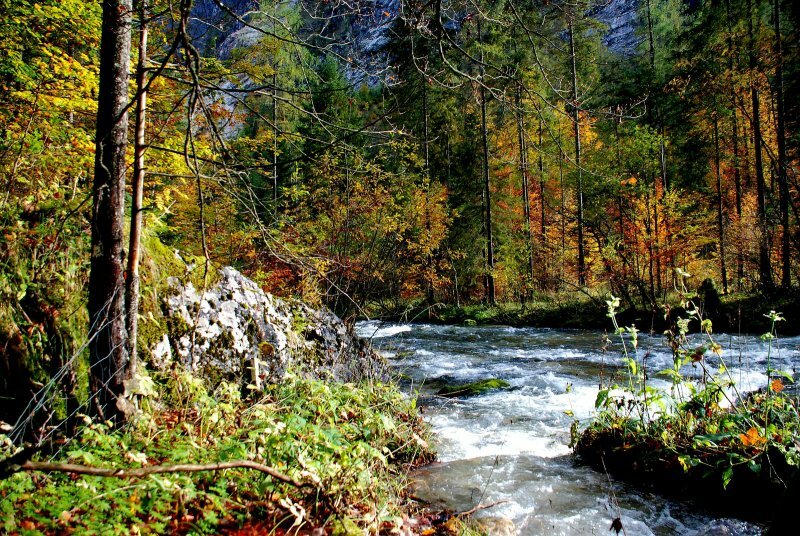 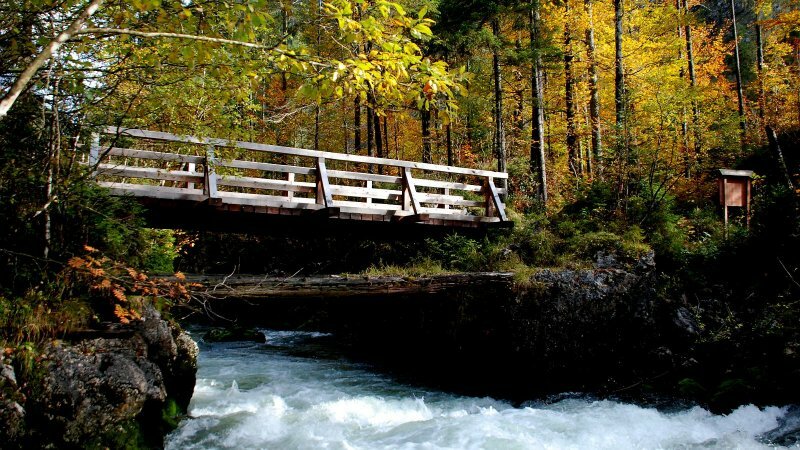 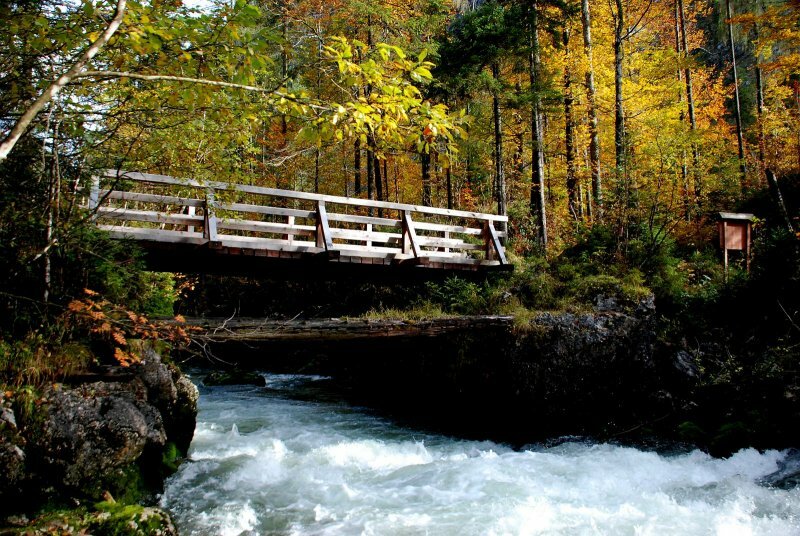 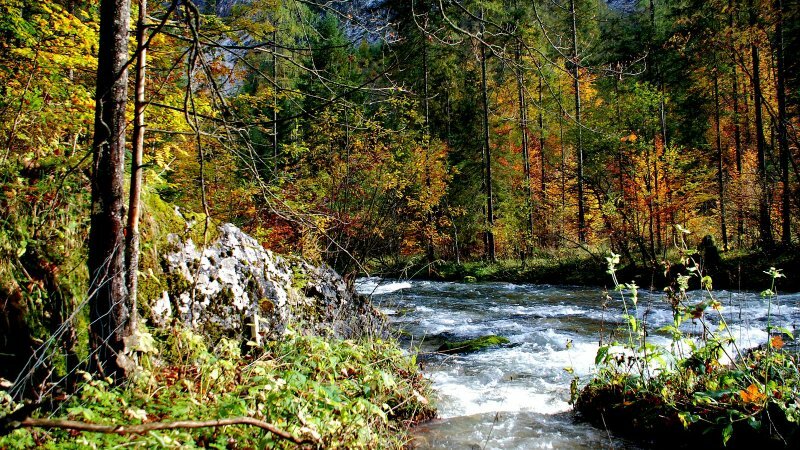 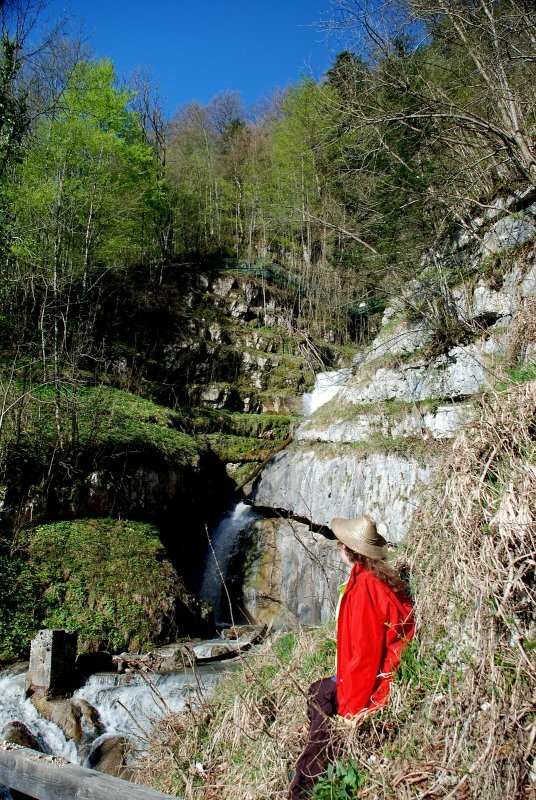 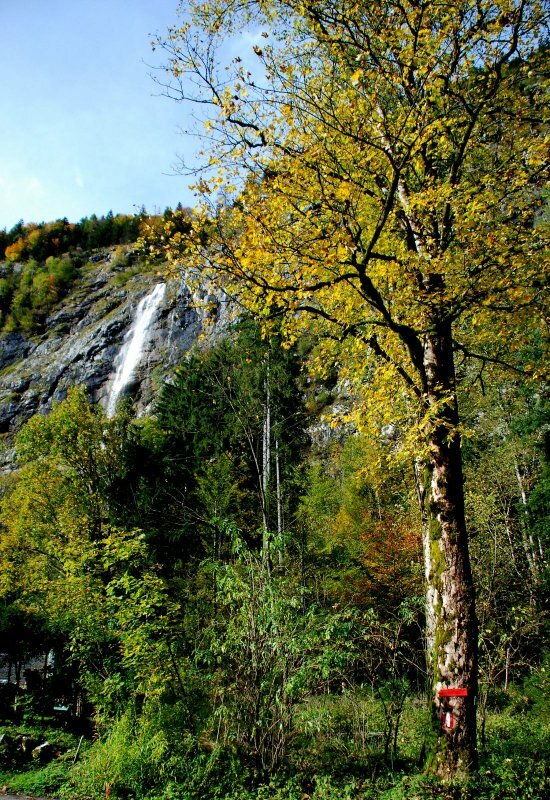 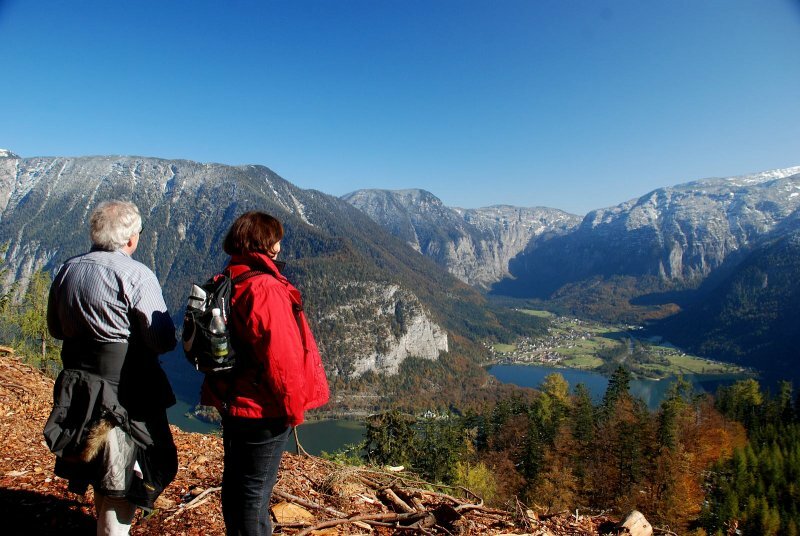 From here you will find not only scores of large and small hiking trails, but also several high alpine hiking trails, such as to the Wiesberghaus, the Simonyhütte or over the Radl Valley to Gosau. 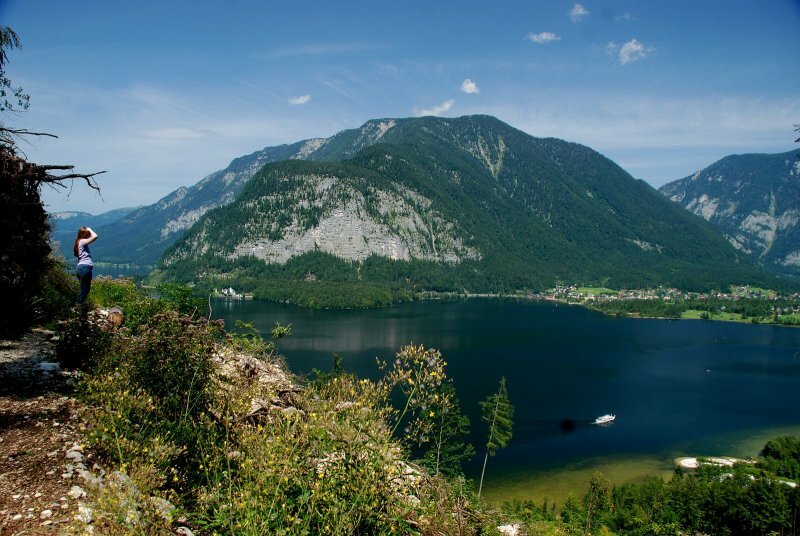 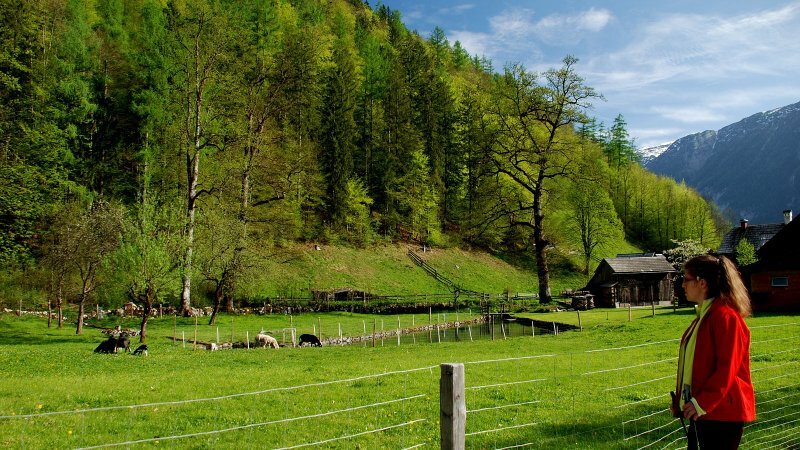 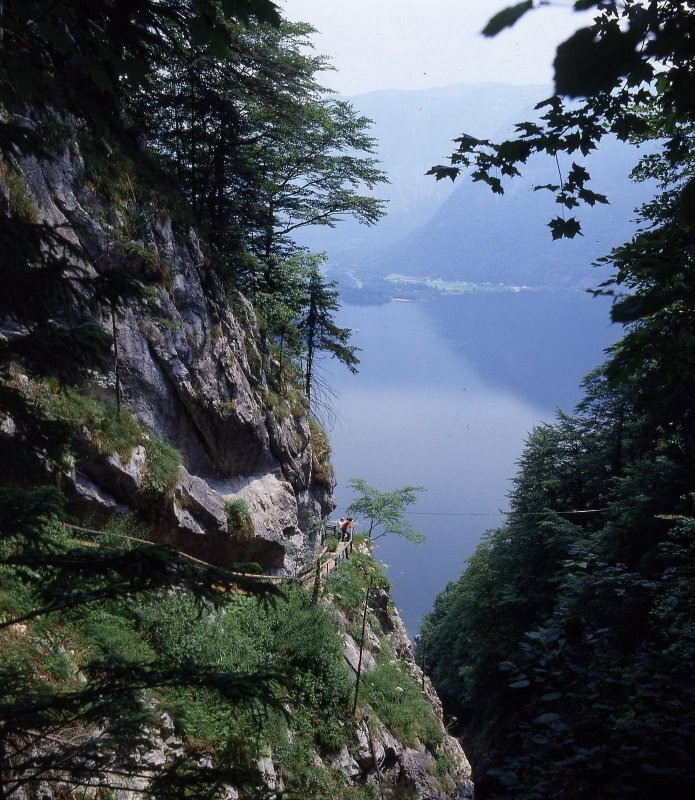 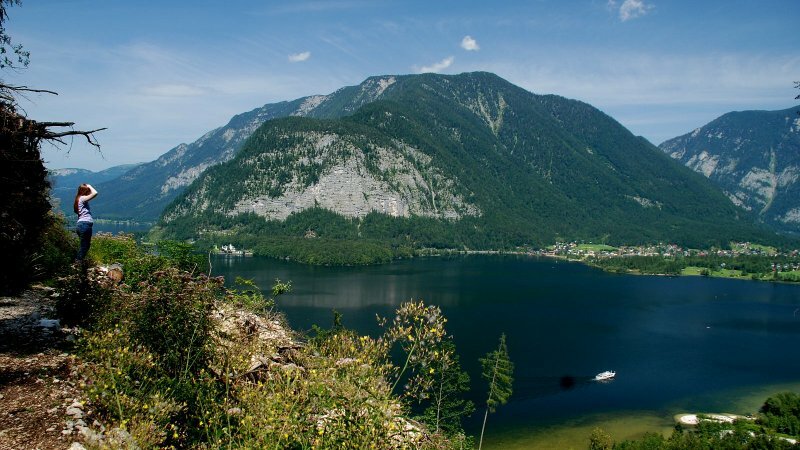 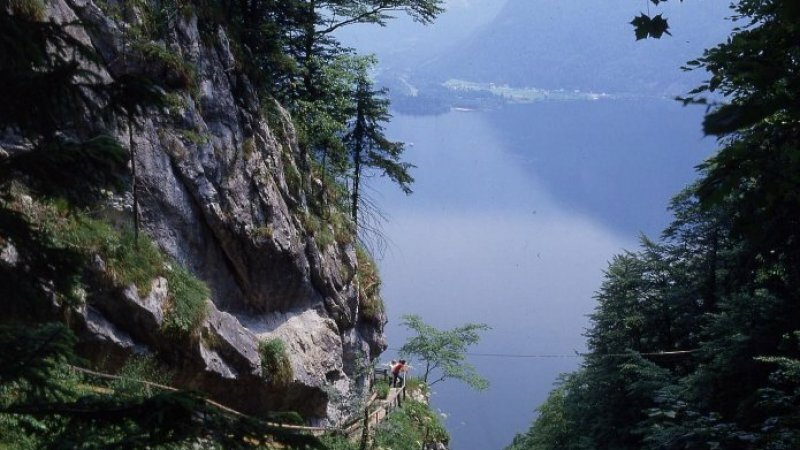 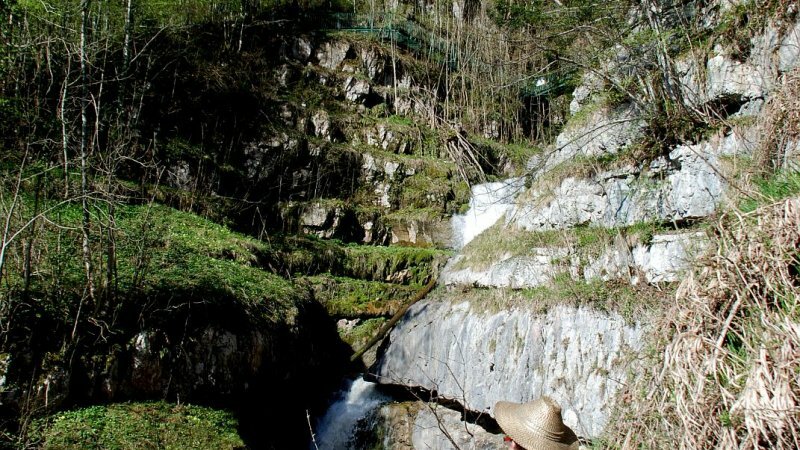 Mountain bikers will also love the challenging routes over the fascinating mountain world down into the Gosau valley. 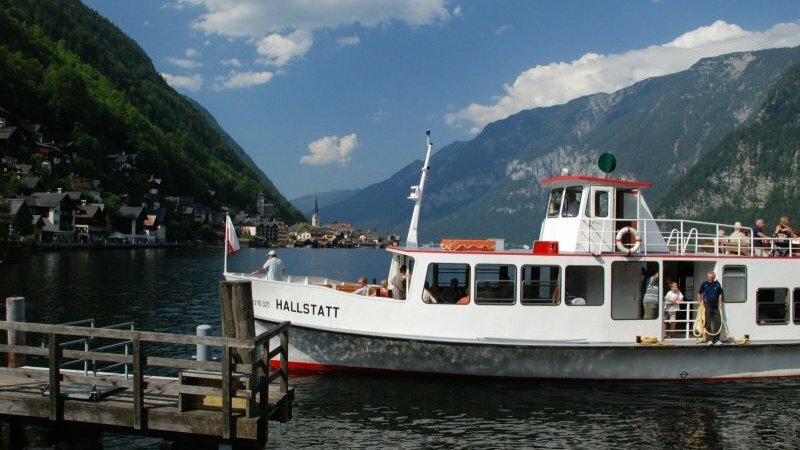 Since Hallstatt is a town of short distances, you generally do not have far to go: a 15 minute walk to the village centre with numerous shops, inns and restaurants, a 10 minute walk to the bathing island on Lake Hallstatt and just a few minutes to the funicular to one of the highlights of your holiday in Hallstatt: The Salzwelten - the oldest salt mine in the world. 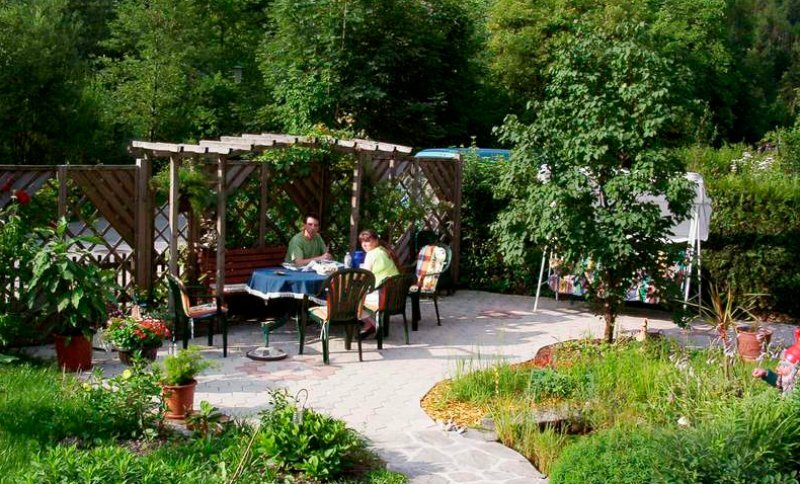 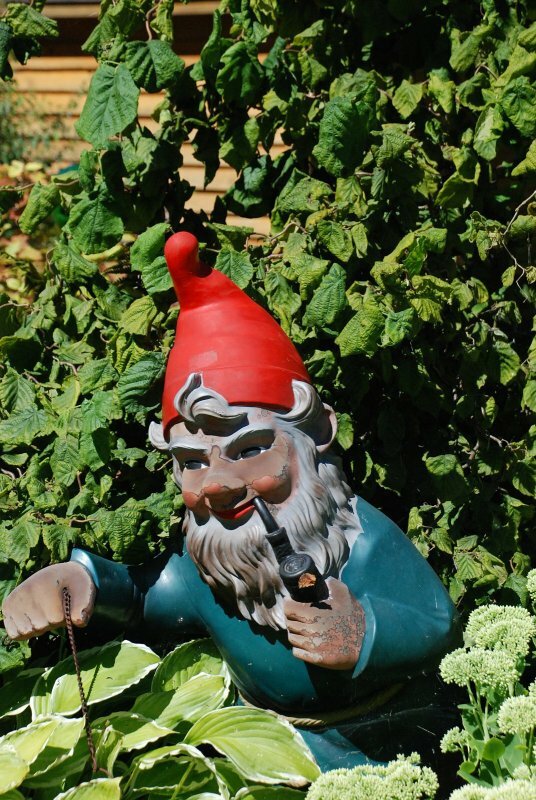 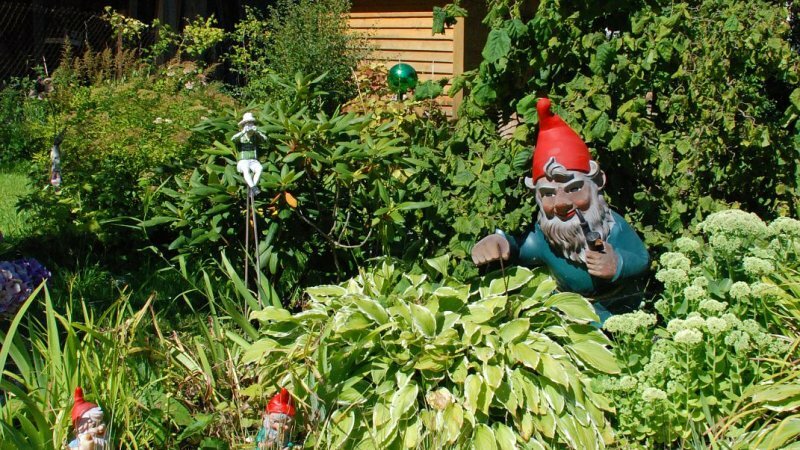 As well as the comfortably furnished rooms, you can also relax with a good book whilst sunbathing in the beautiful garden. 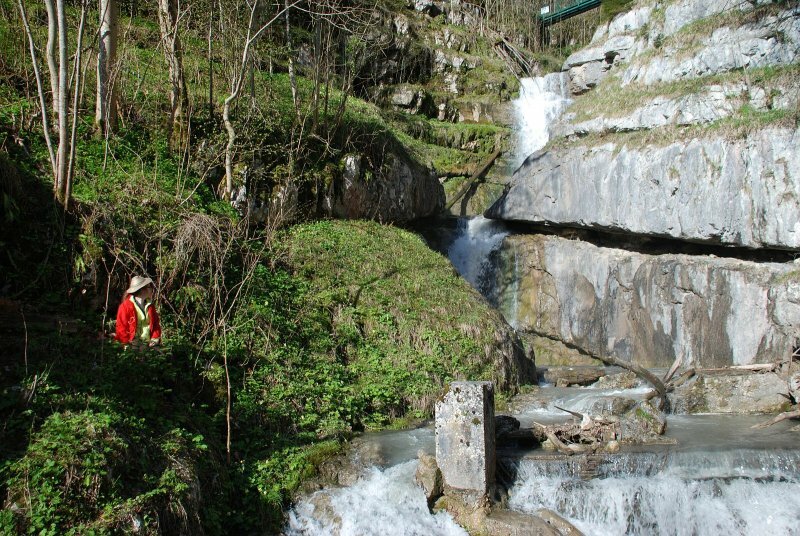 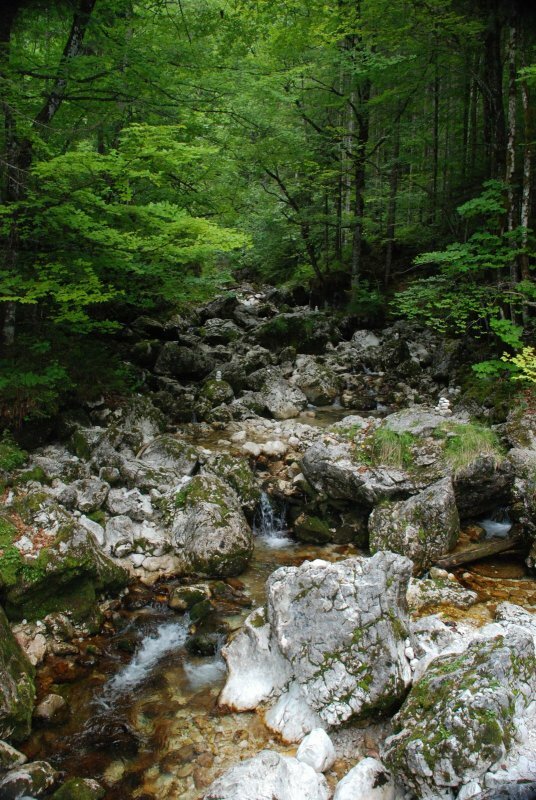 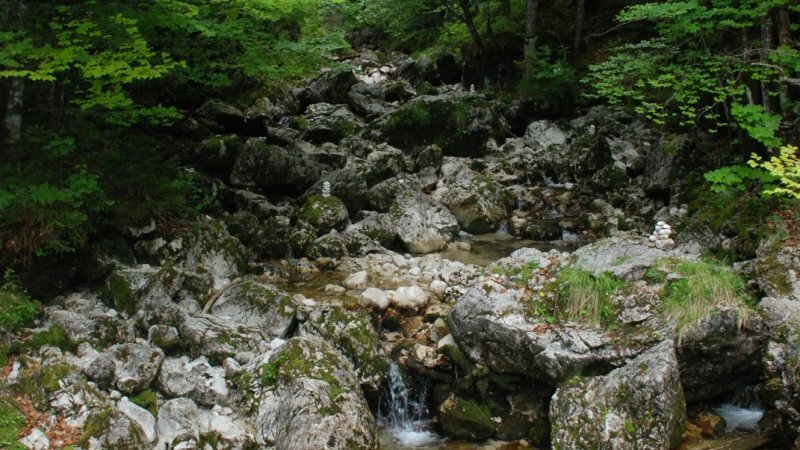 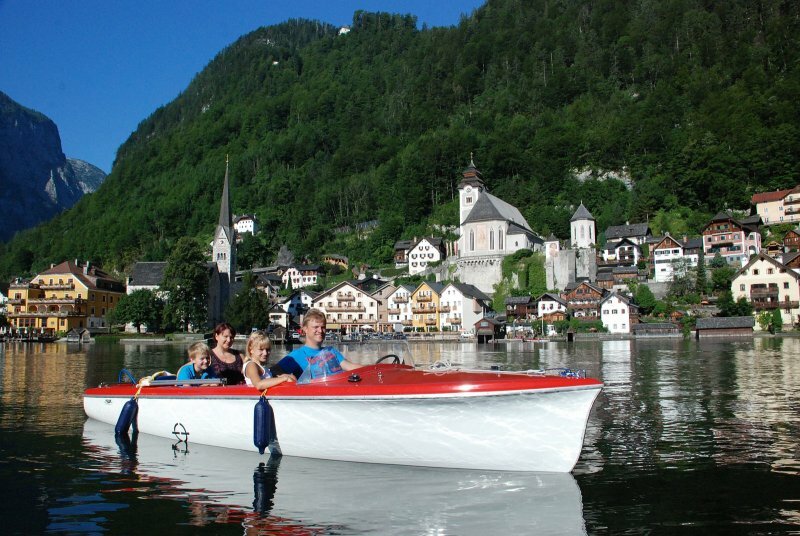 By the way, you can park your car directly in front of the house and on very hot days you can cool your feet in the crystal clear waters of the Waldbach. 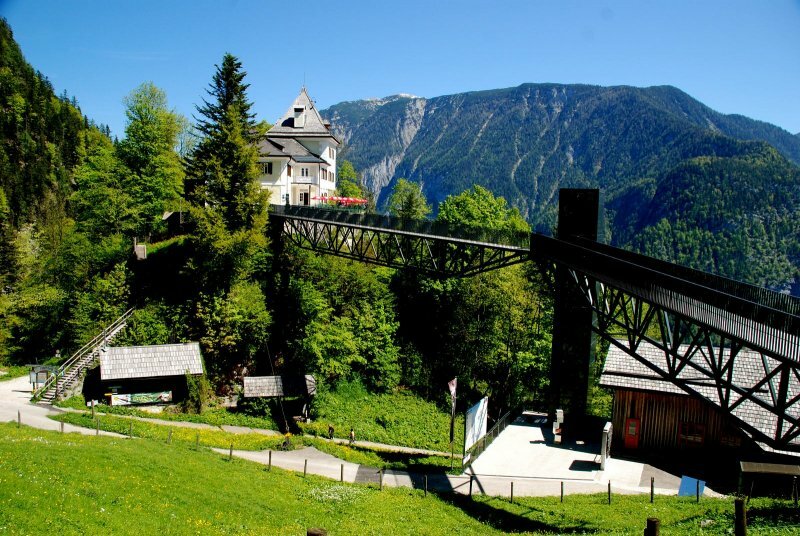 And if you have never been skiing before, this winter you can make the first attempt on ‘planks’ in the adjacent ski slope. 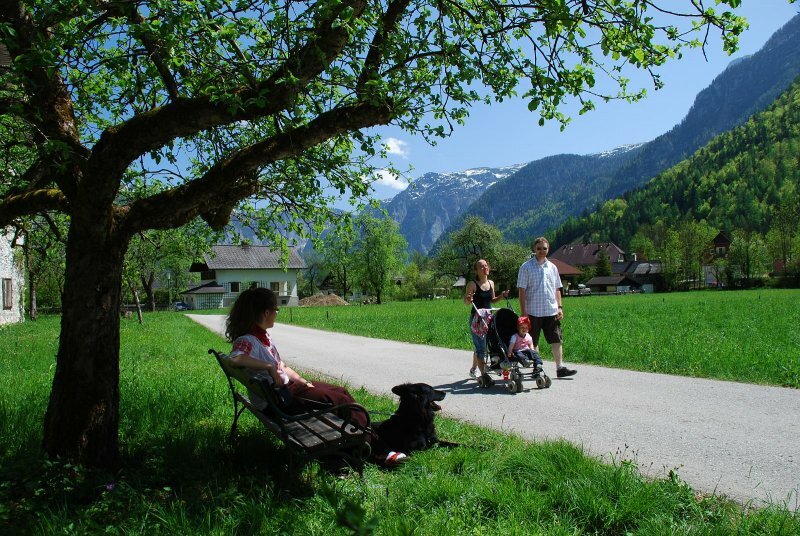 Bring your dog with you! 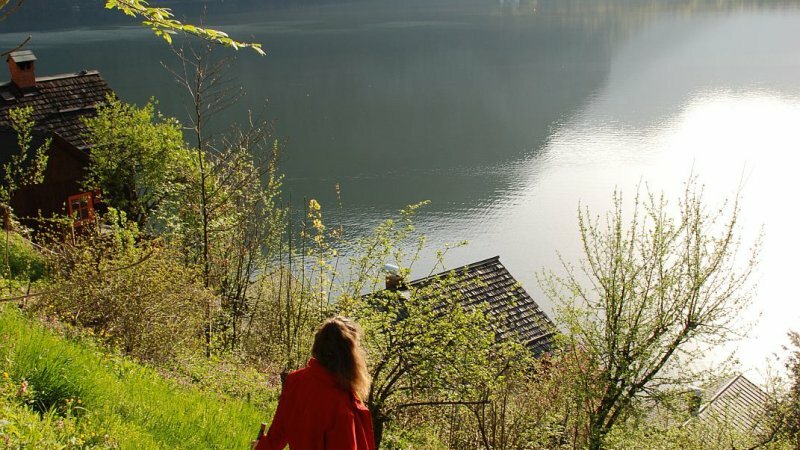 Leave your dog at home? 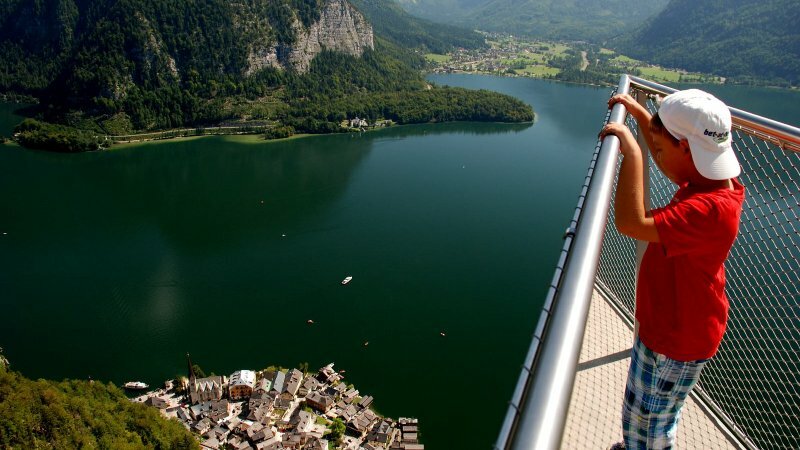 That’s really not on! 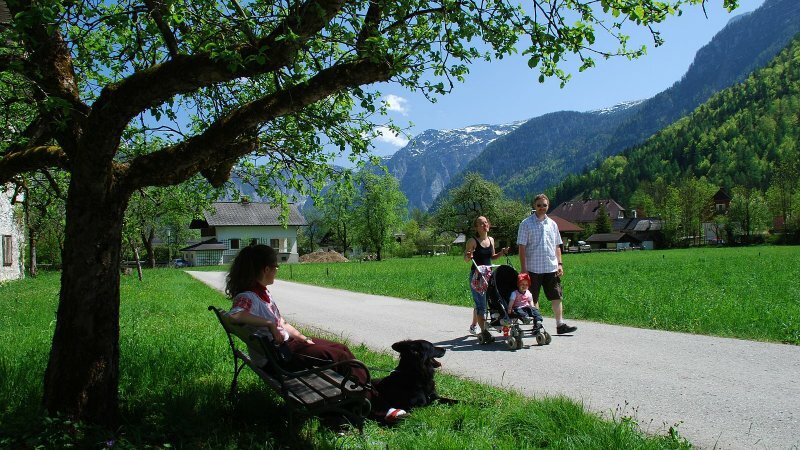 Your hostess absolutely loves pets and the numerous paths around the house leave no room for boredom during “walkies”. 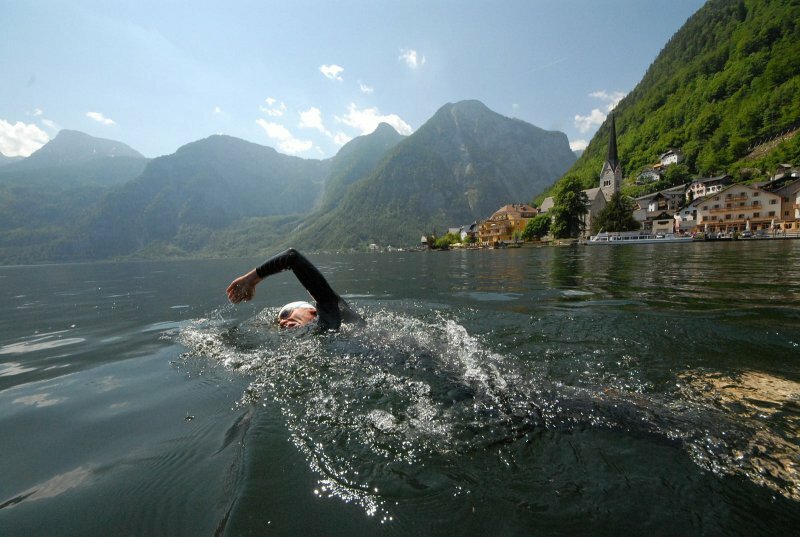 One would really love to just keep going! 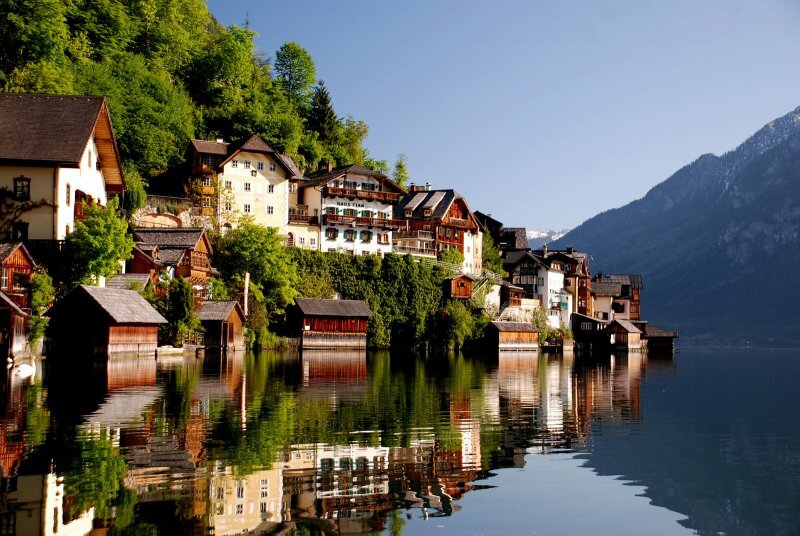 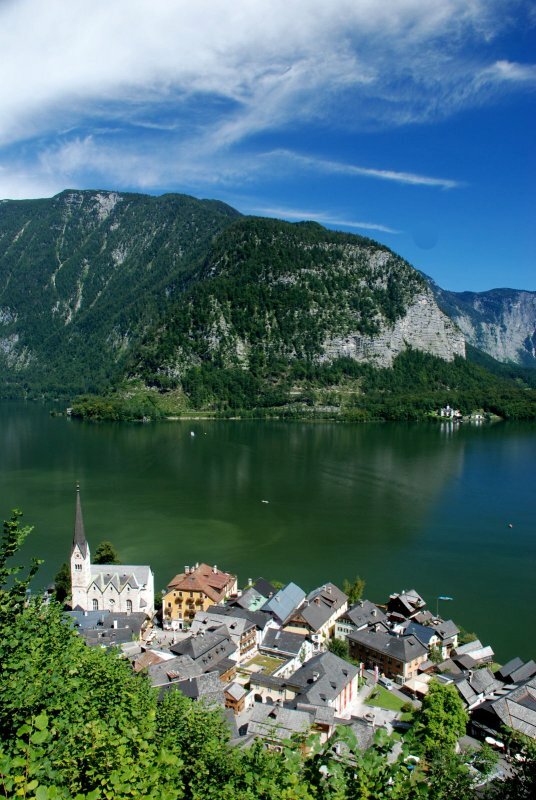 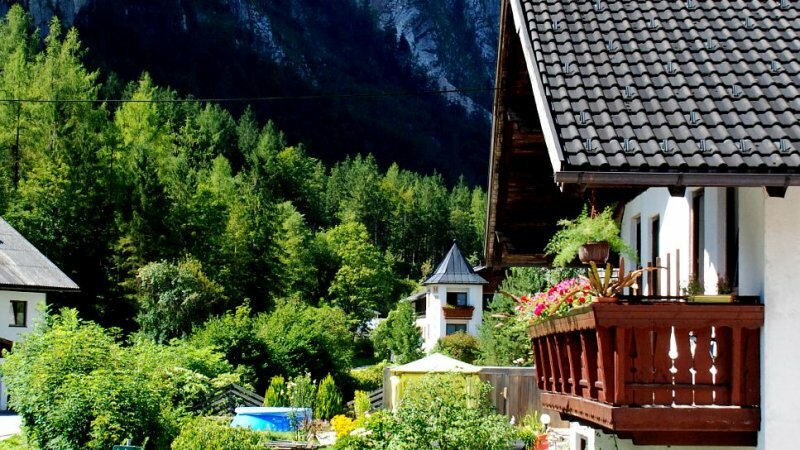 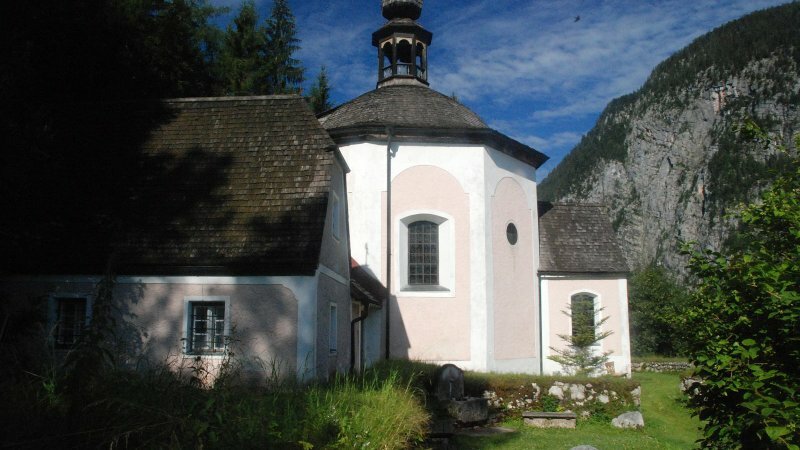 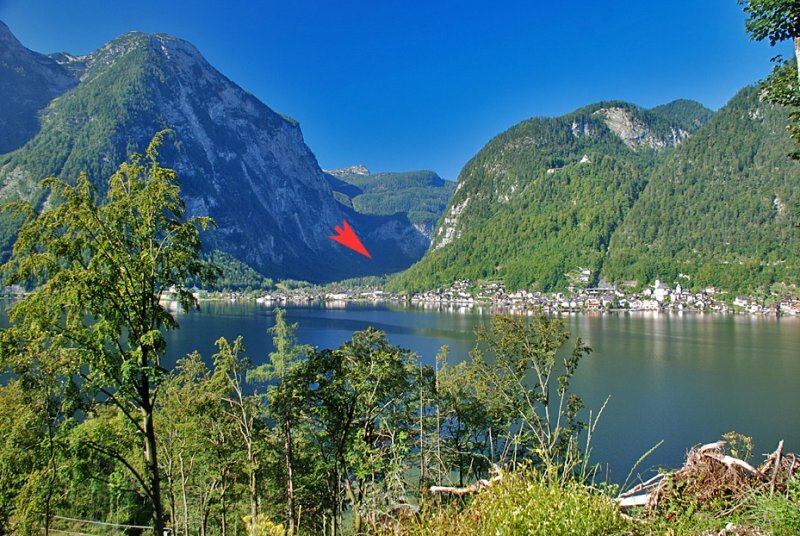 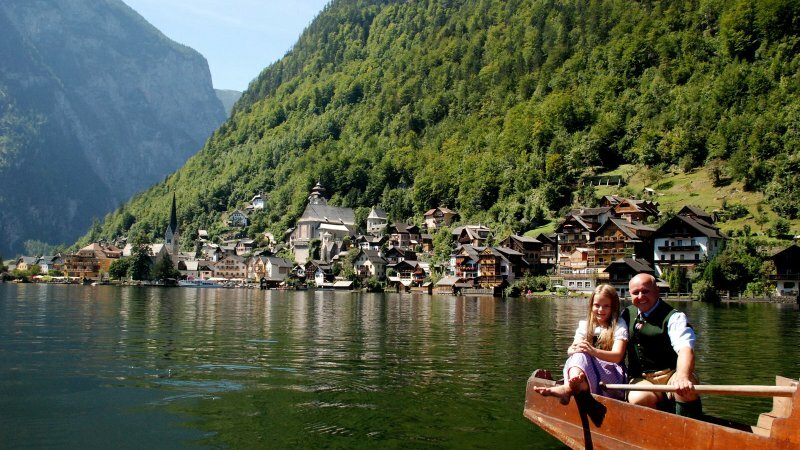 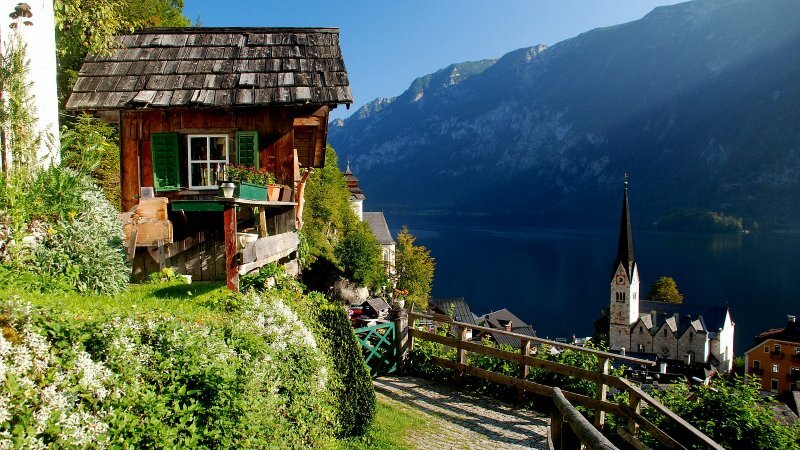 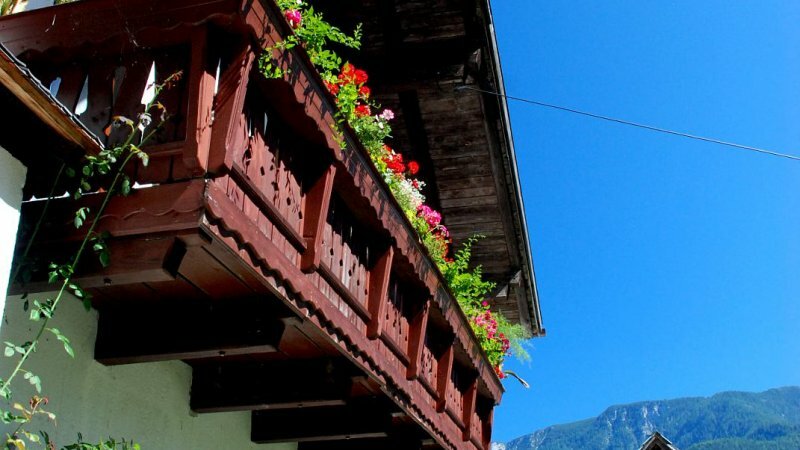 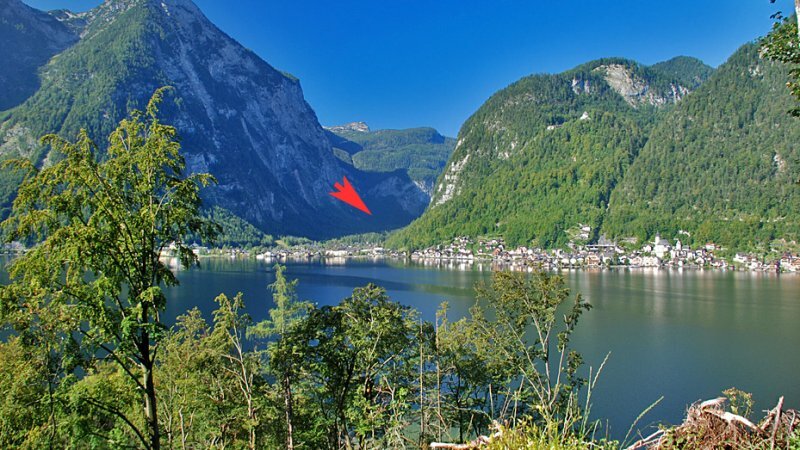 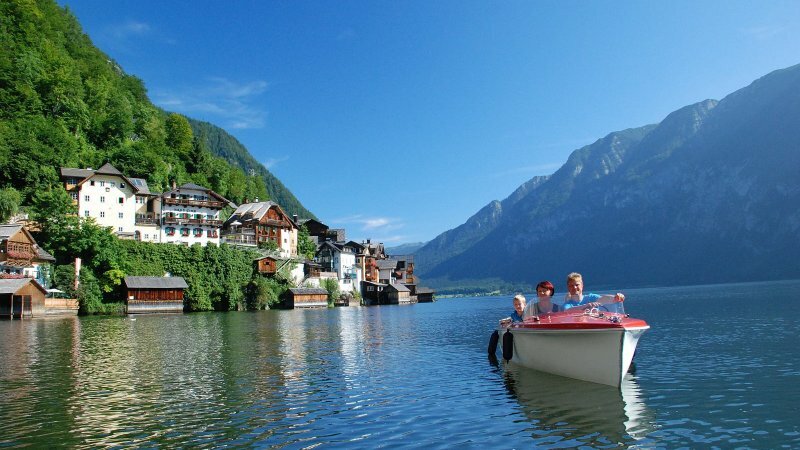 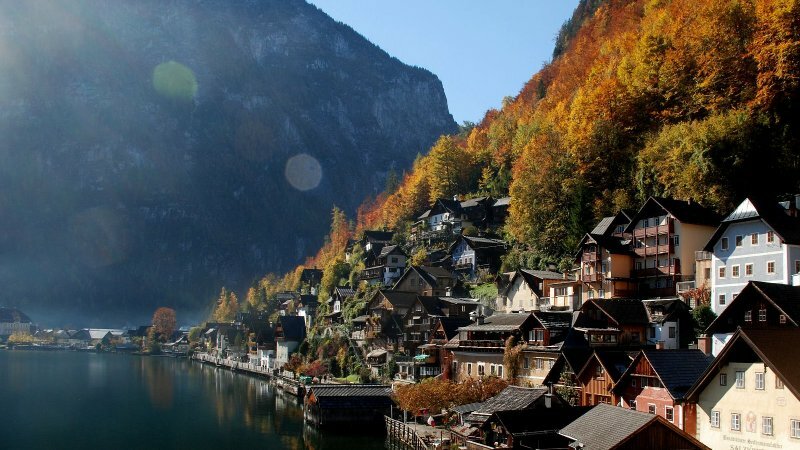 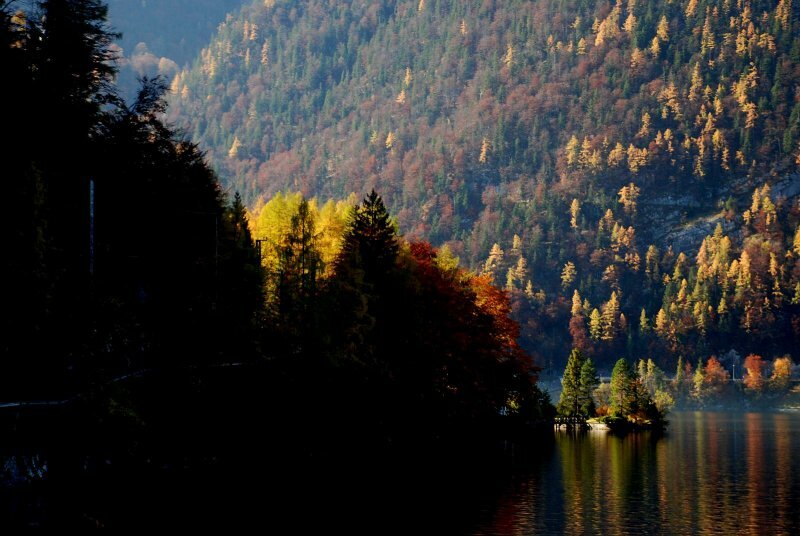 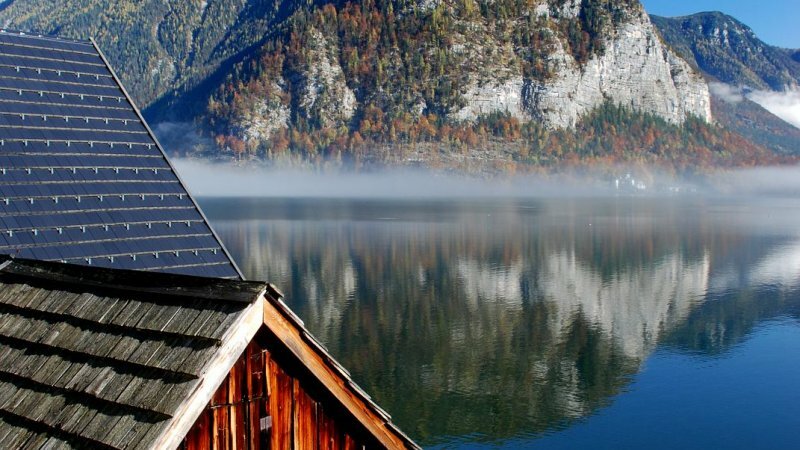 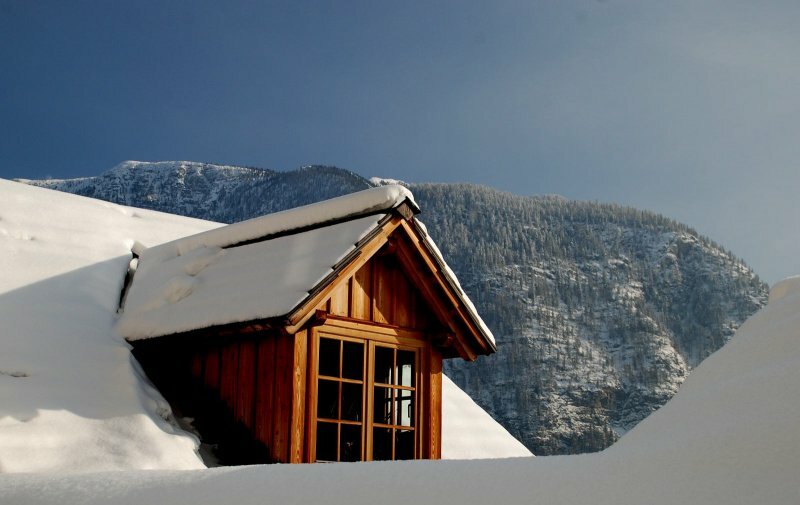 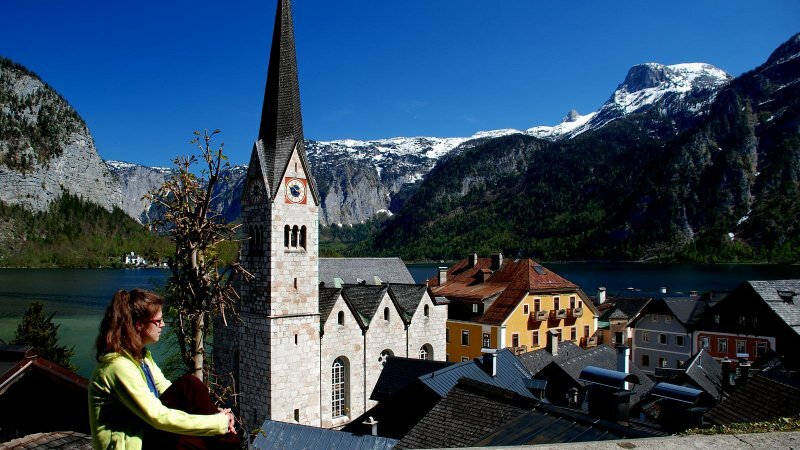 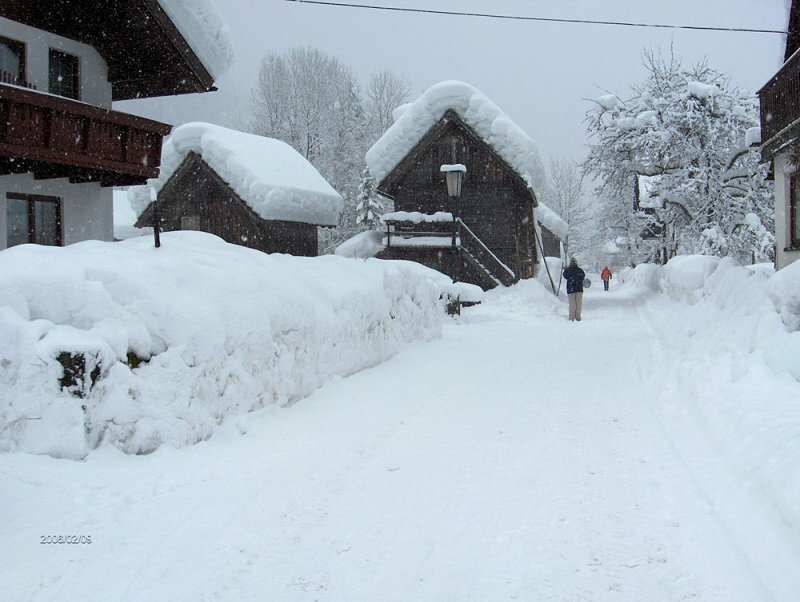 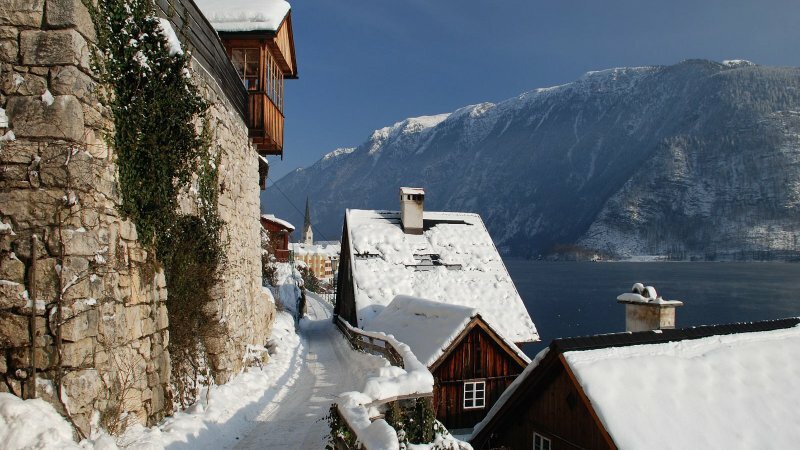 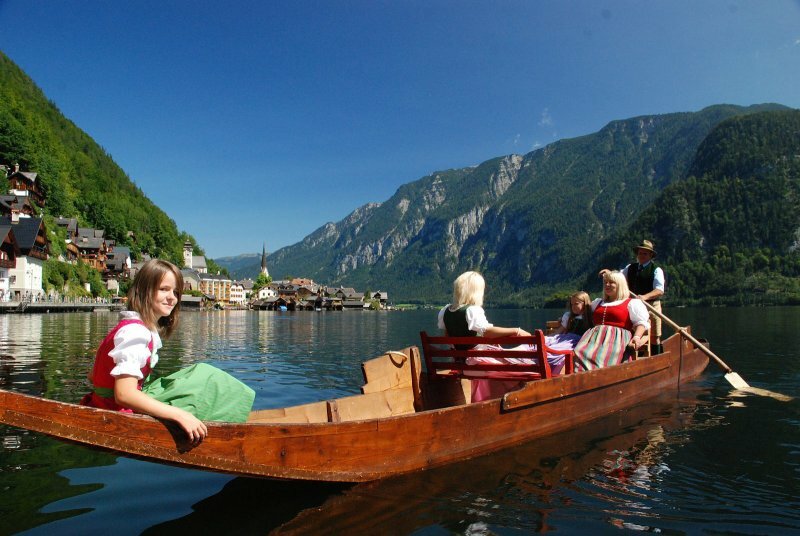 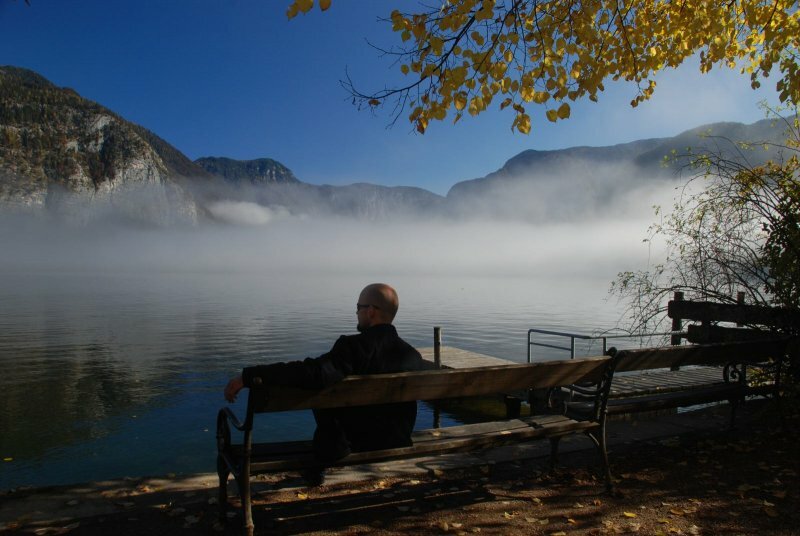 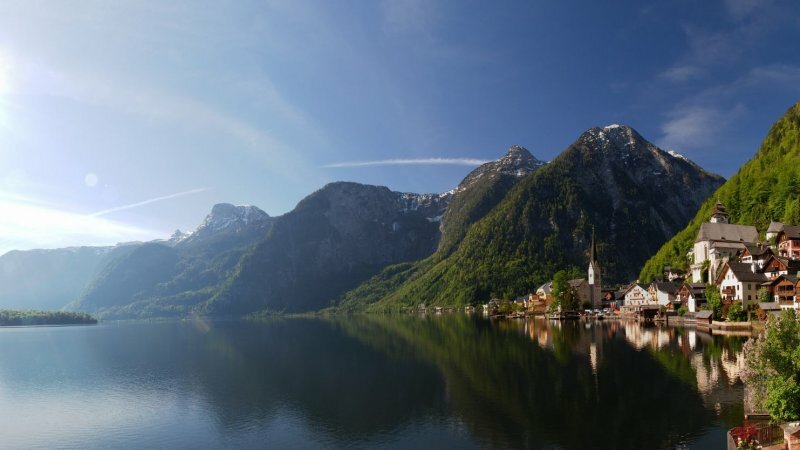 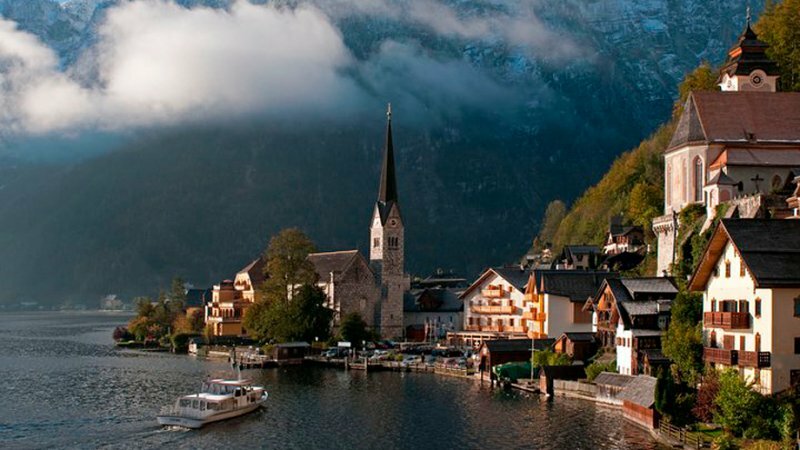 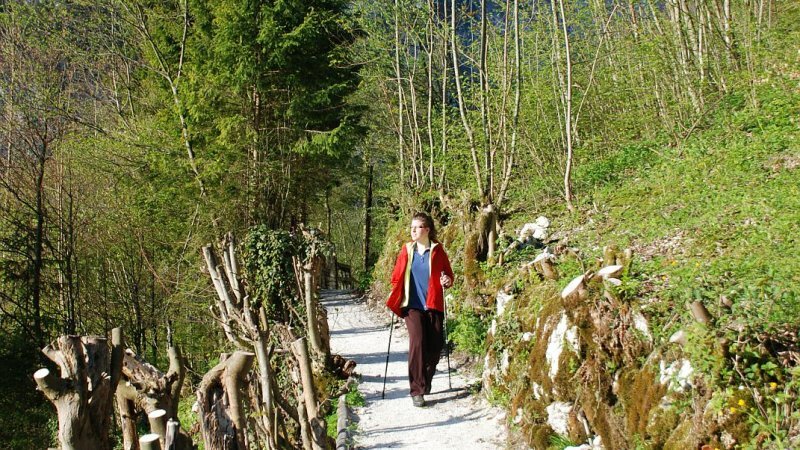 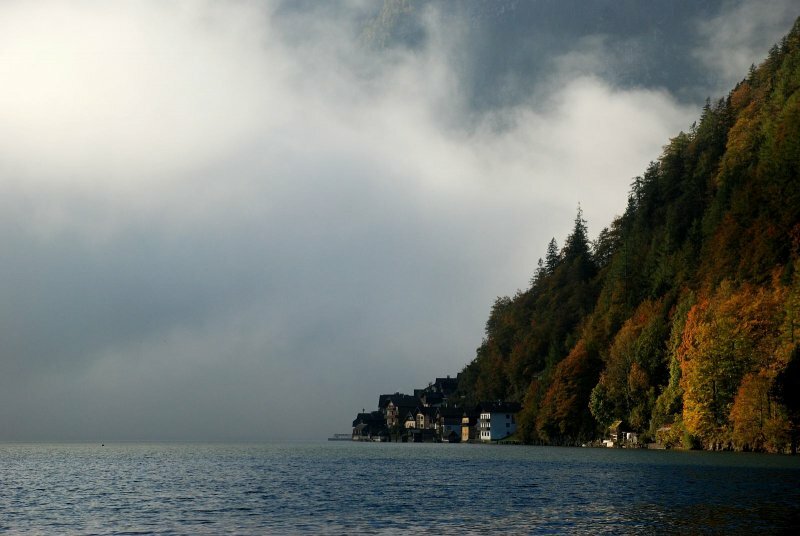 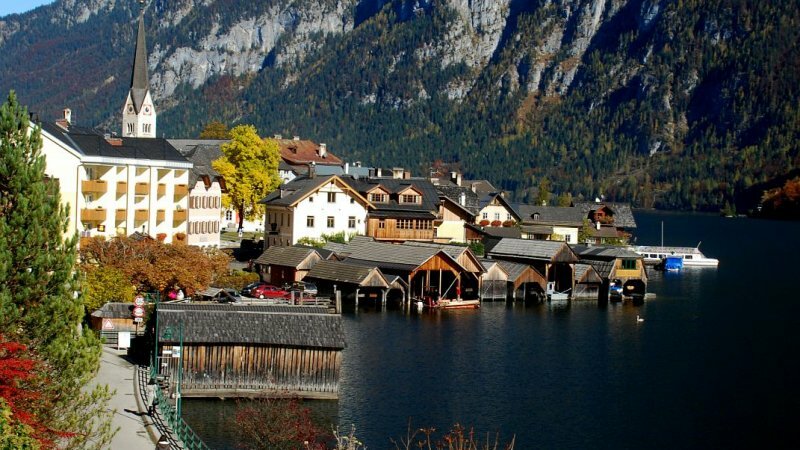 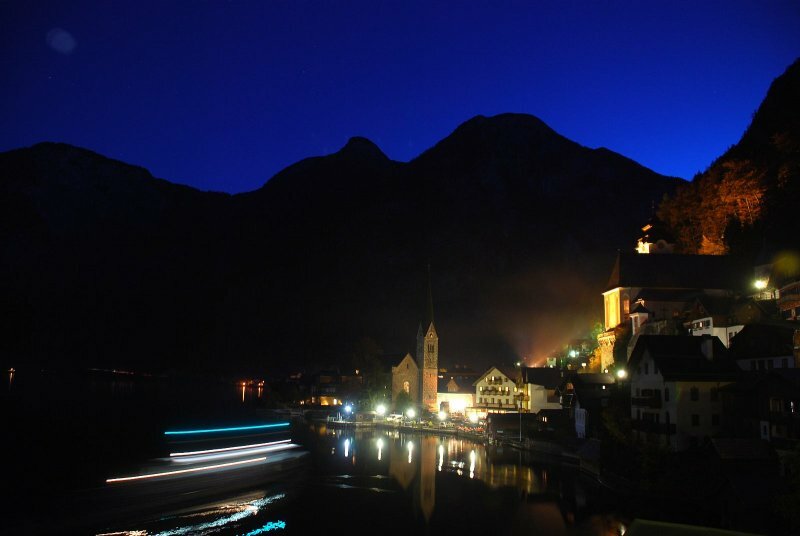 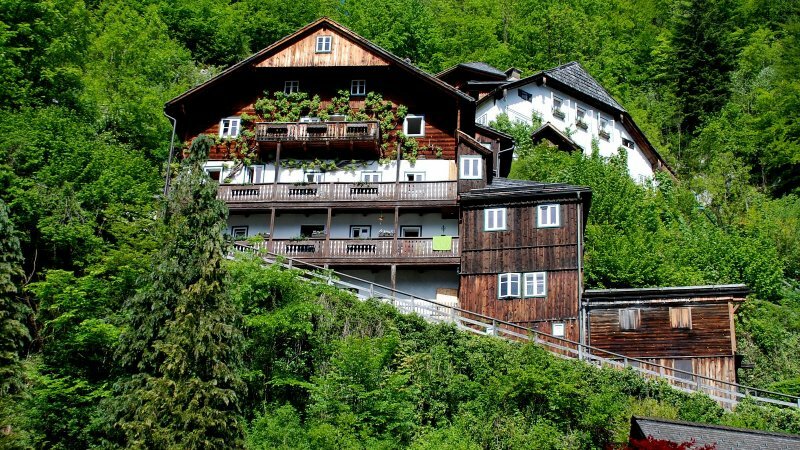 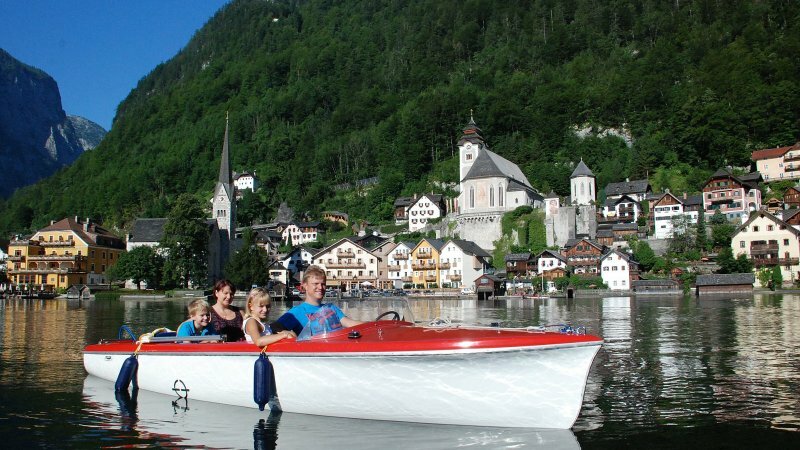 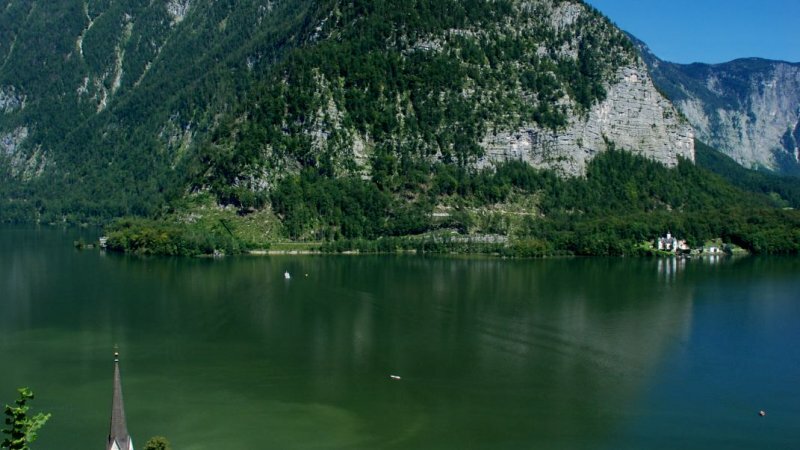 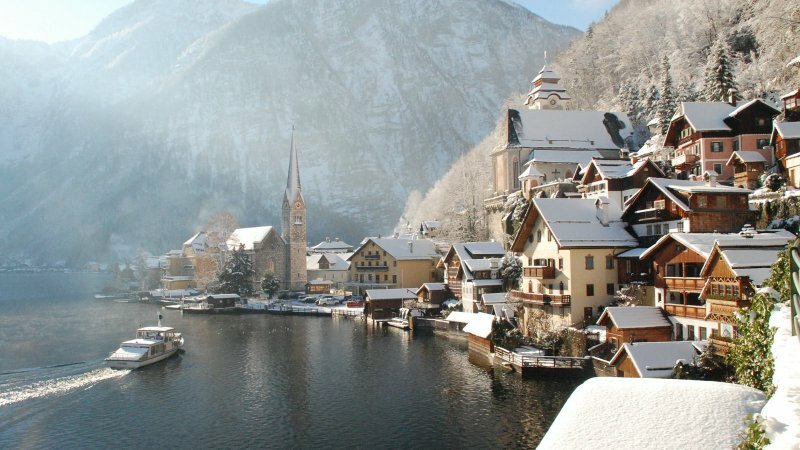 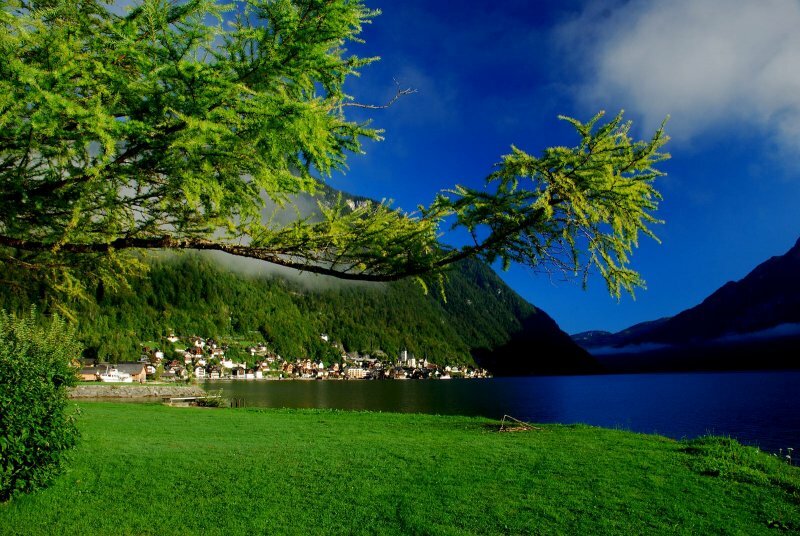 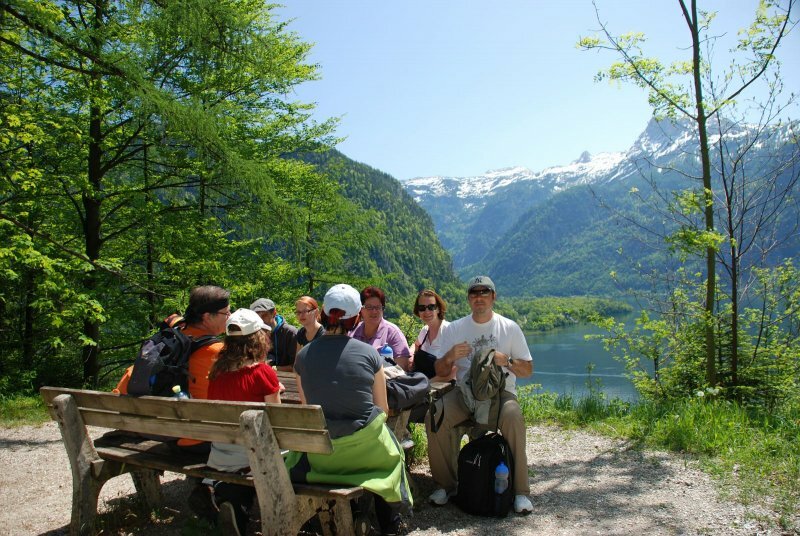 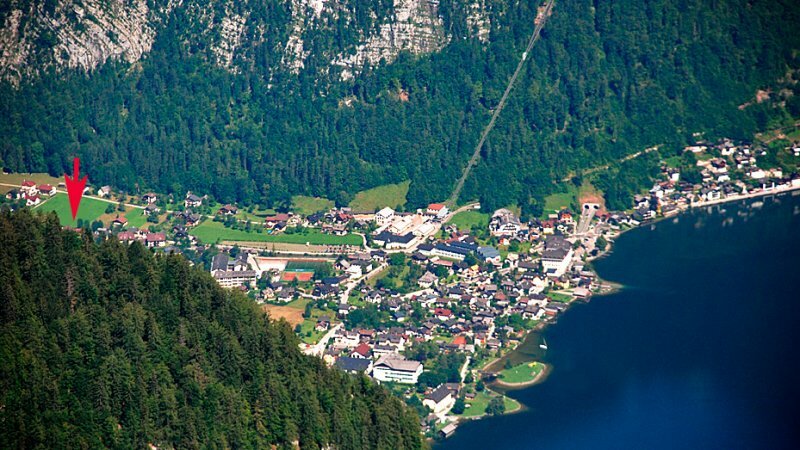 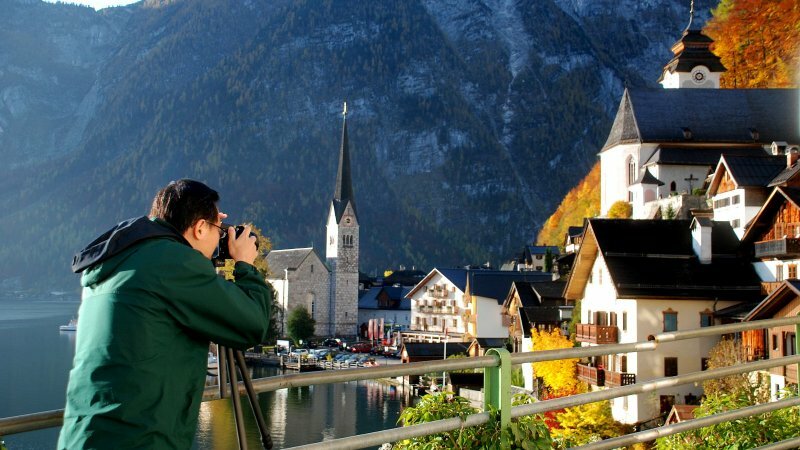 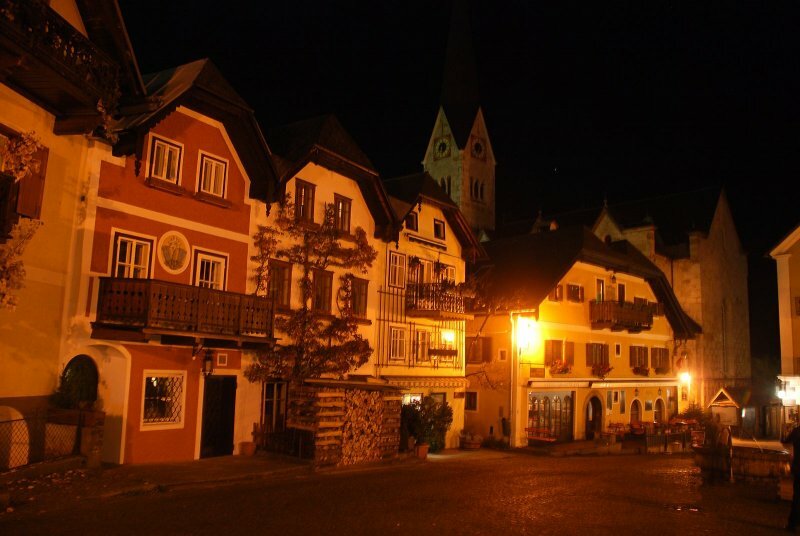 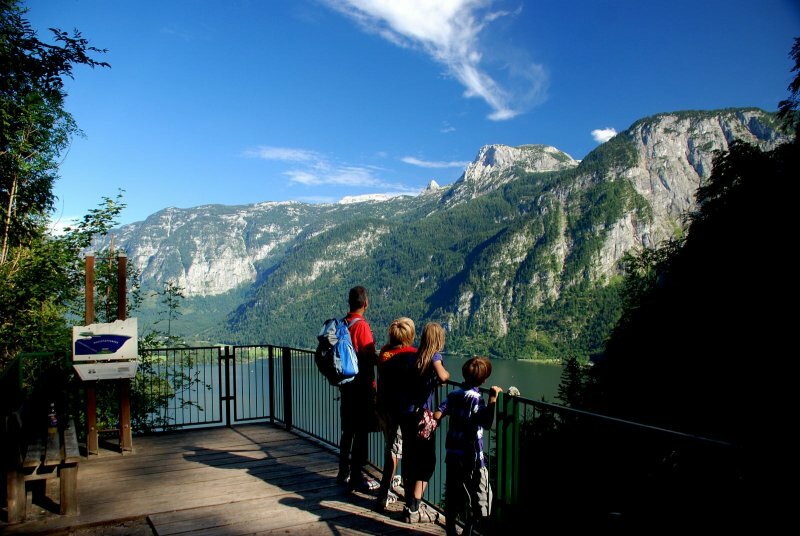 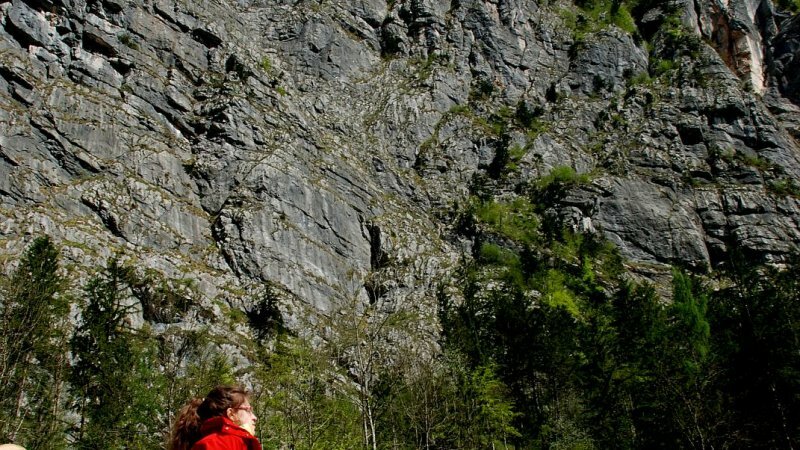 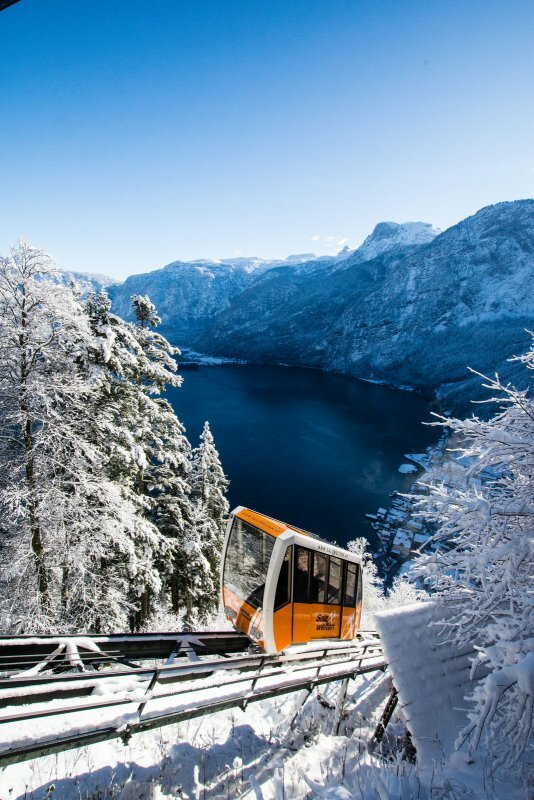 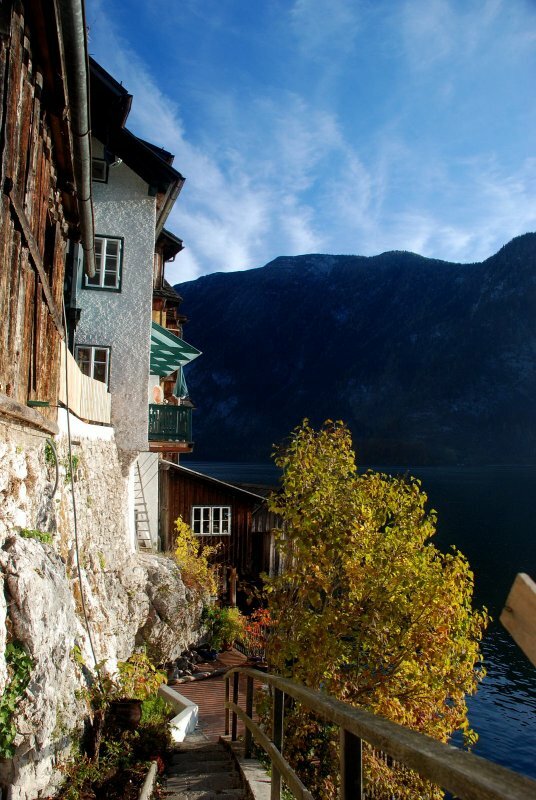 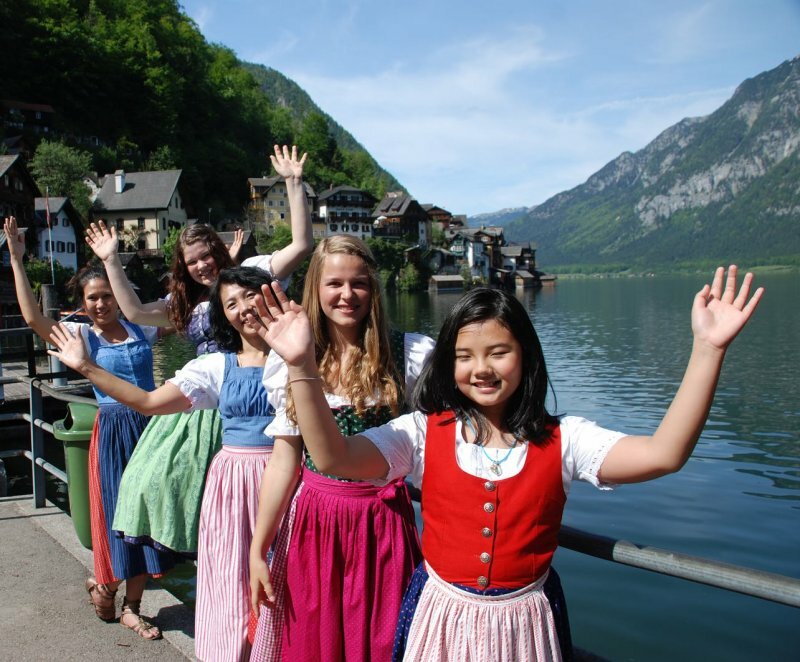 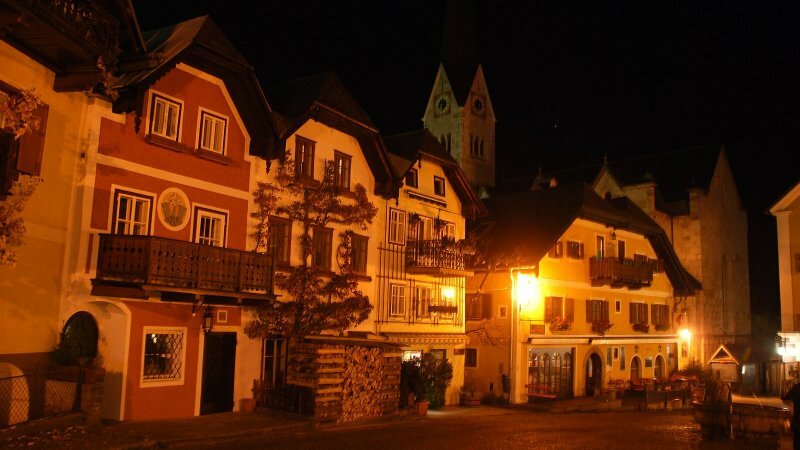 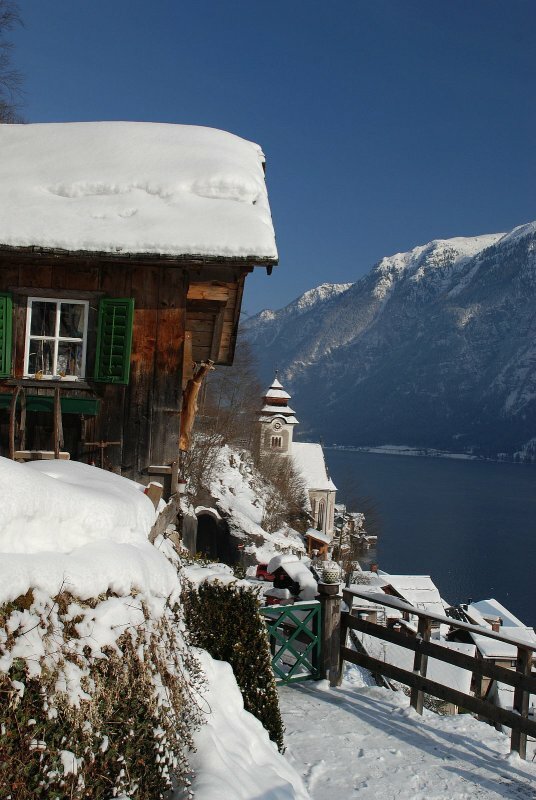 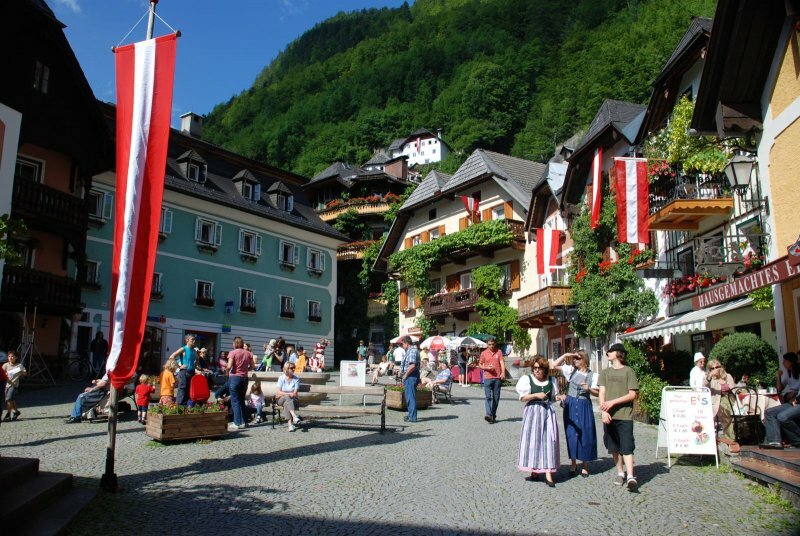 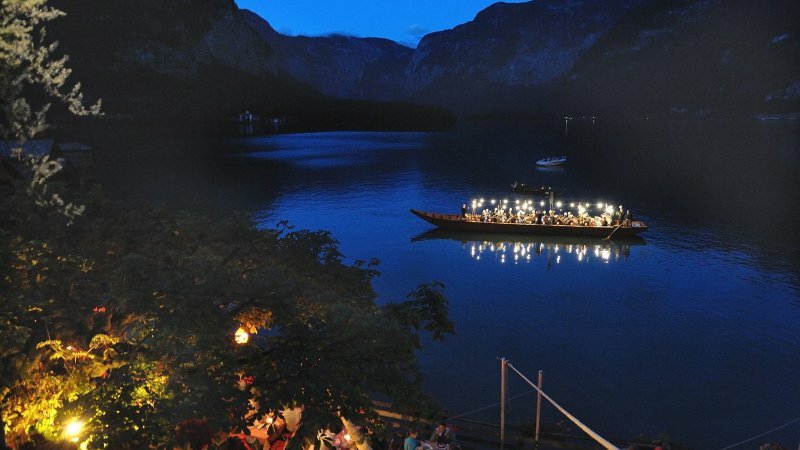 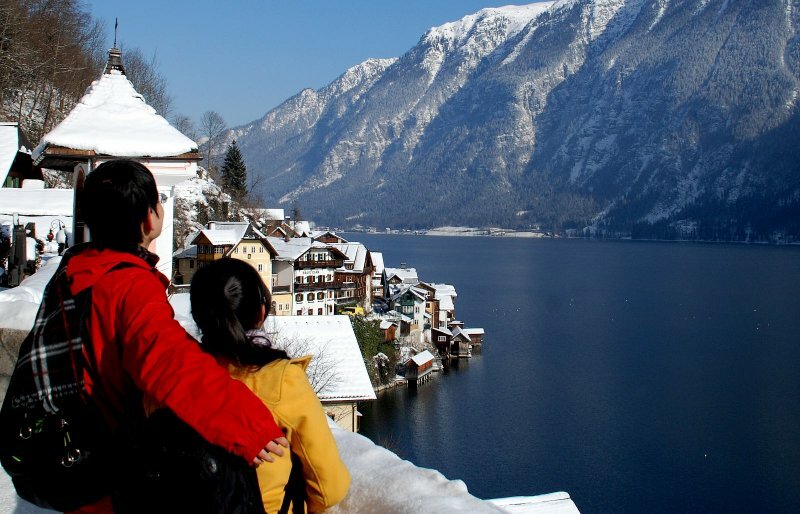 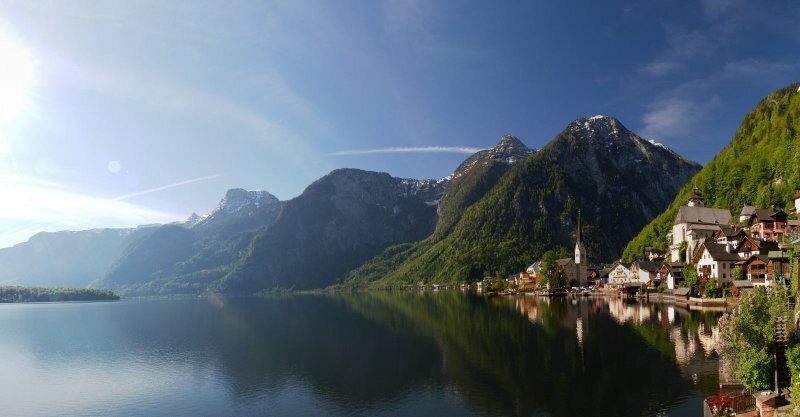 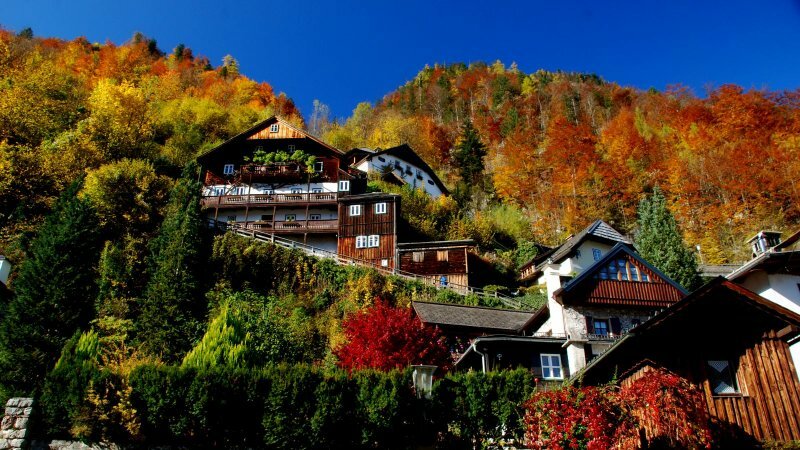 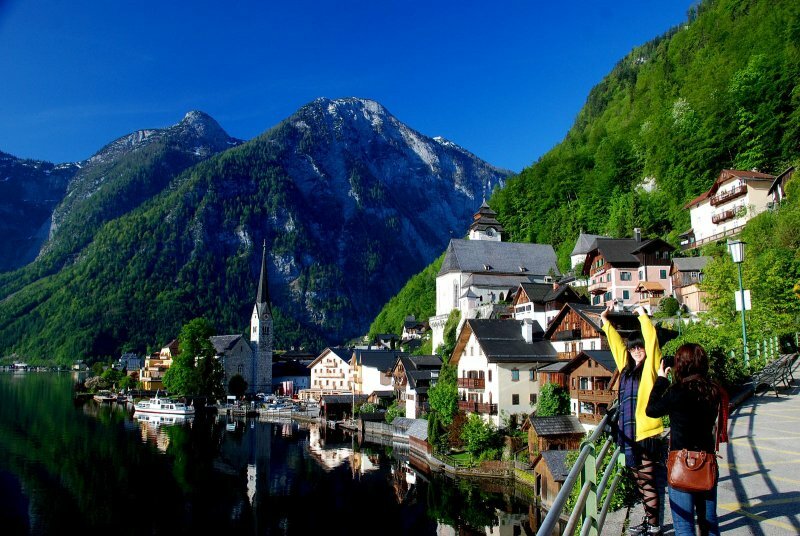 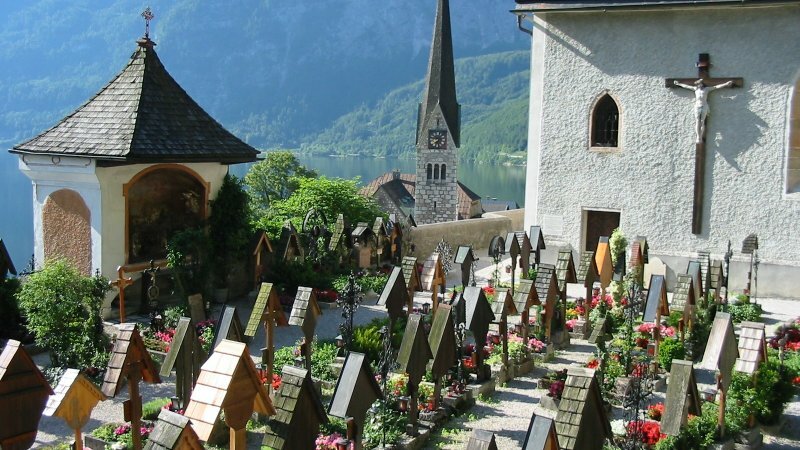 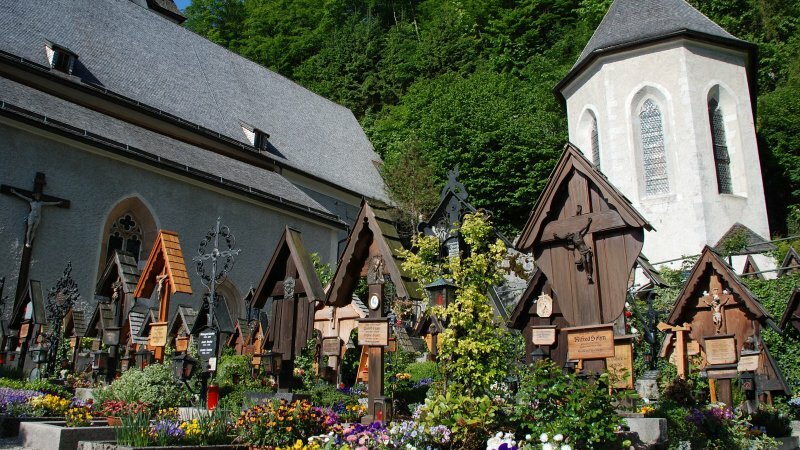 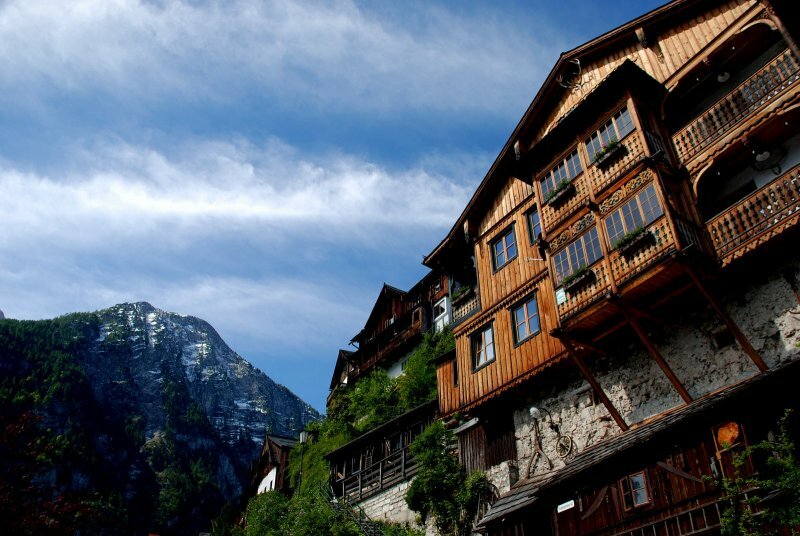 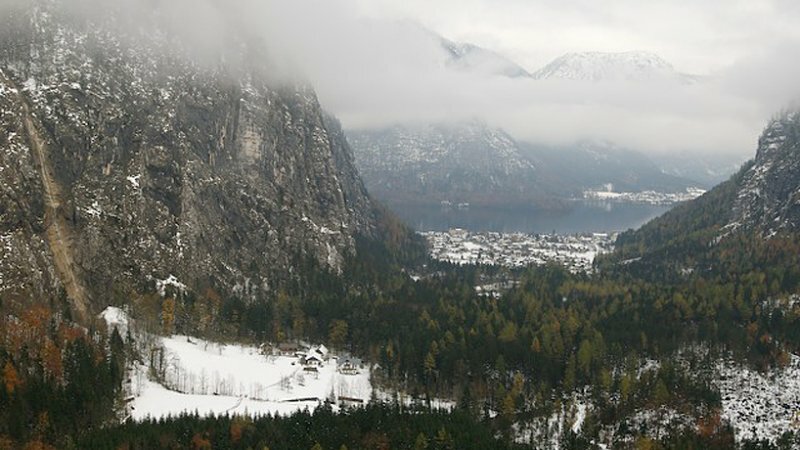 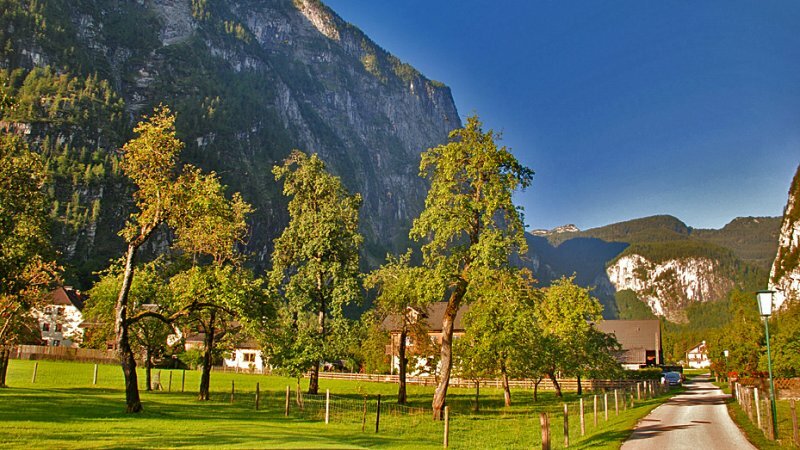 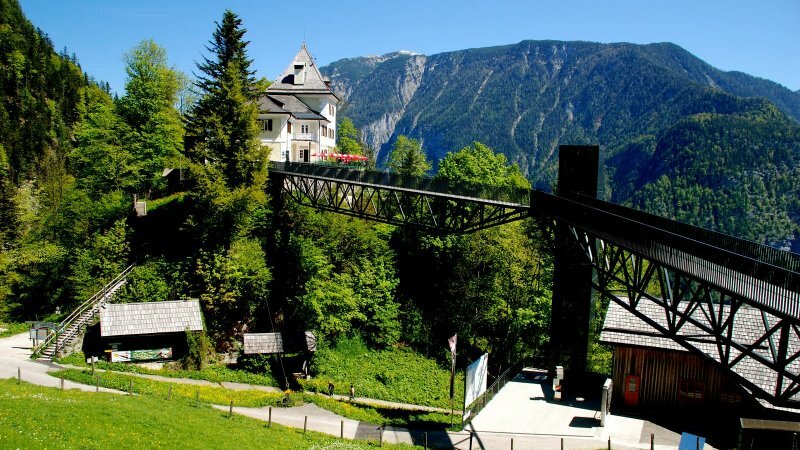 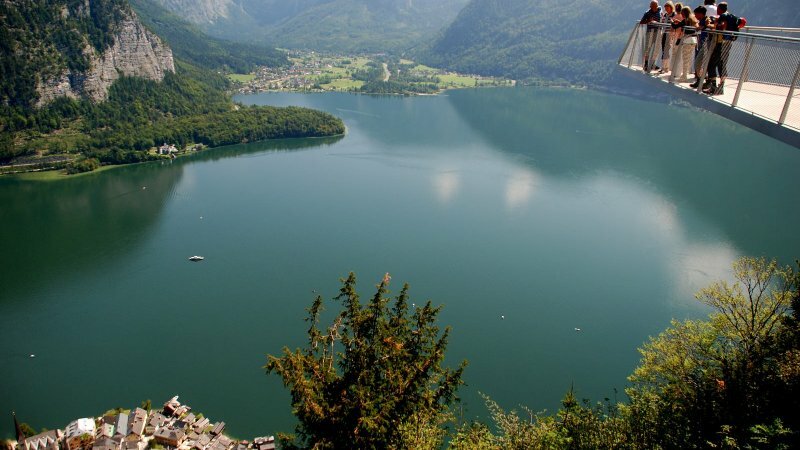 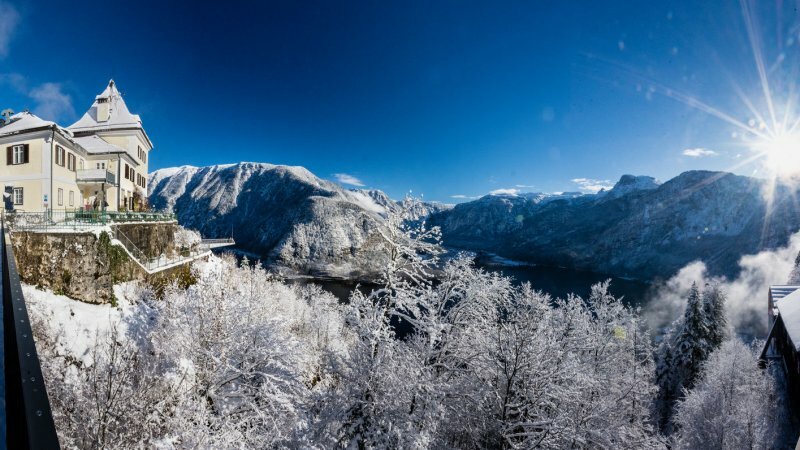 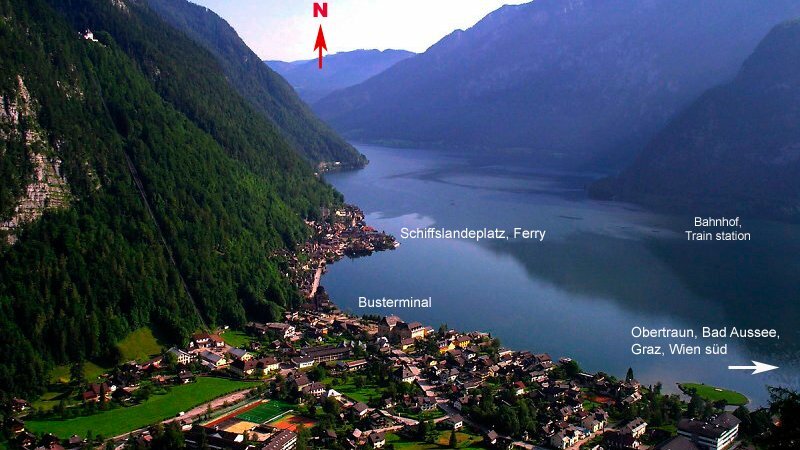 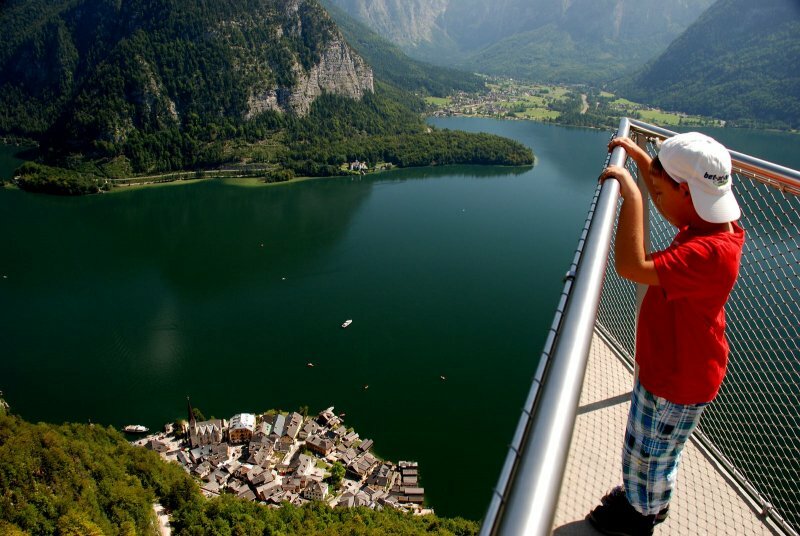 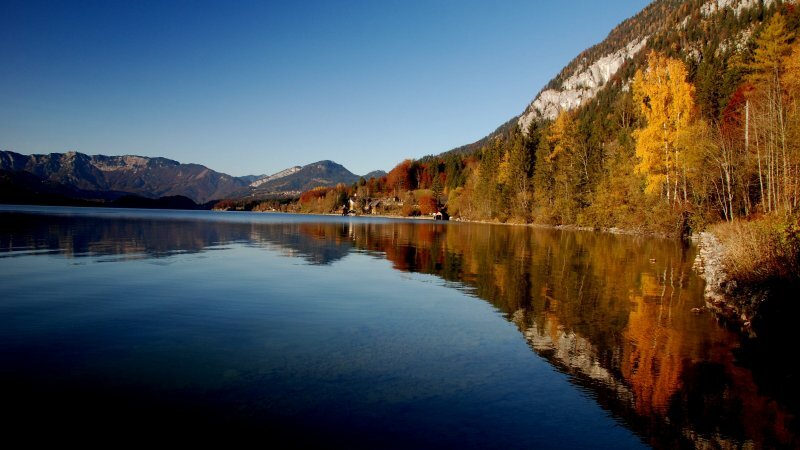 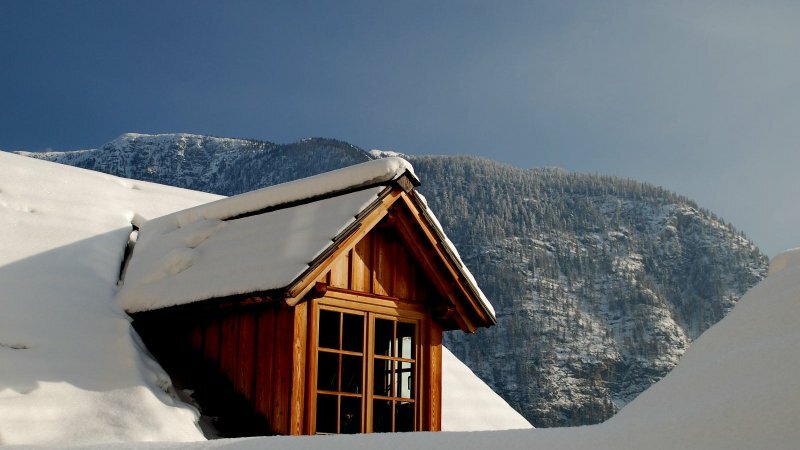 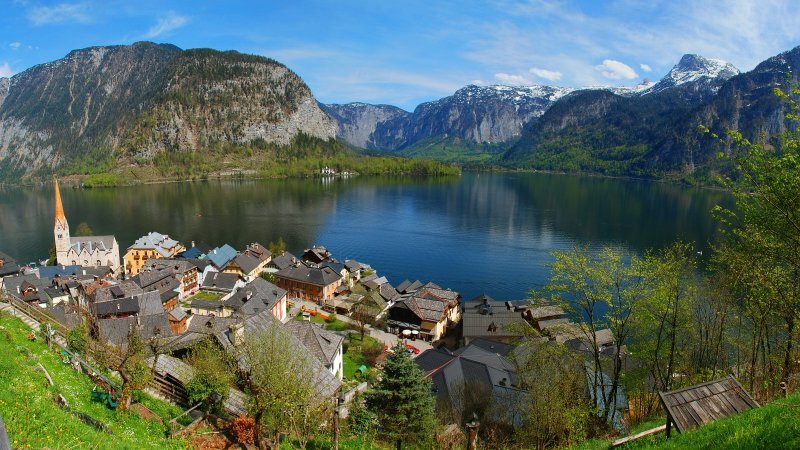 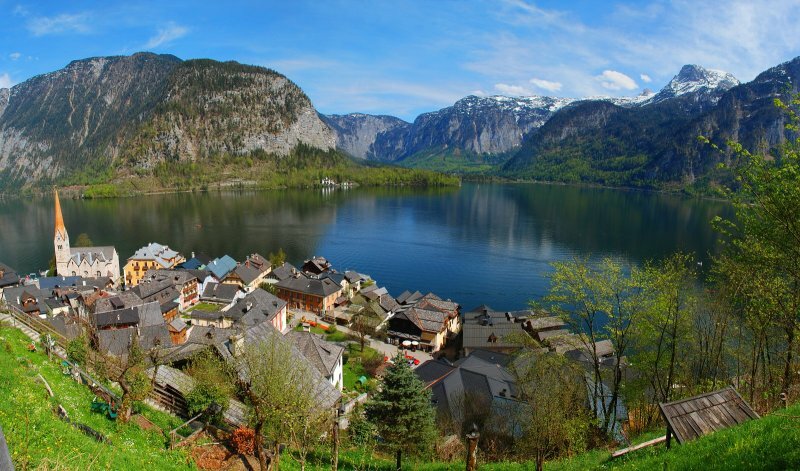 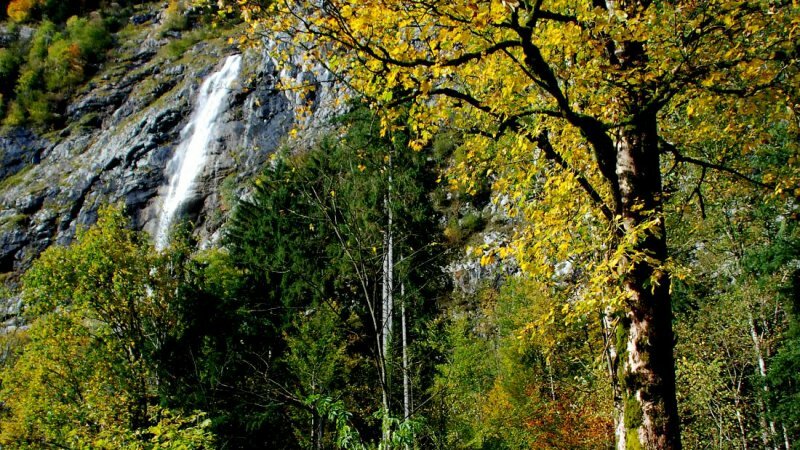 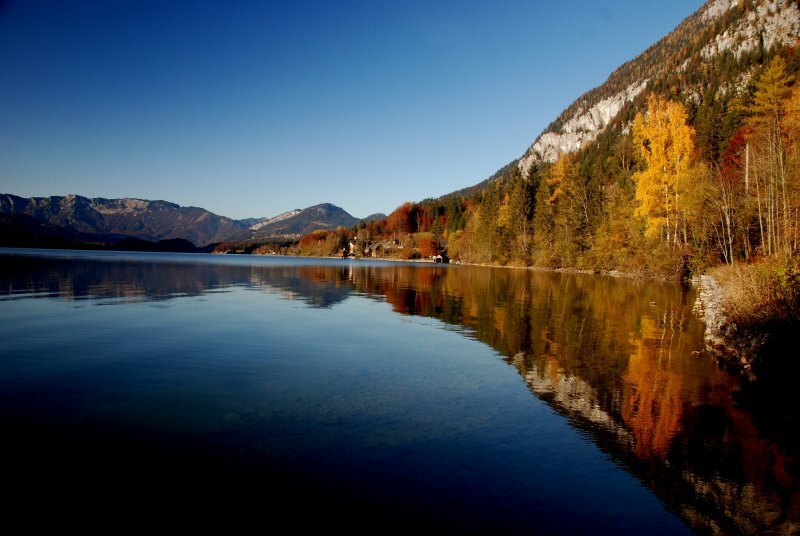 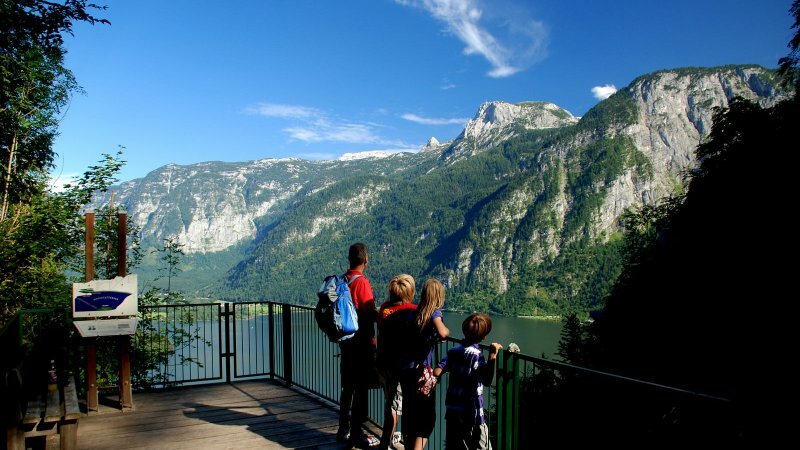 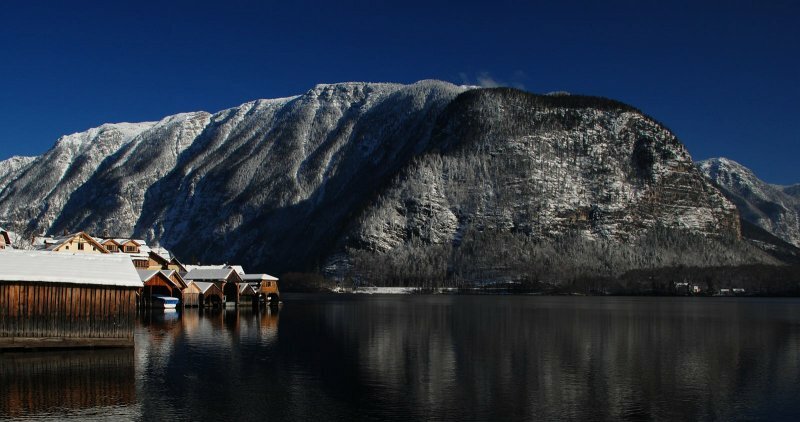 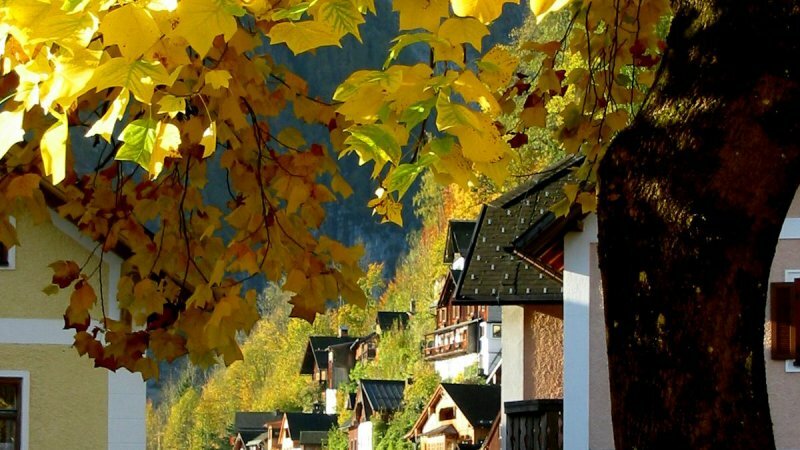 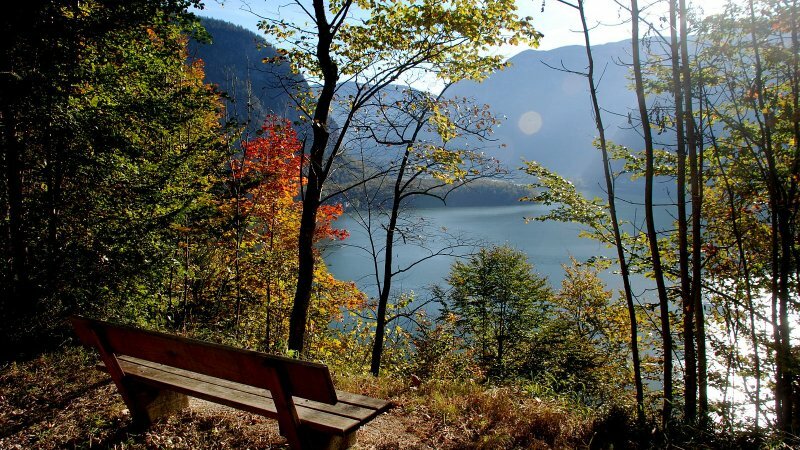 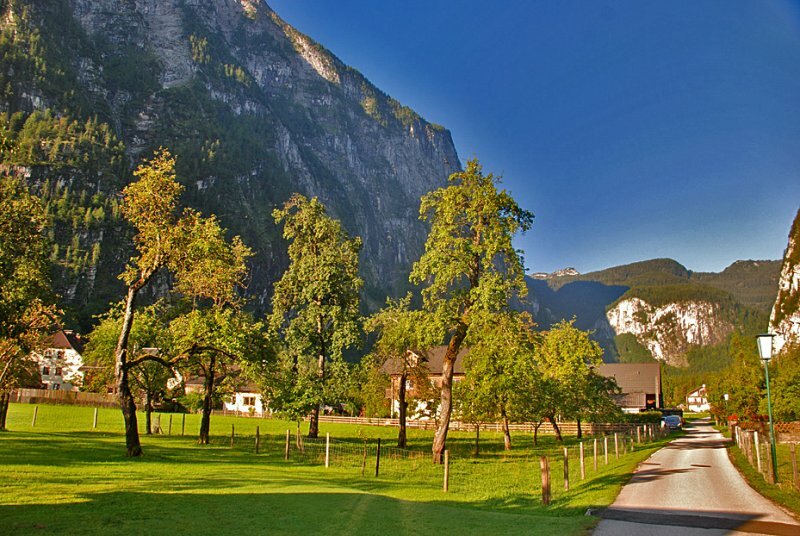 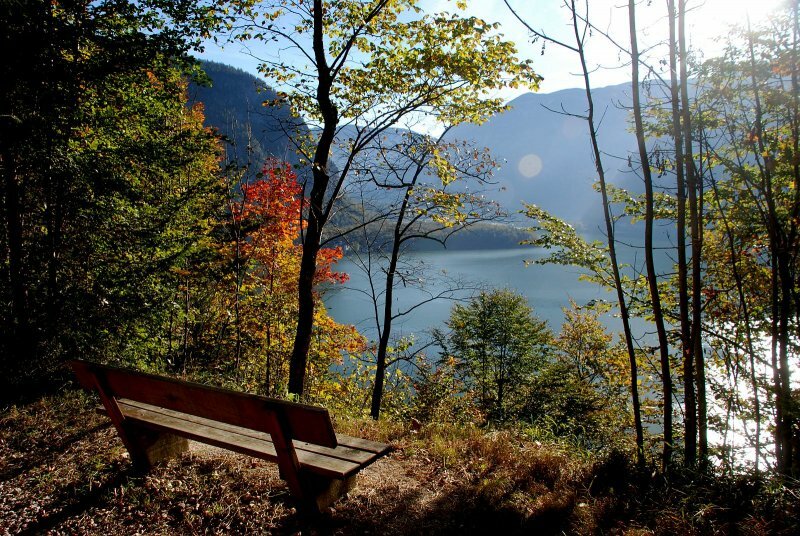 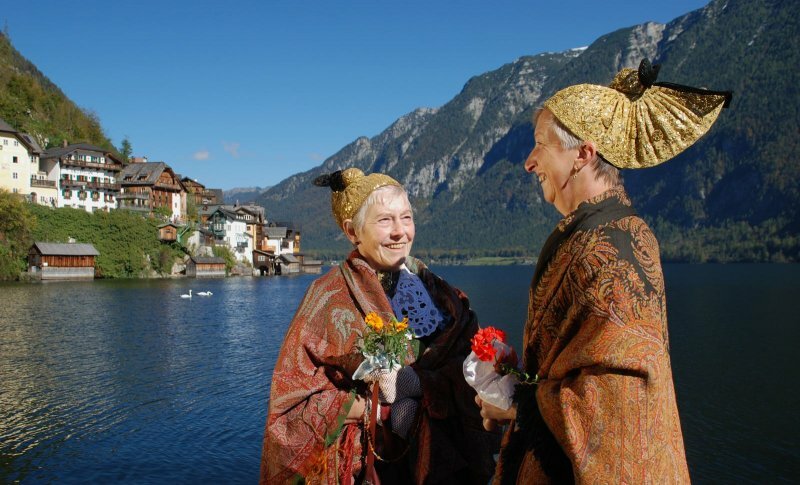 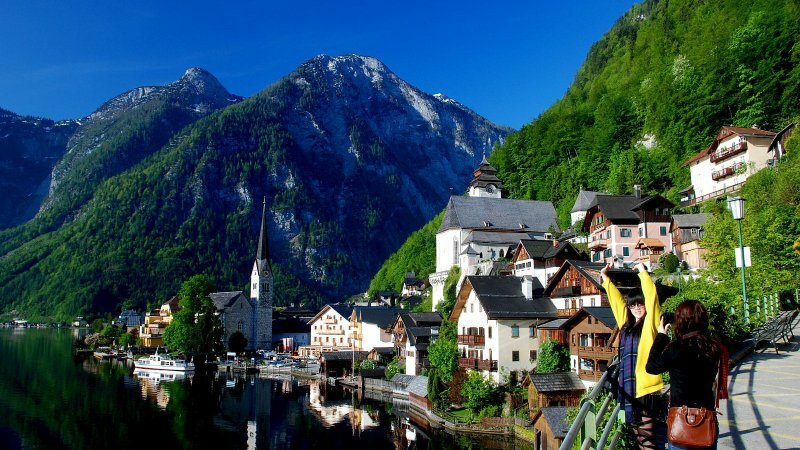 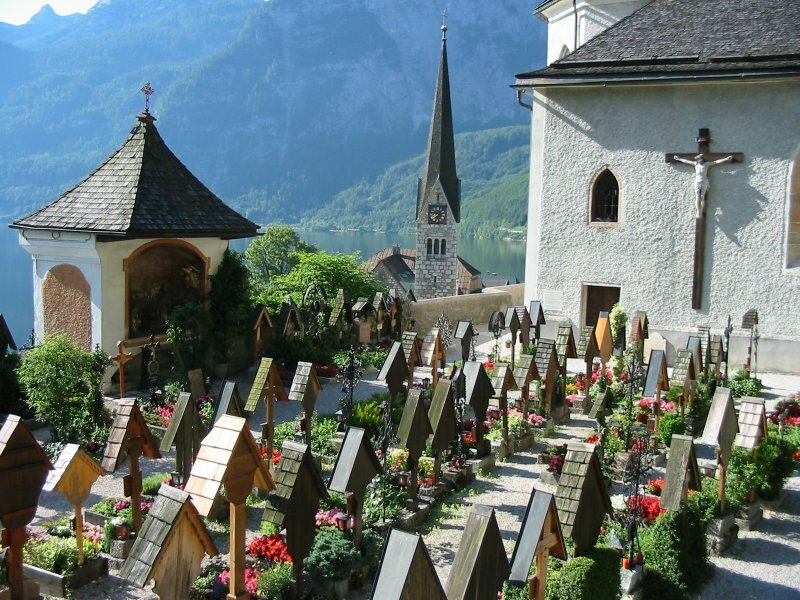 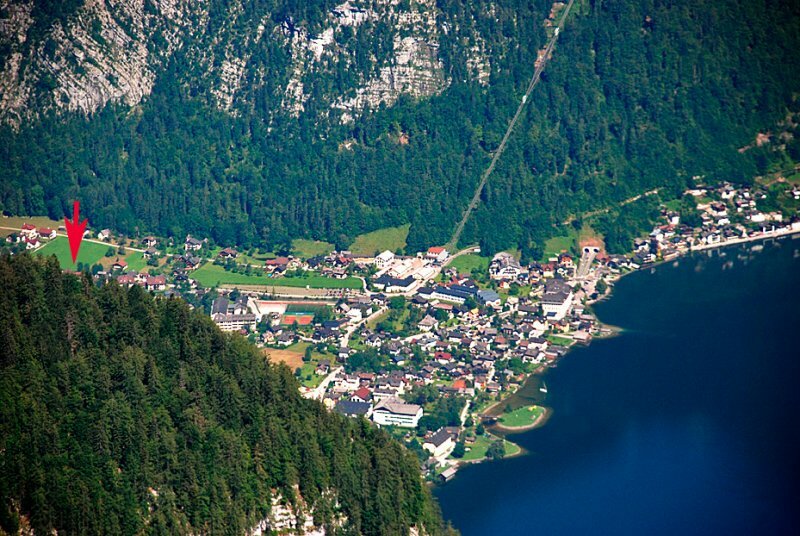 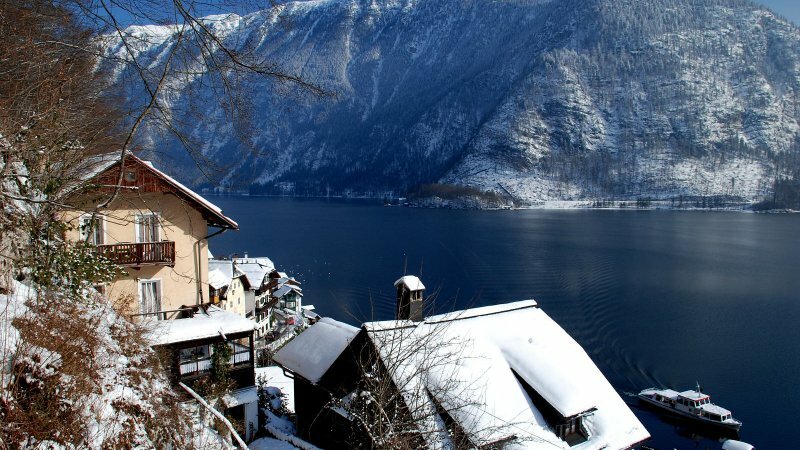 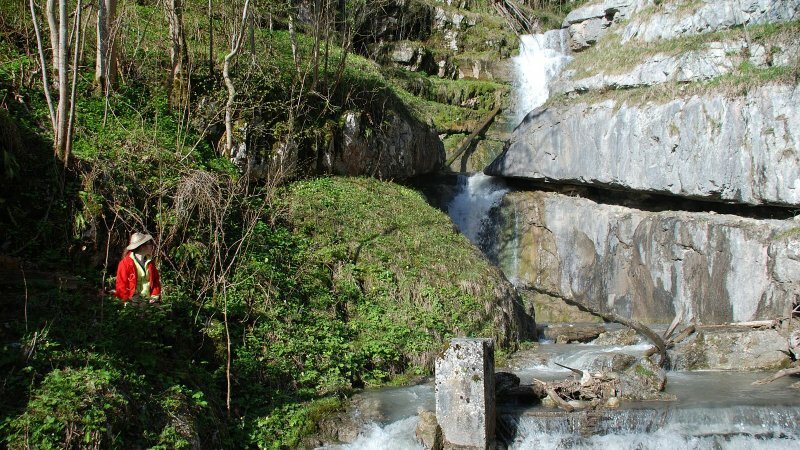 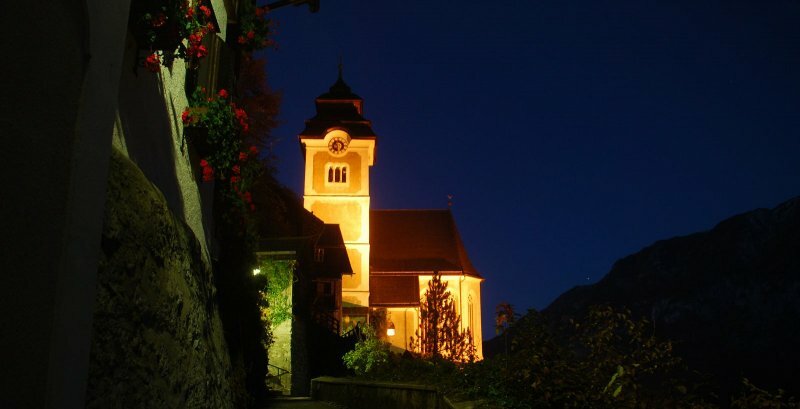 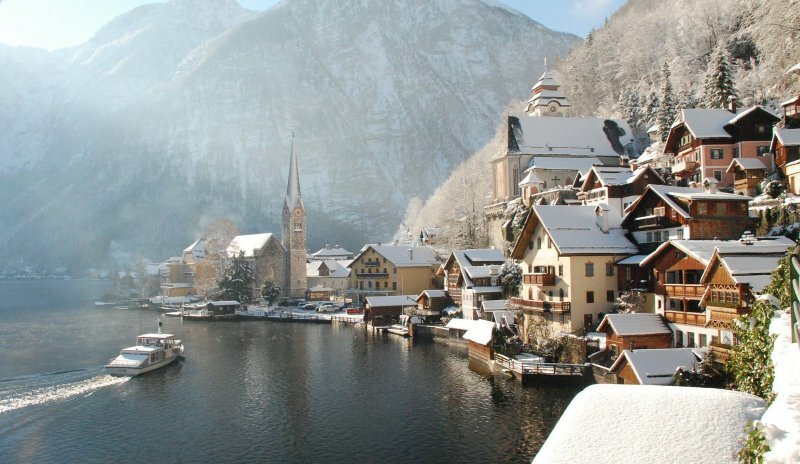 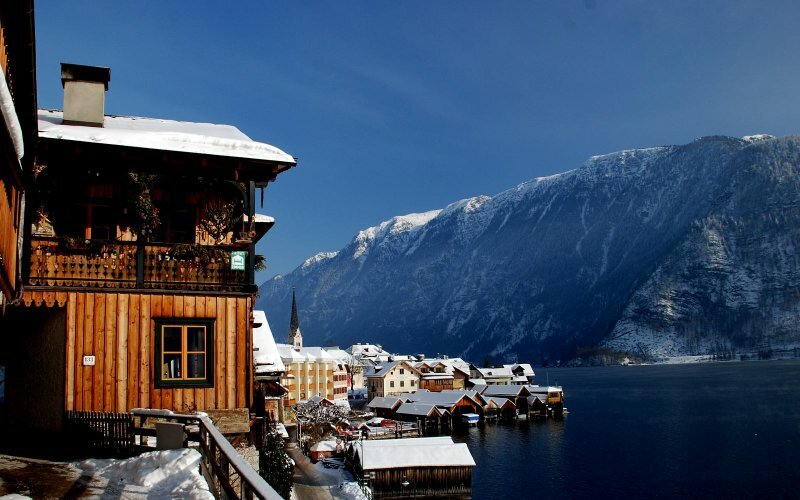 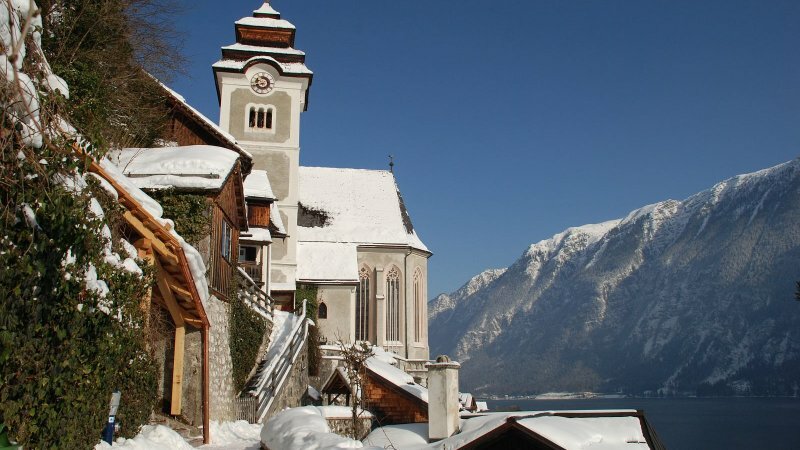 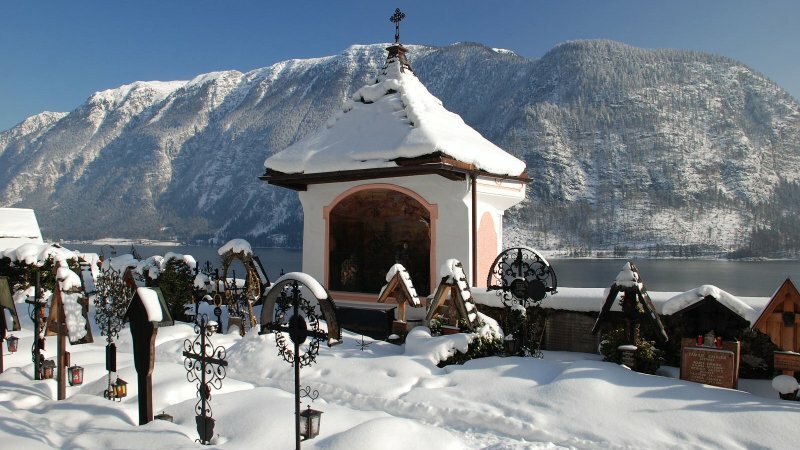 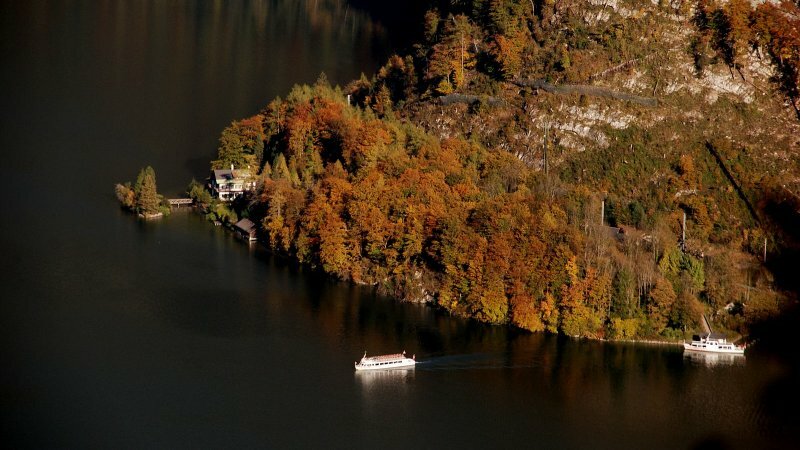 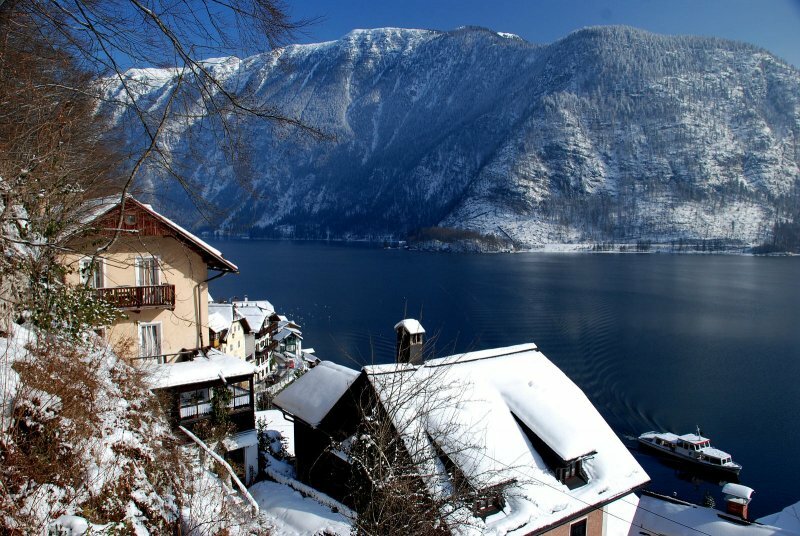 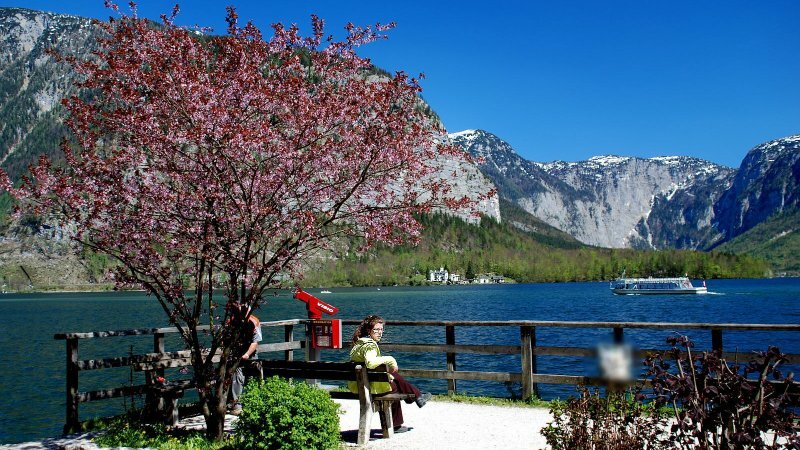 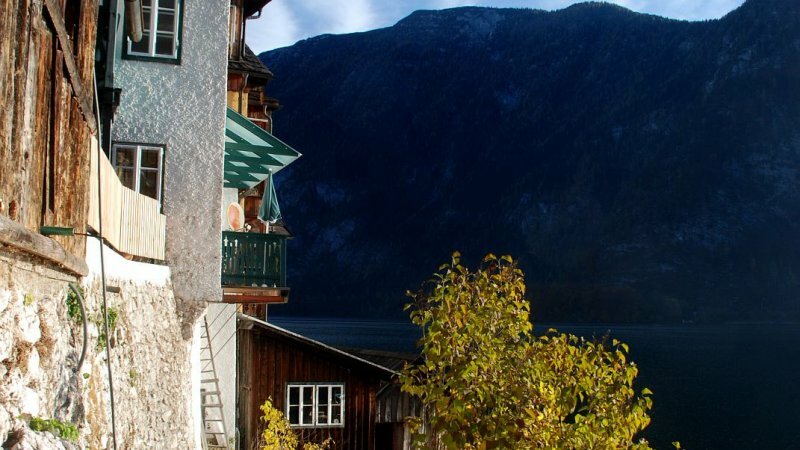 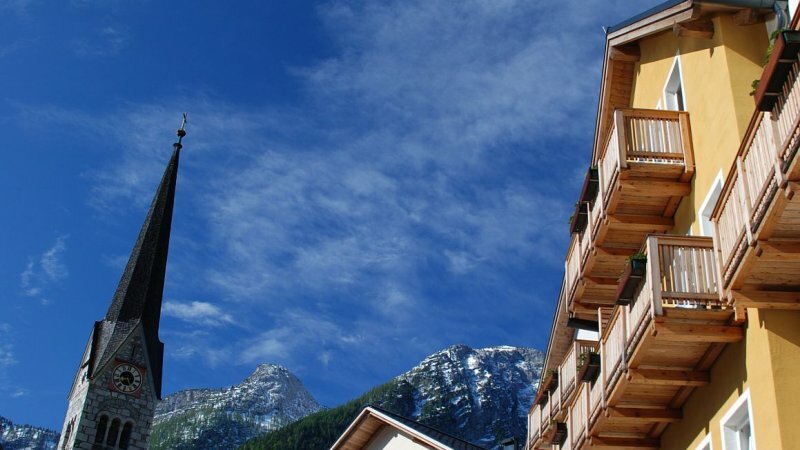 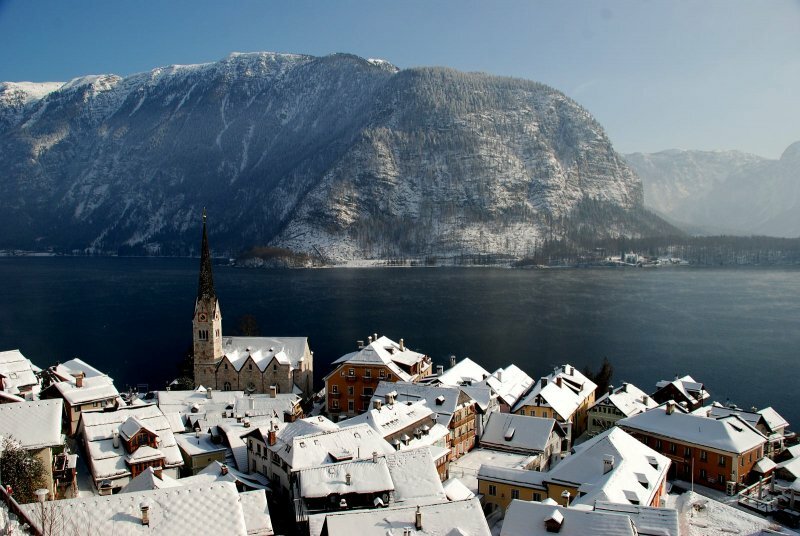 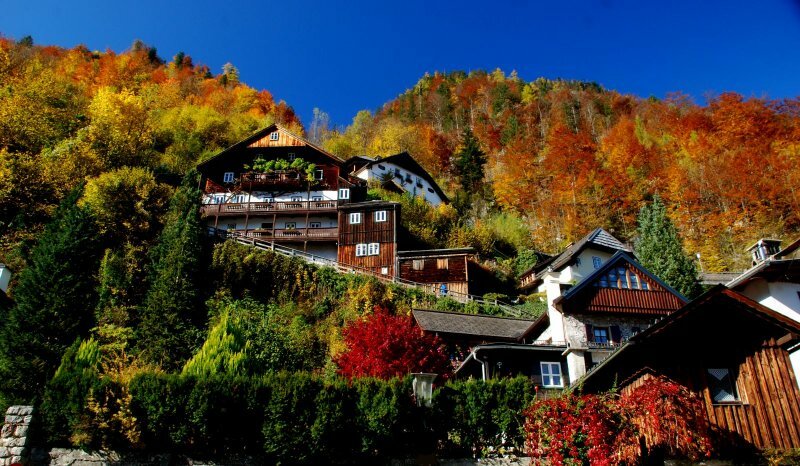 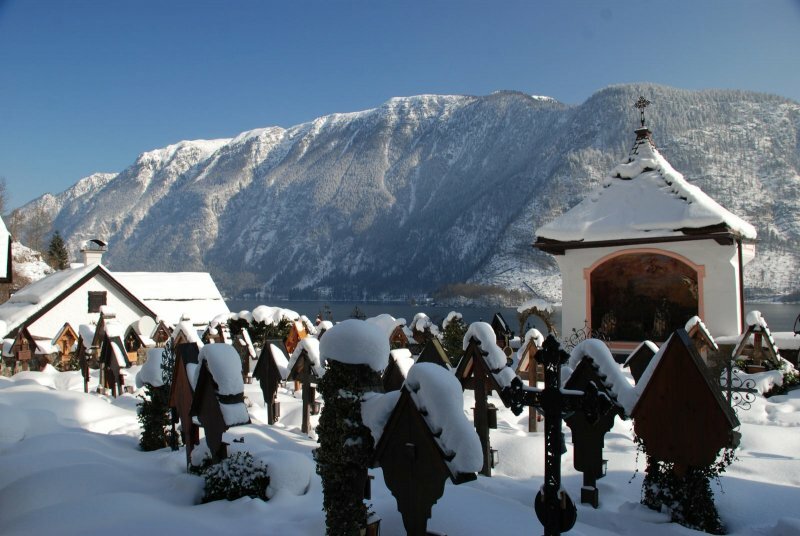 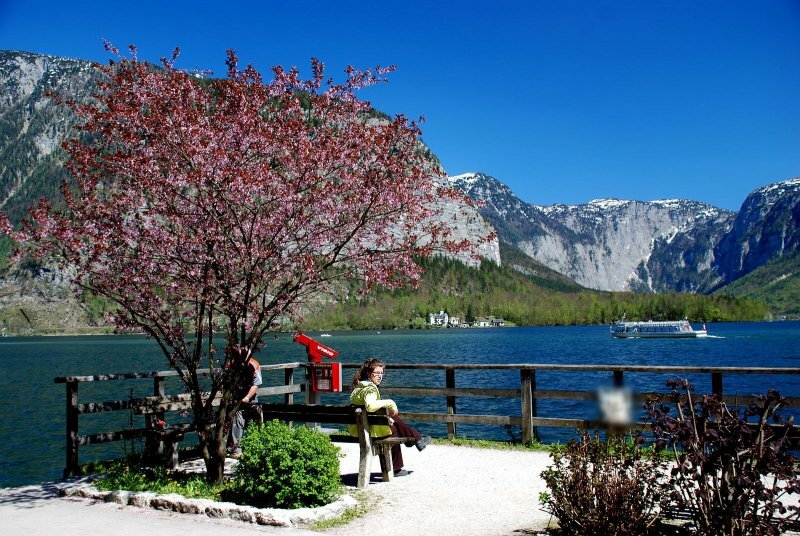 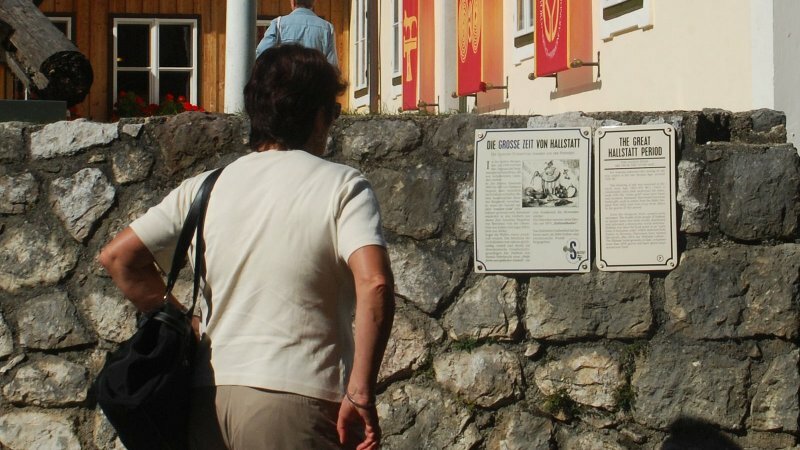 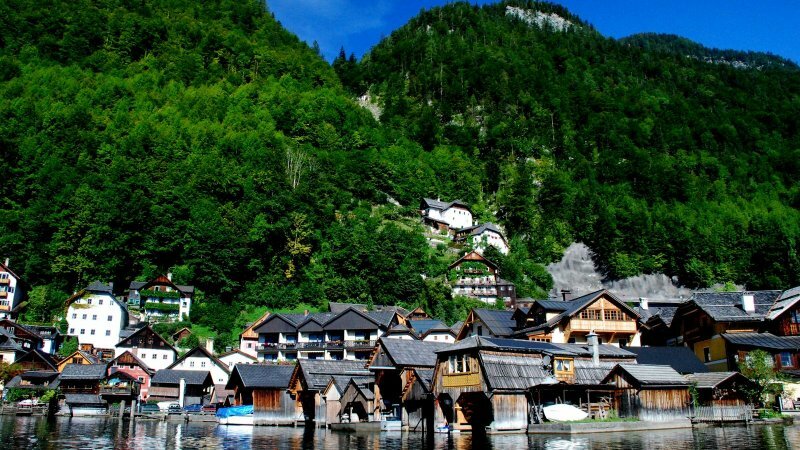 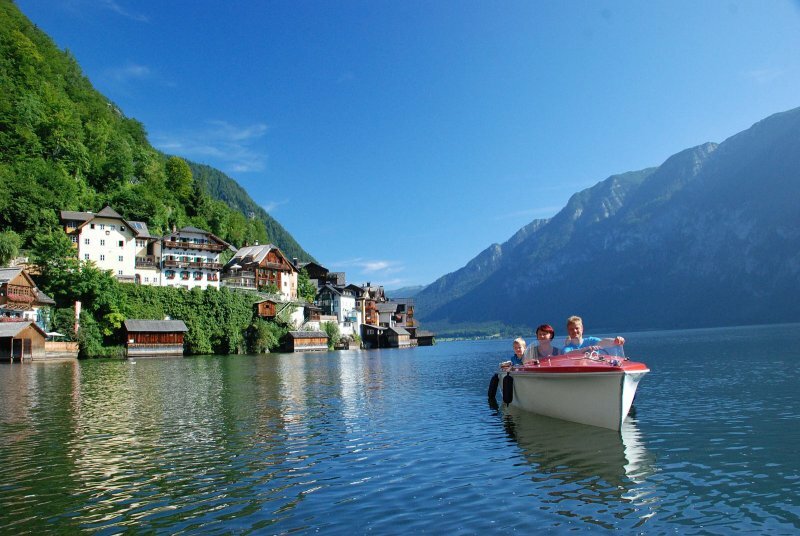 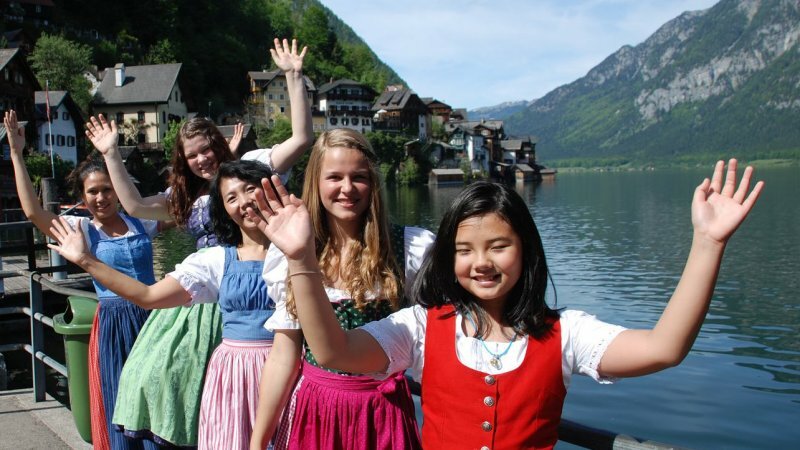 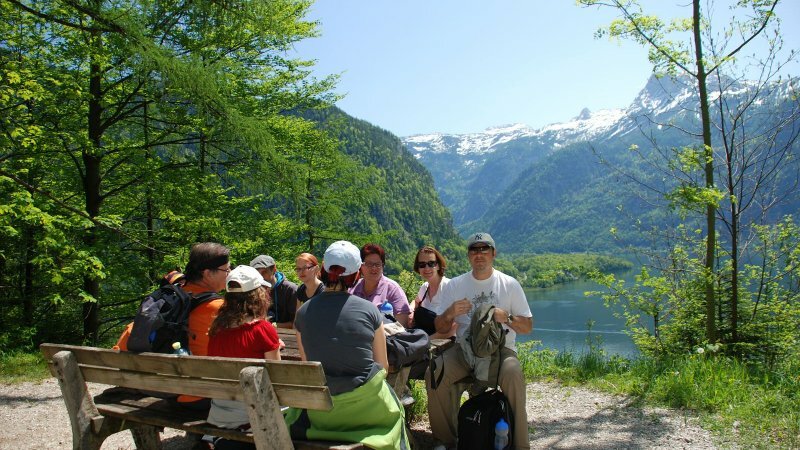 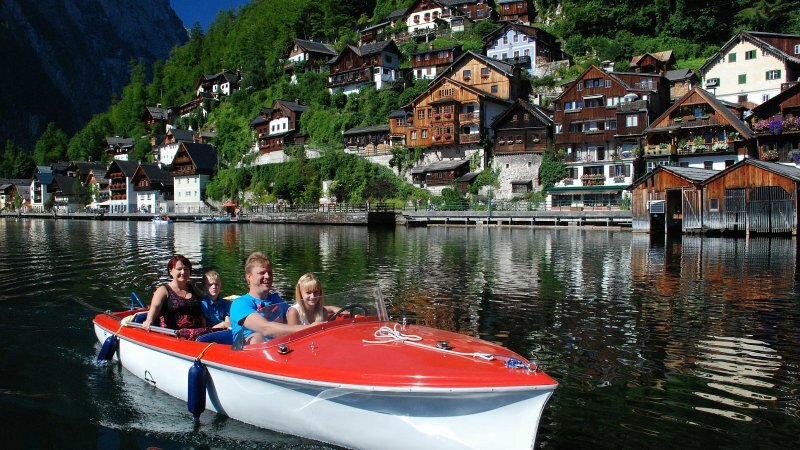 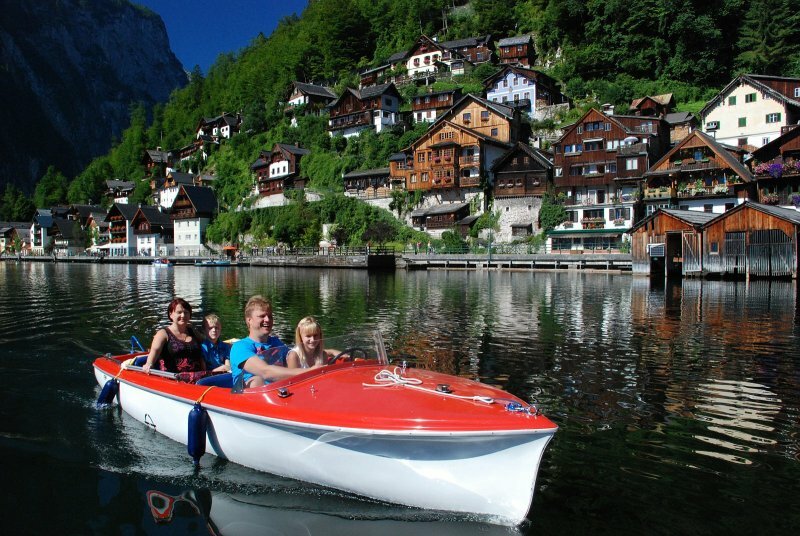 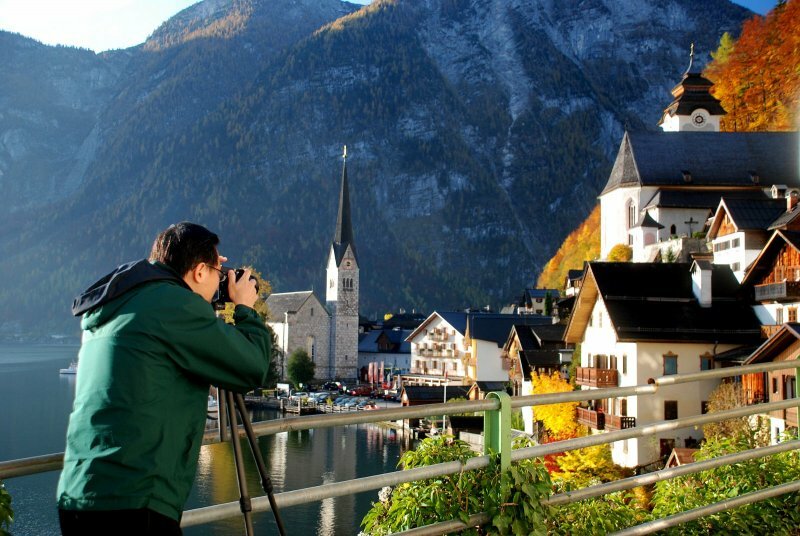 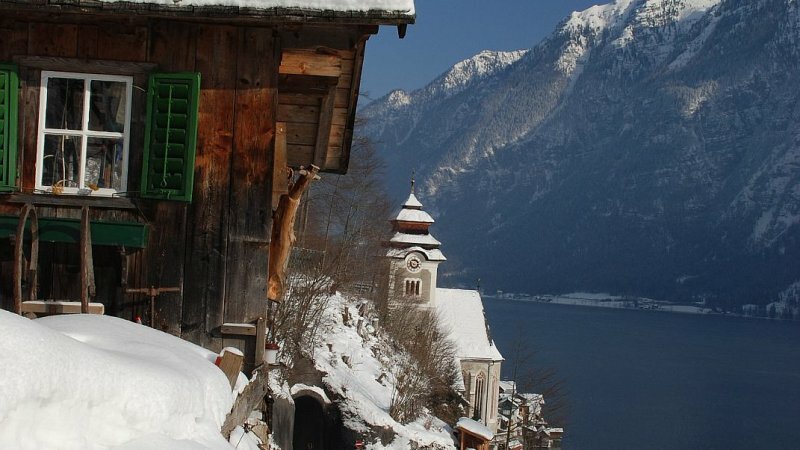 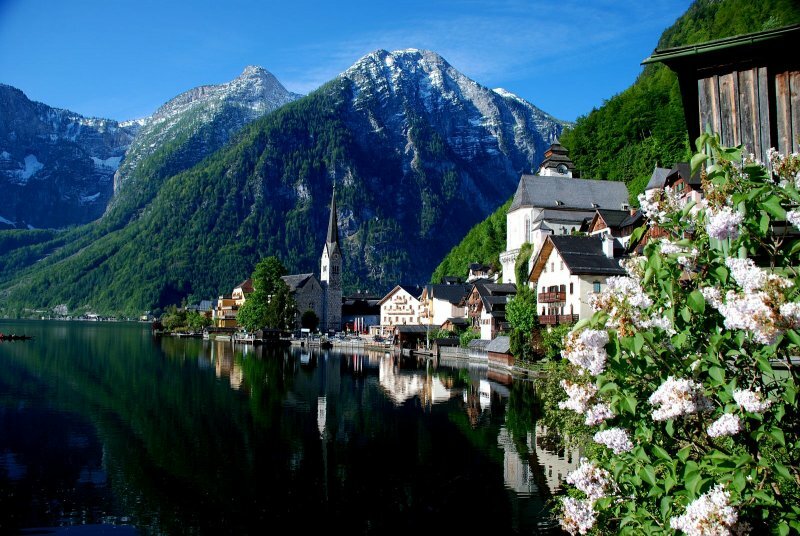 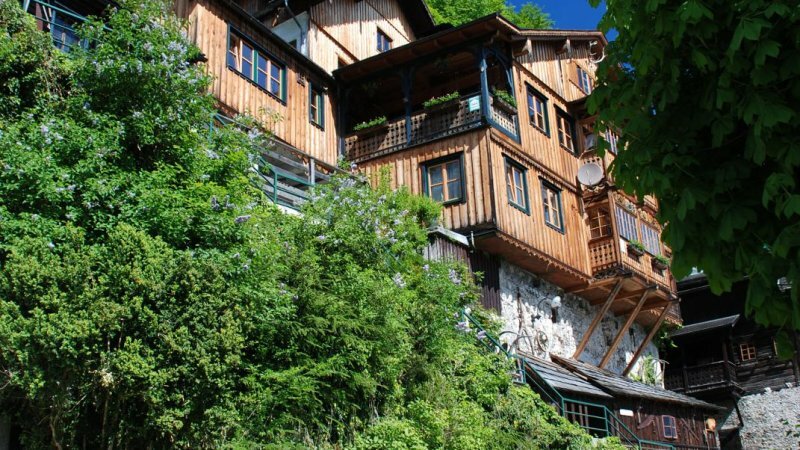 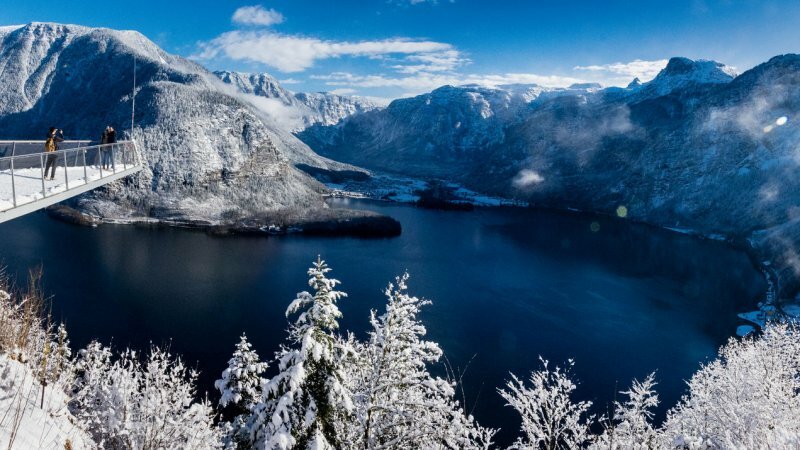 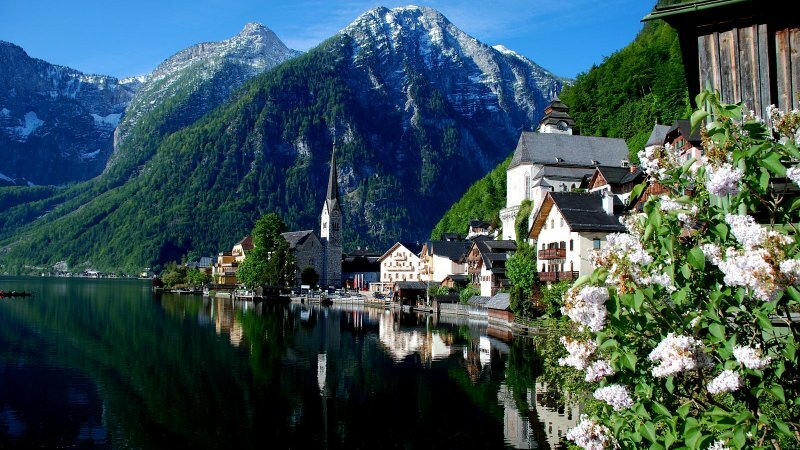 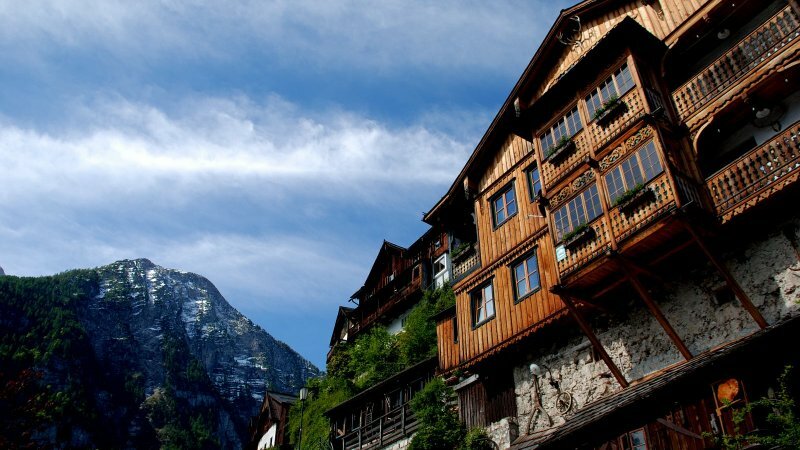 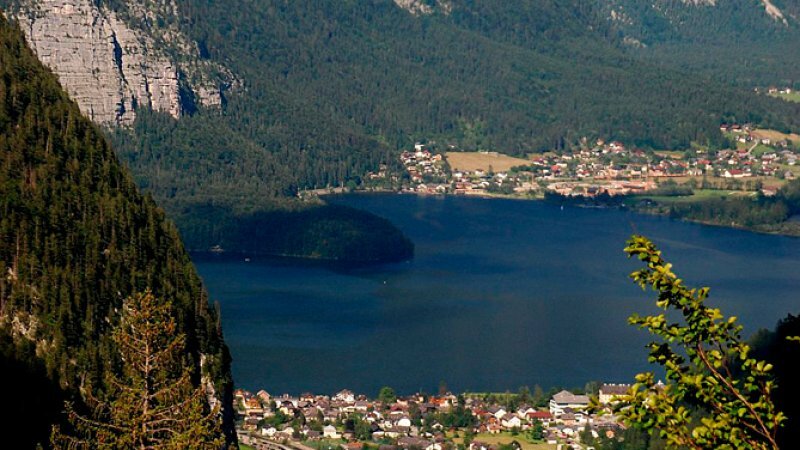 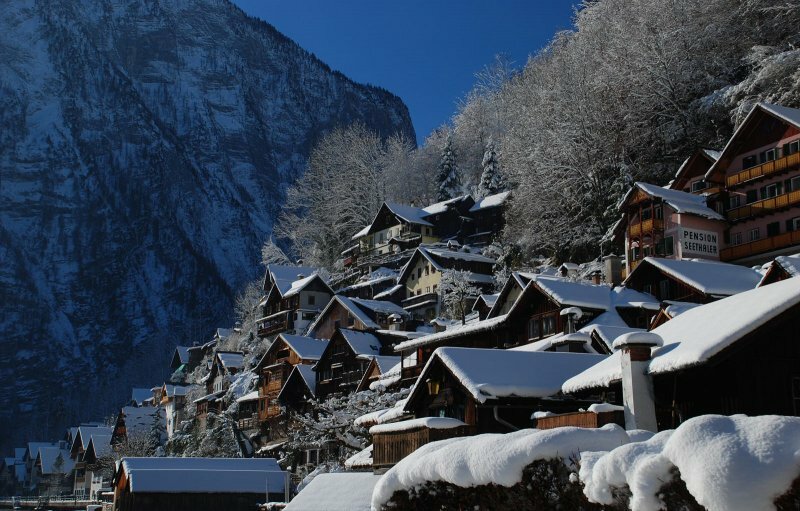 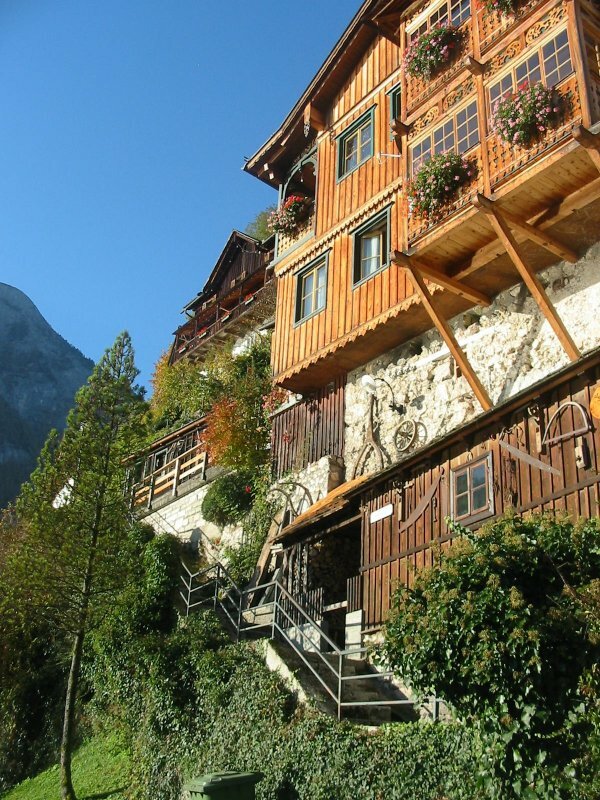 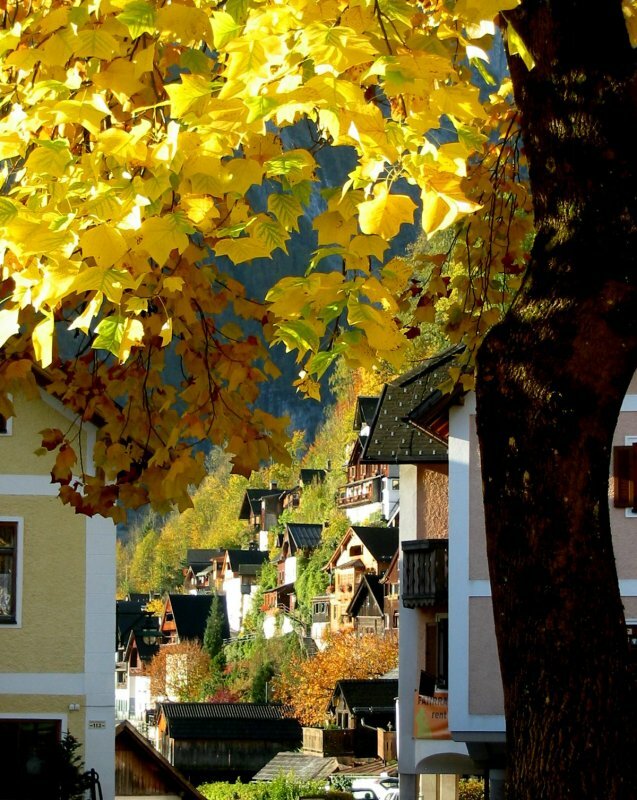 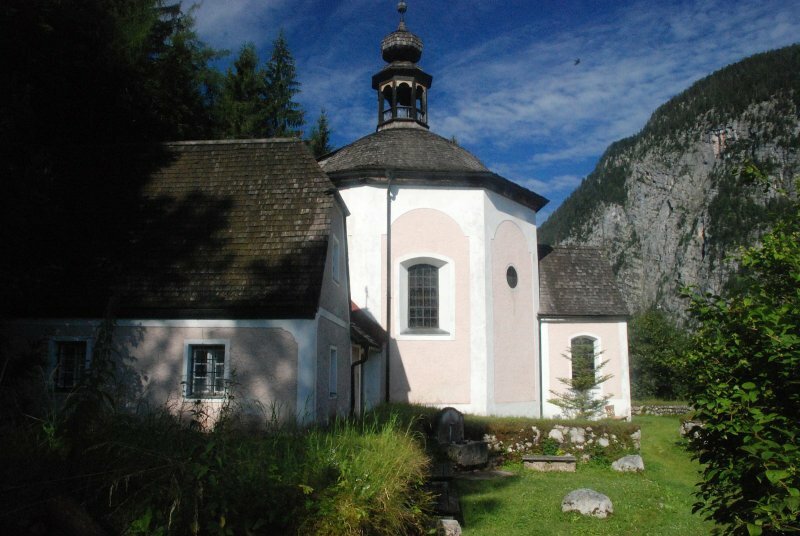 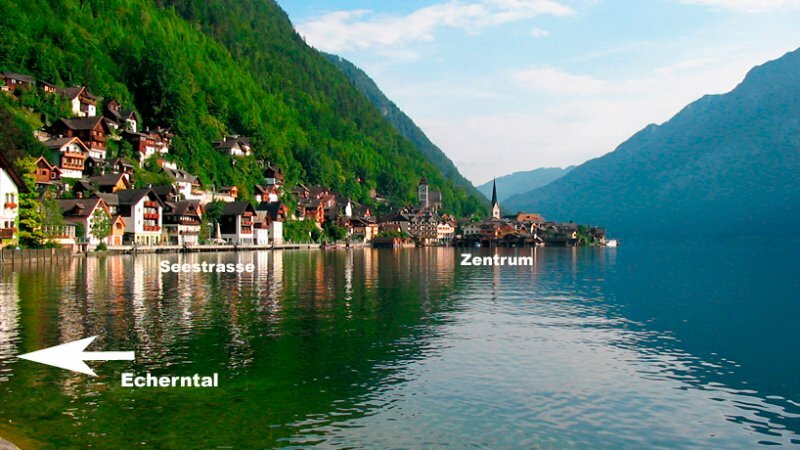 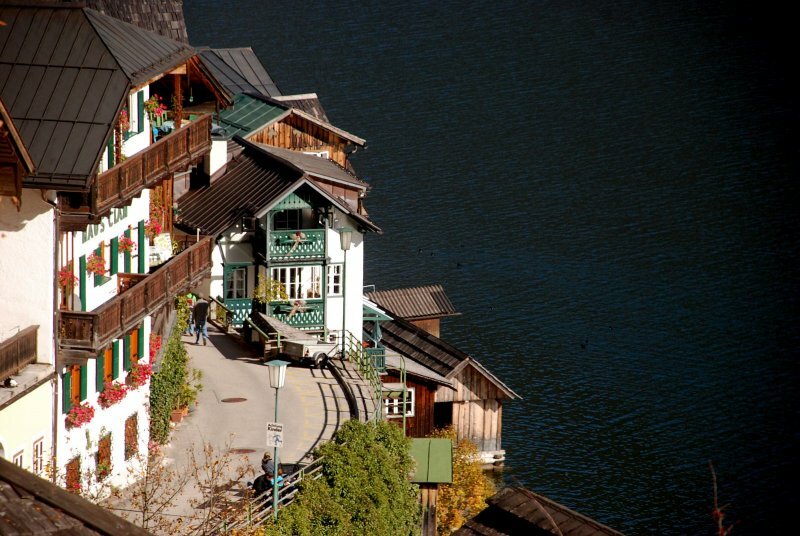 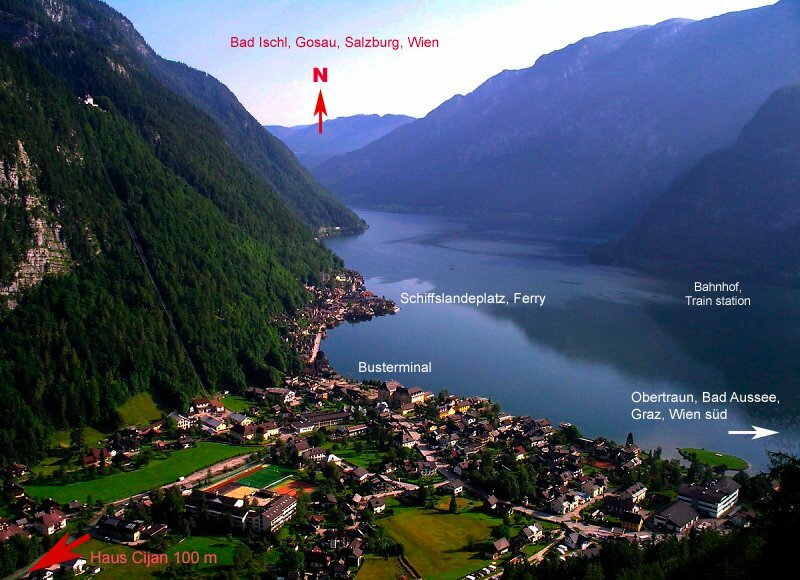 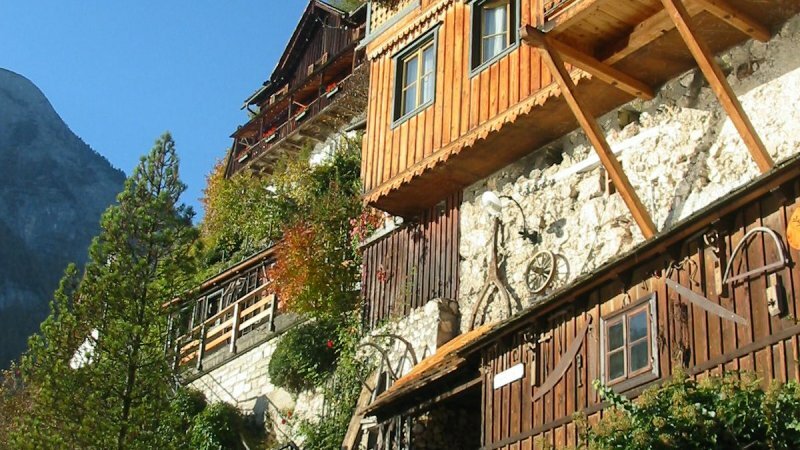 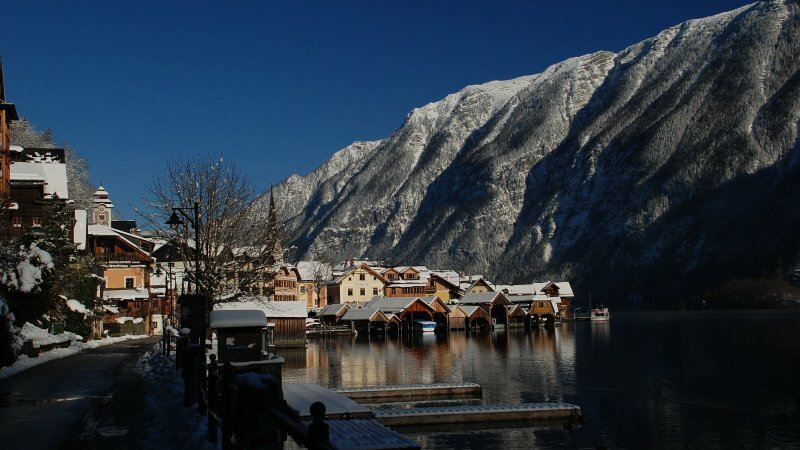 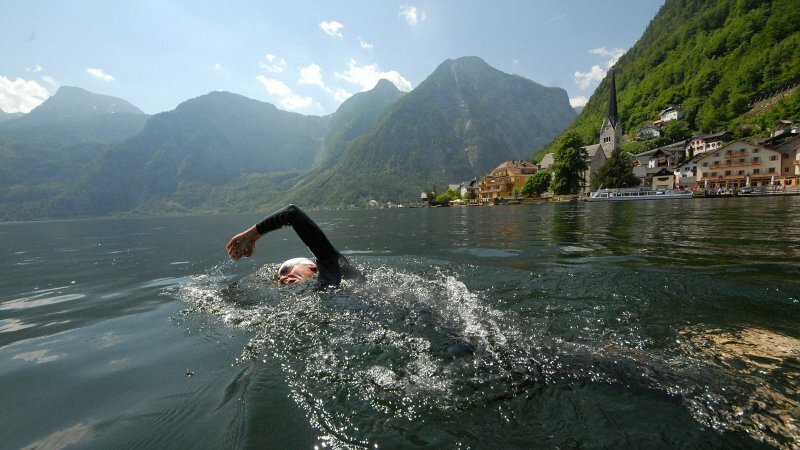 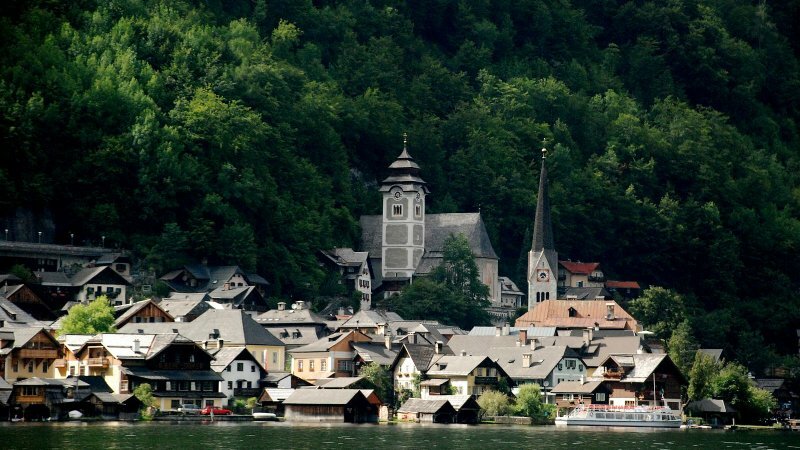 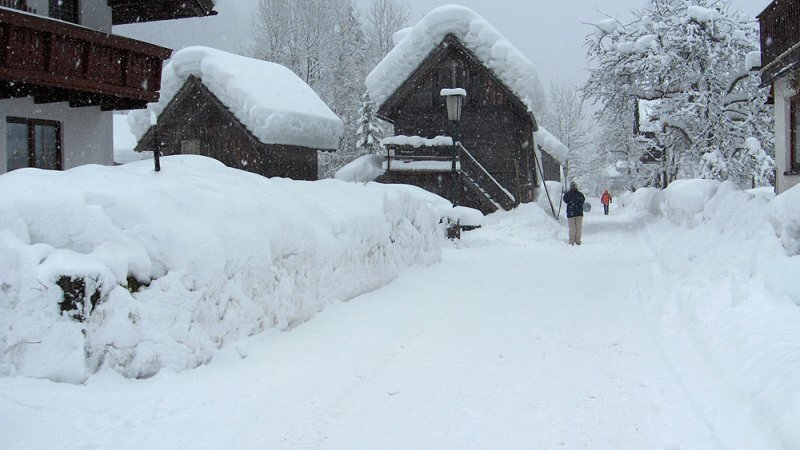 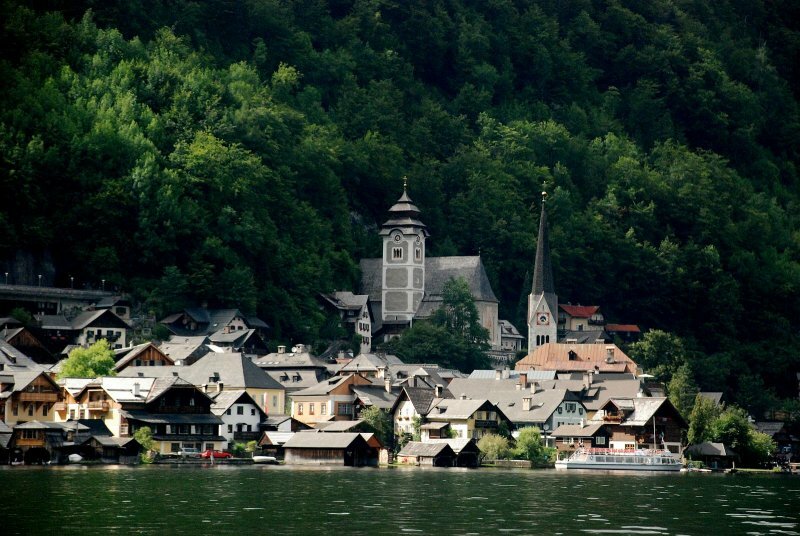 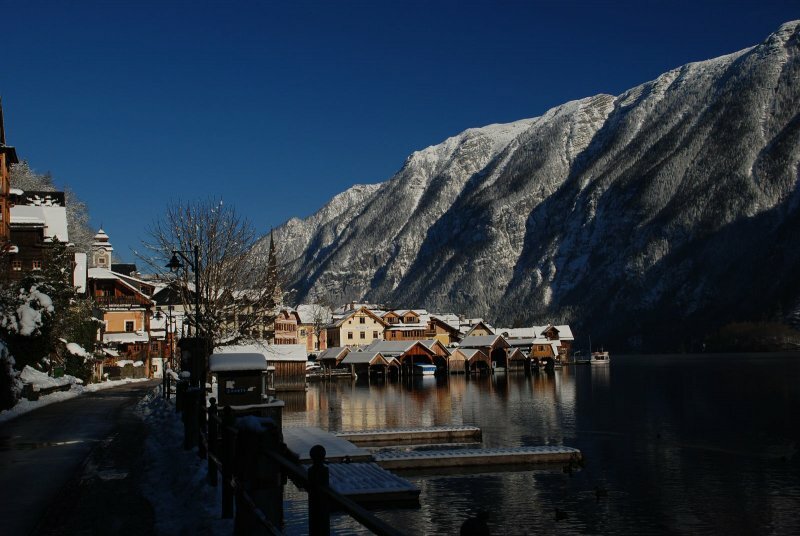 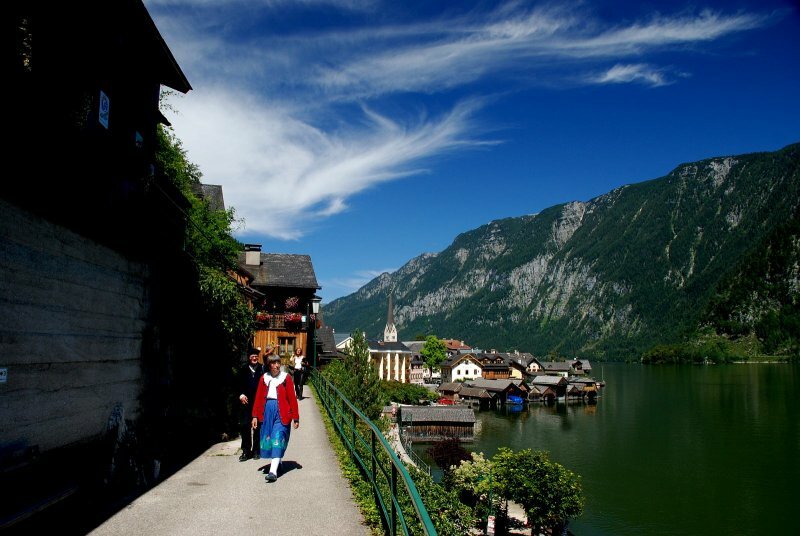 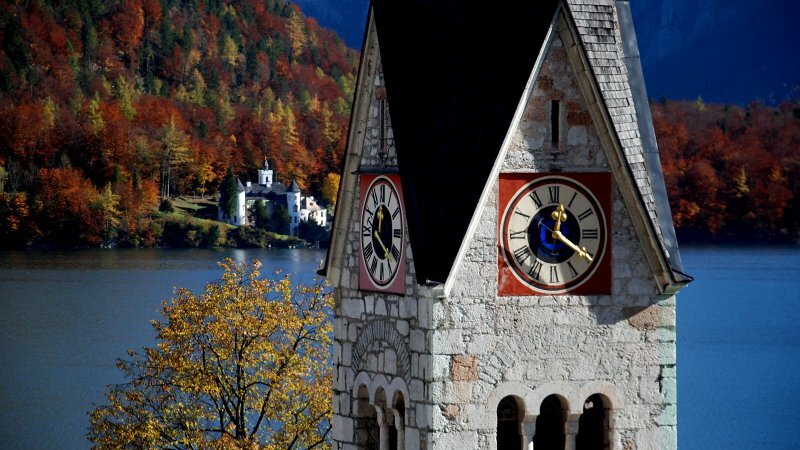 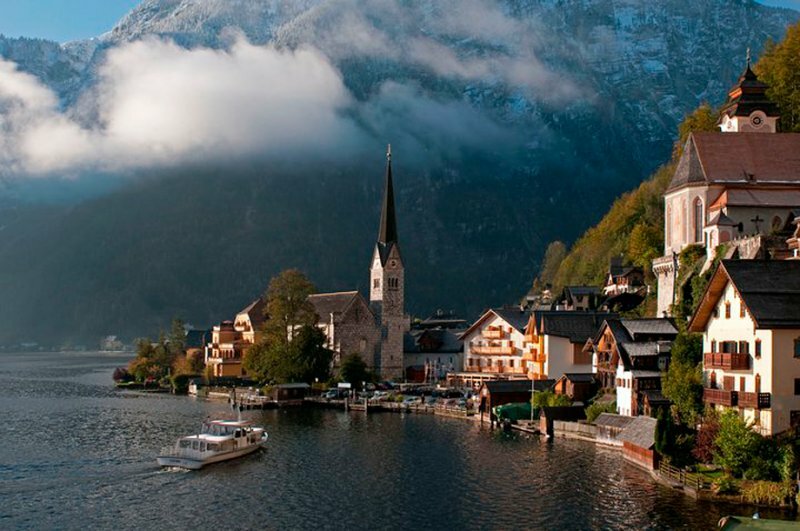 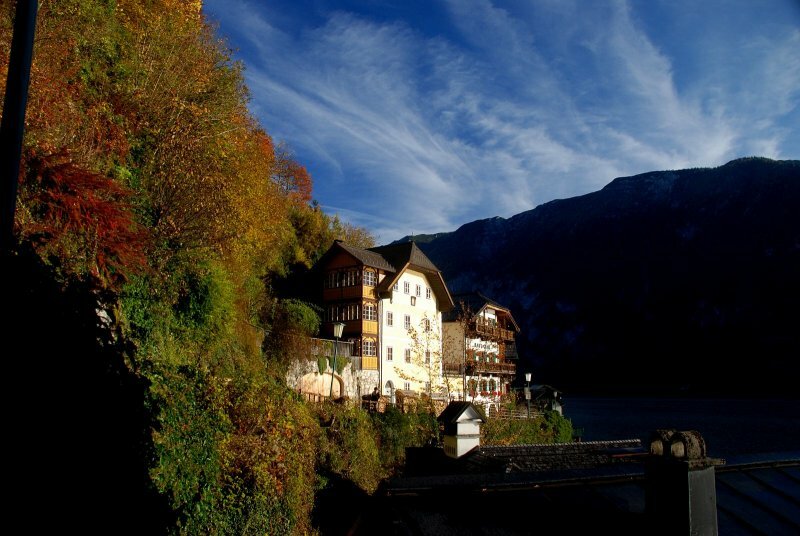 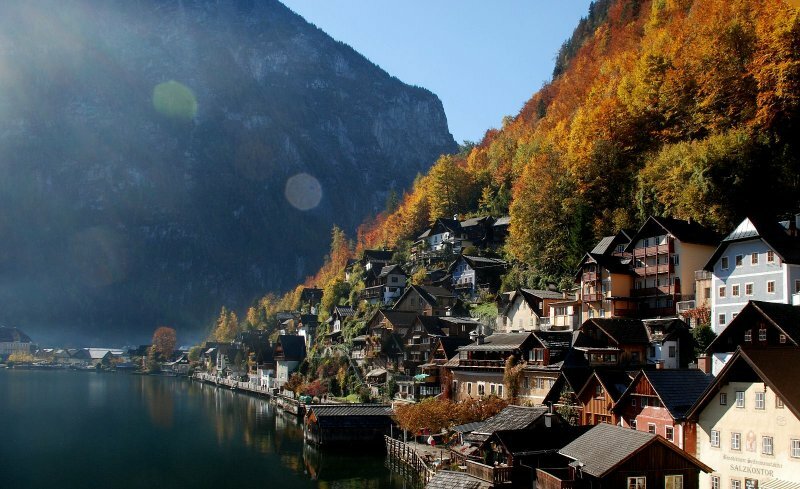 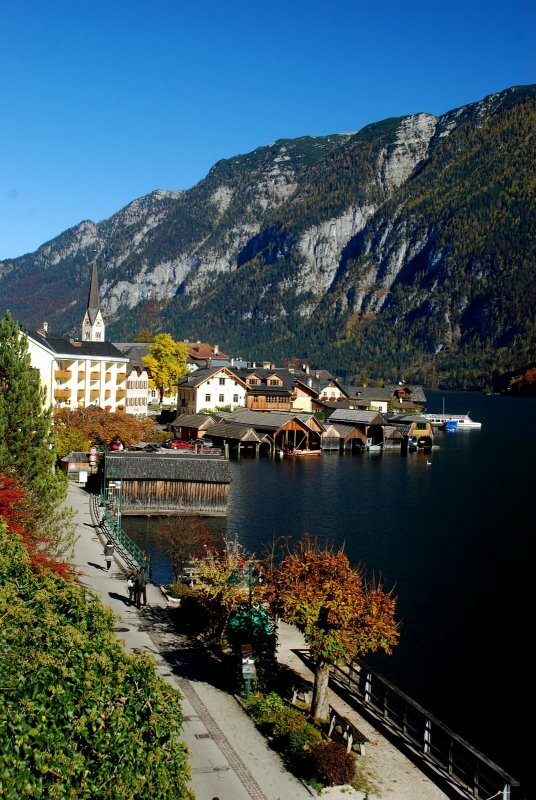 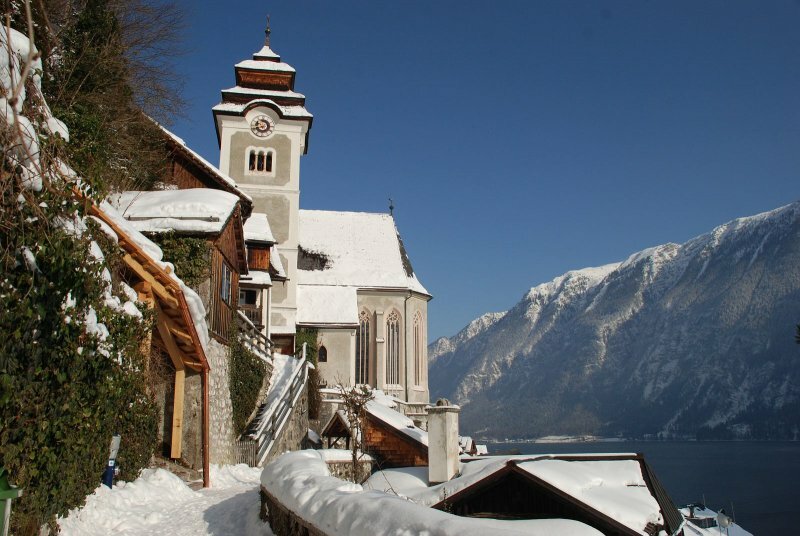 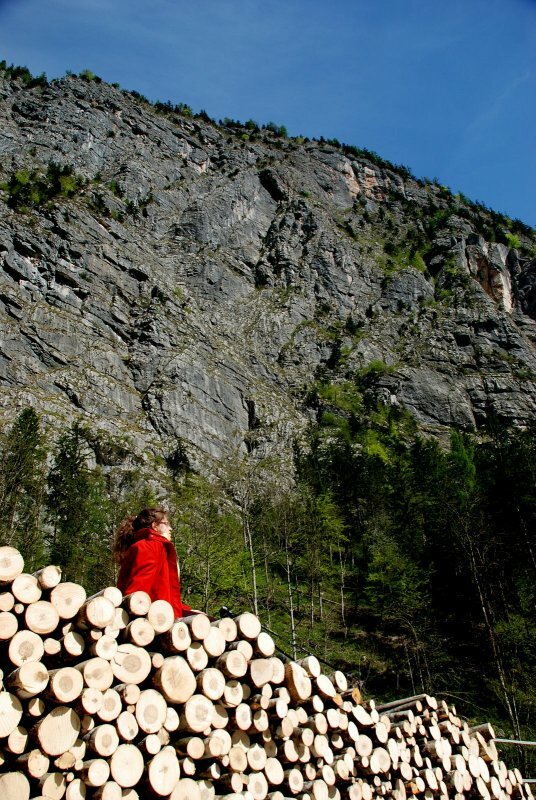 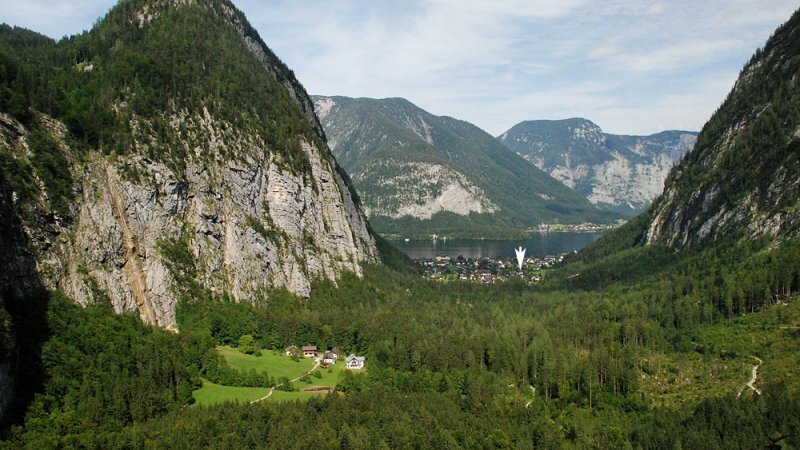 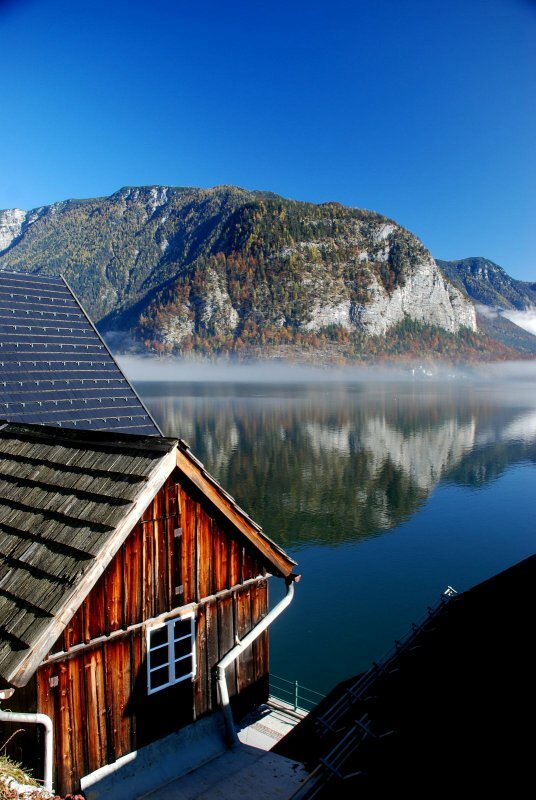 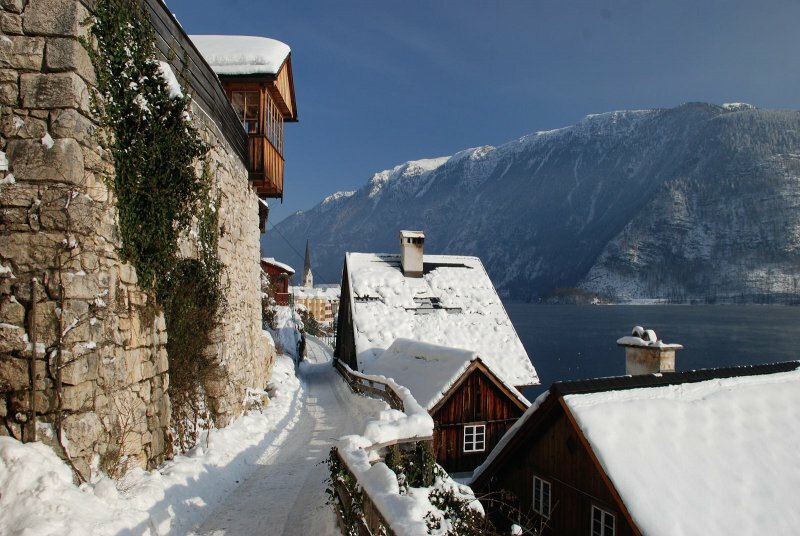 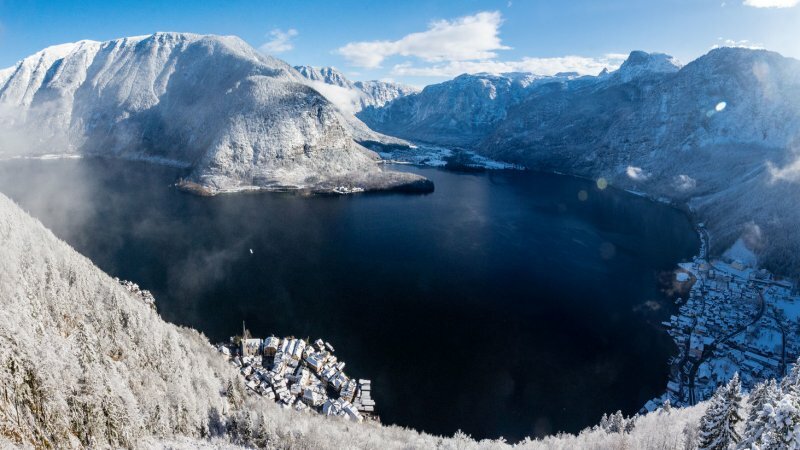 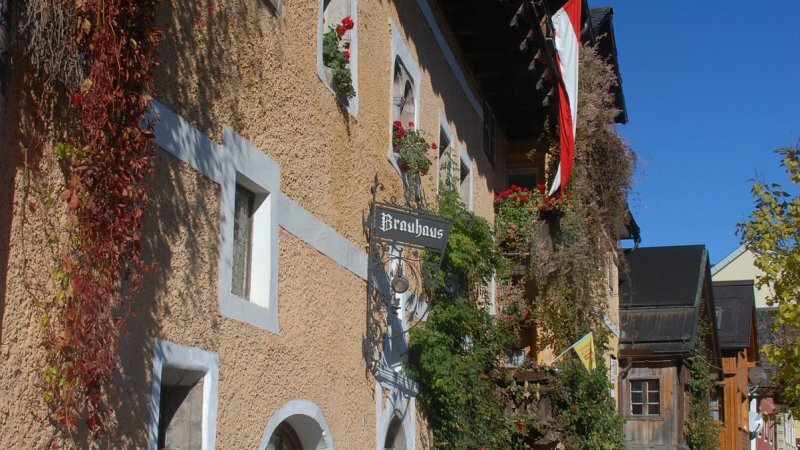 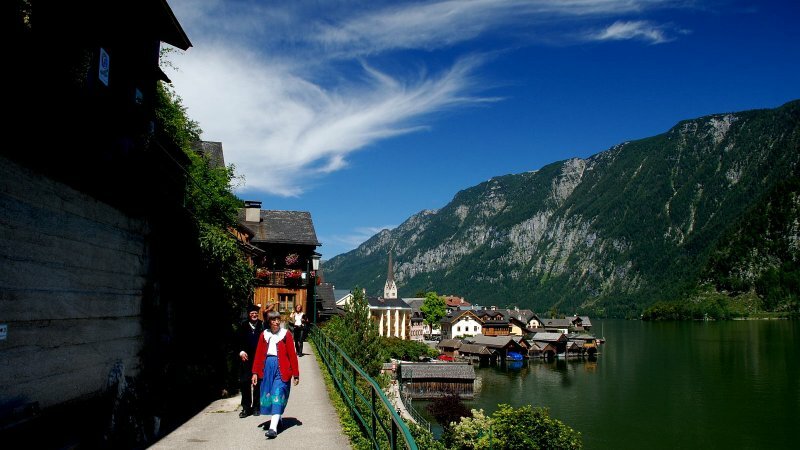 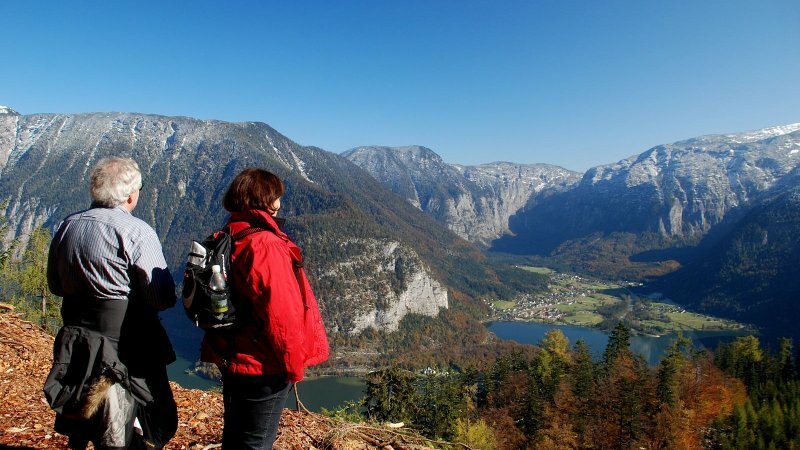 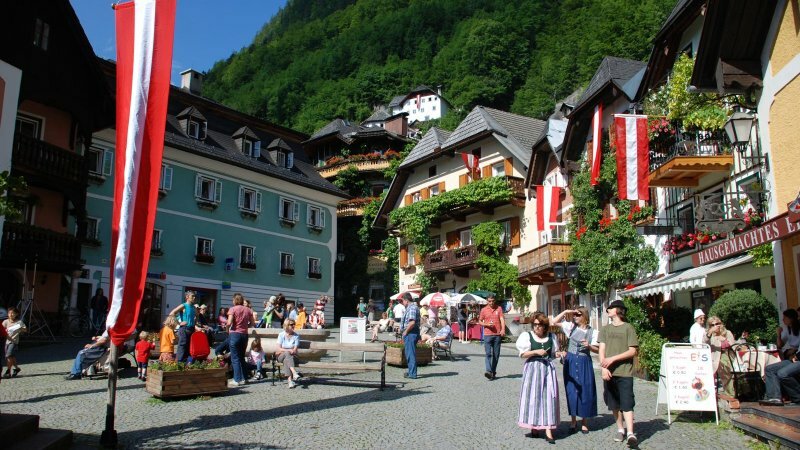 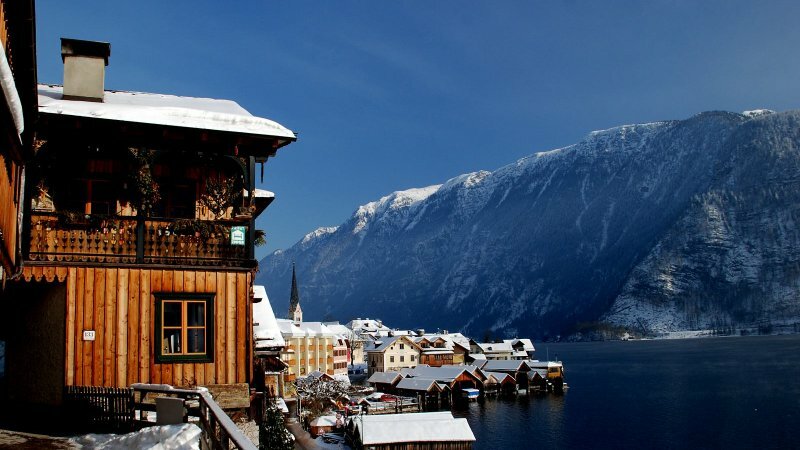 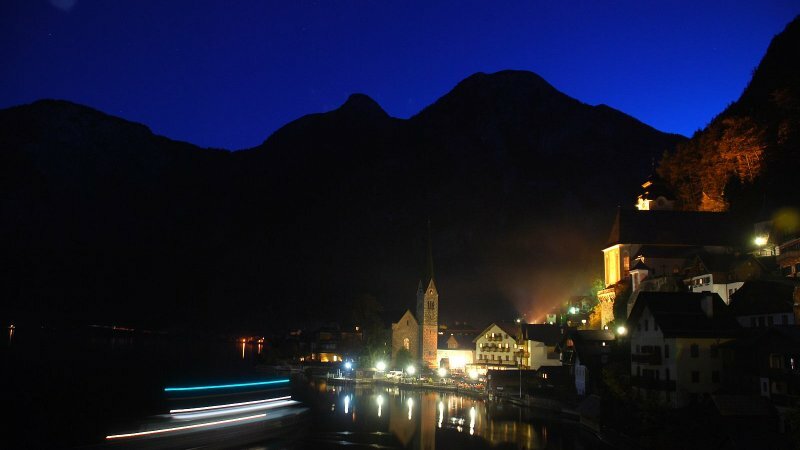 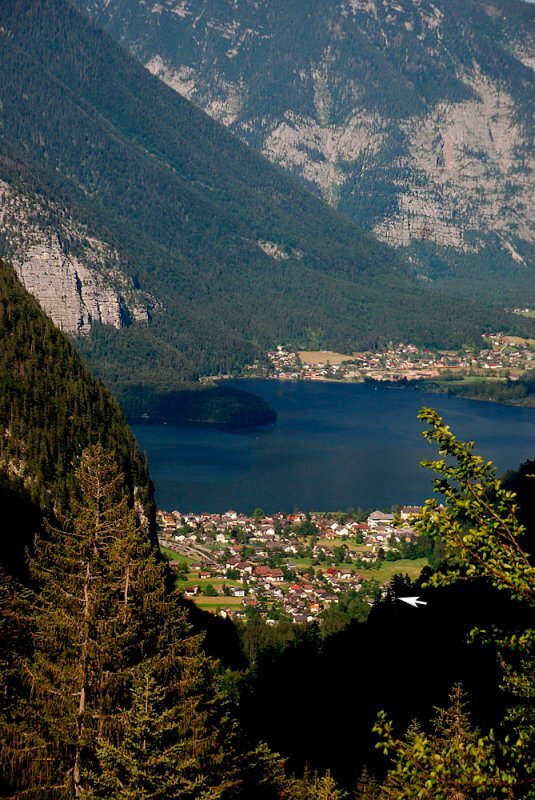 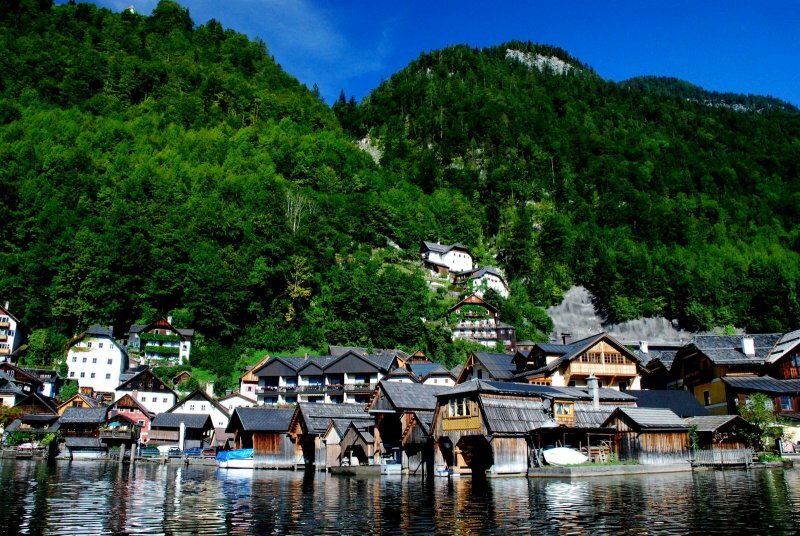 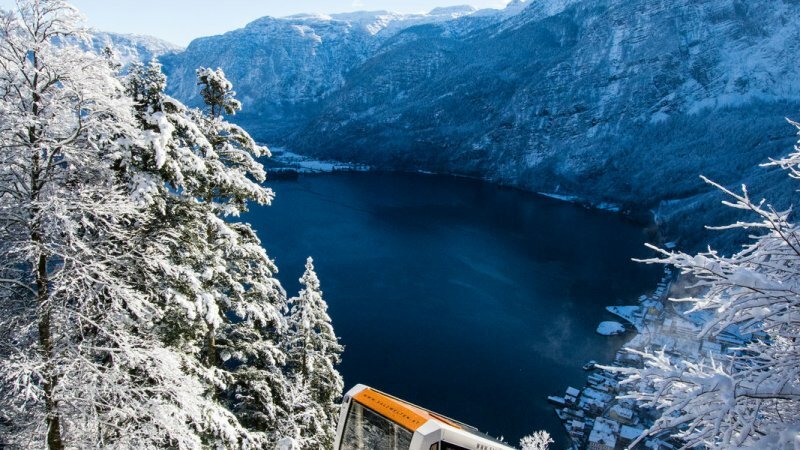 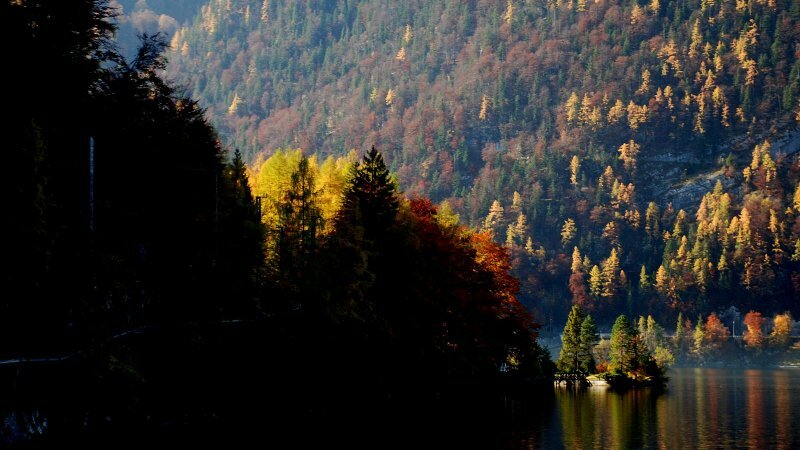 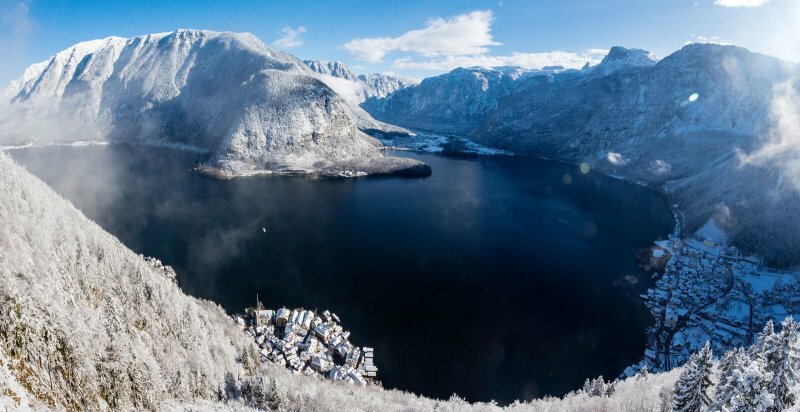 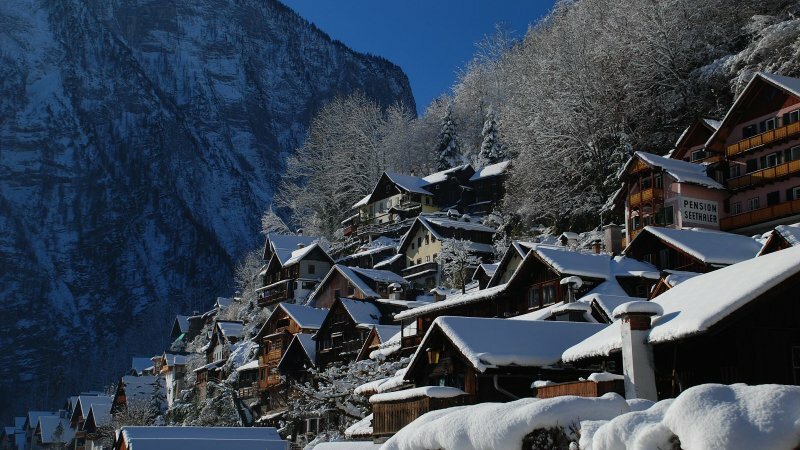 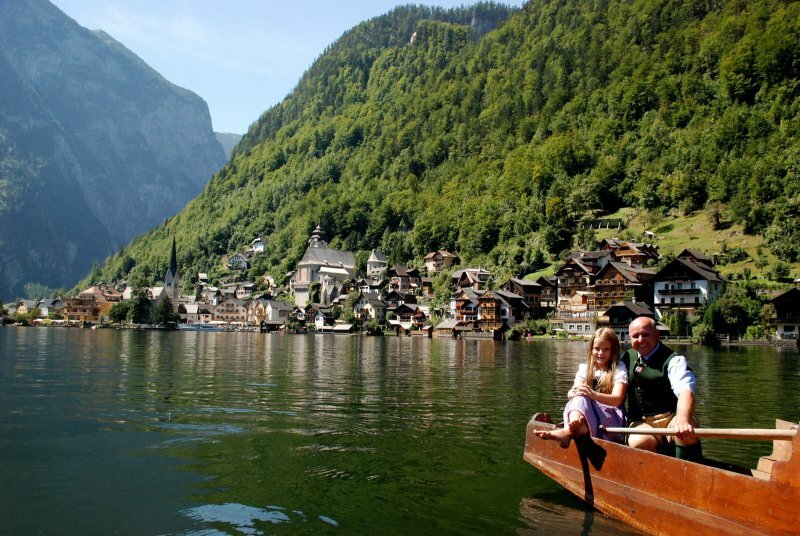 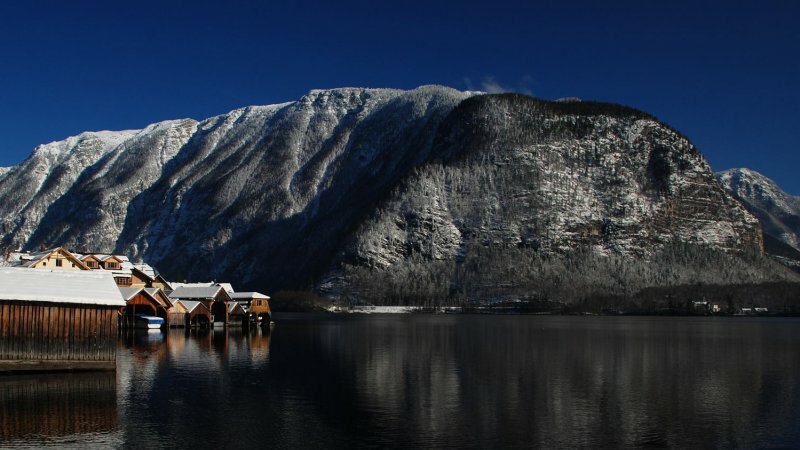 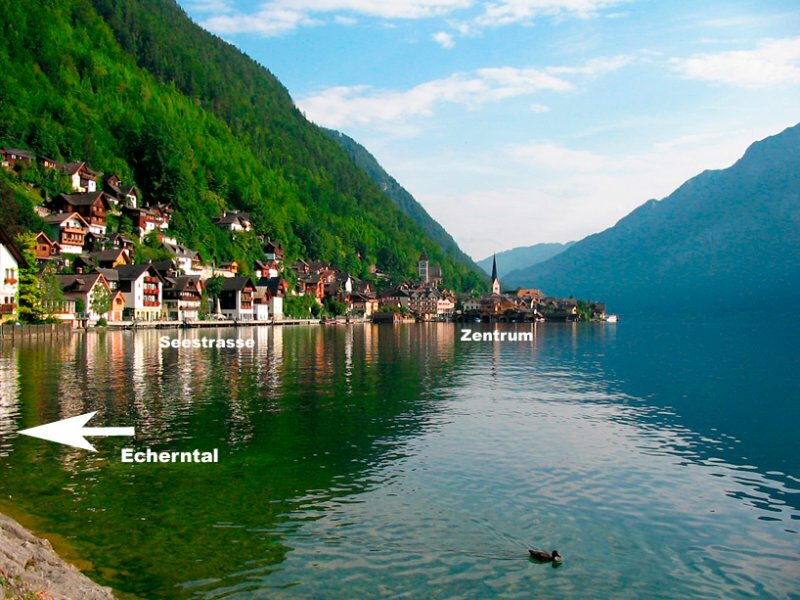 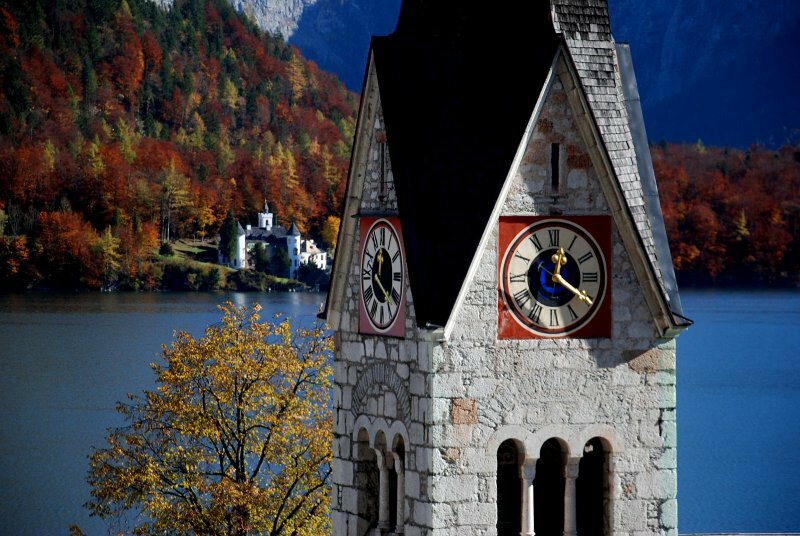 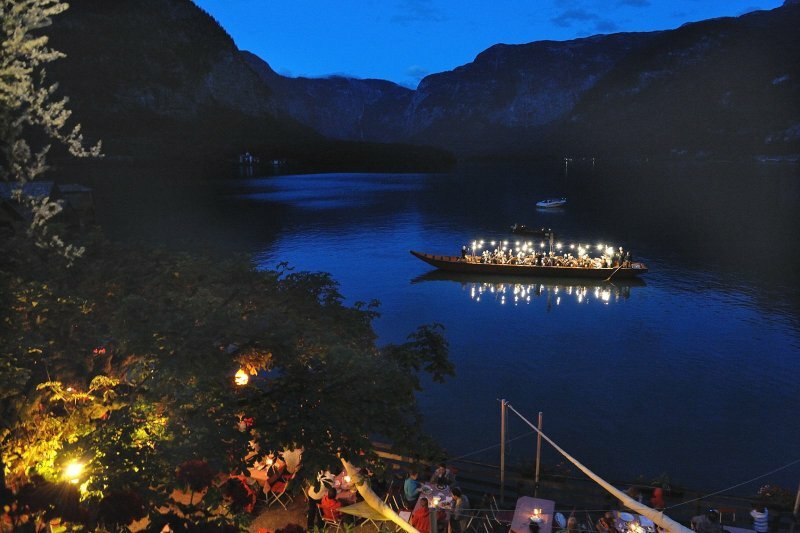 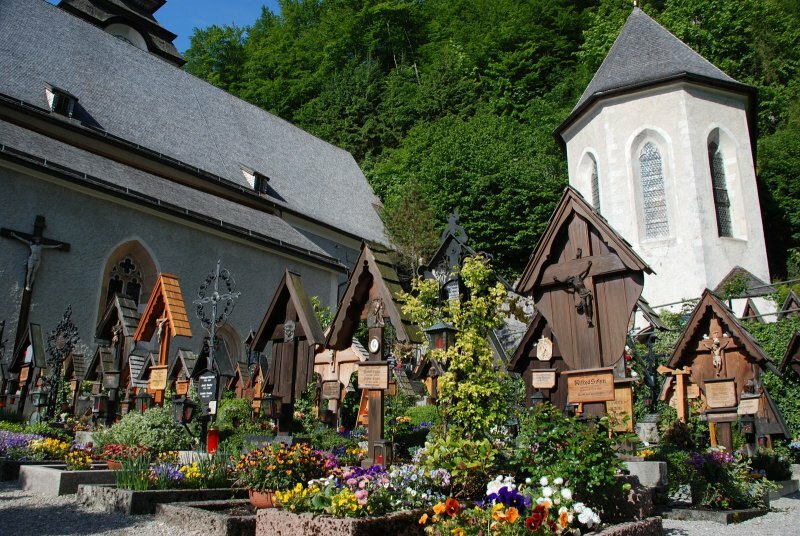 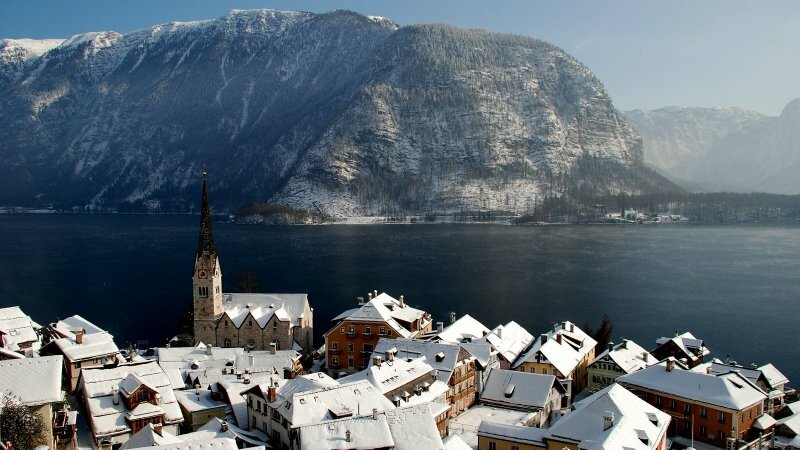 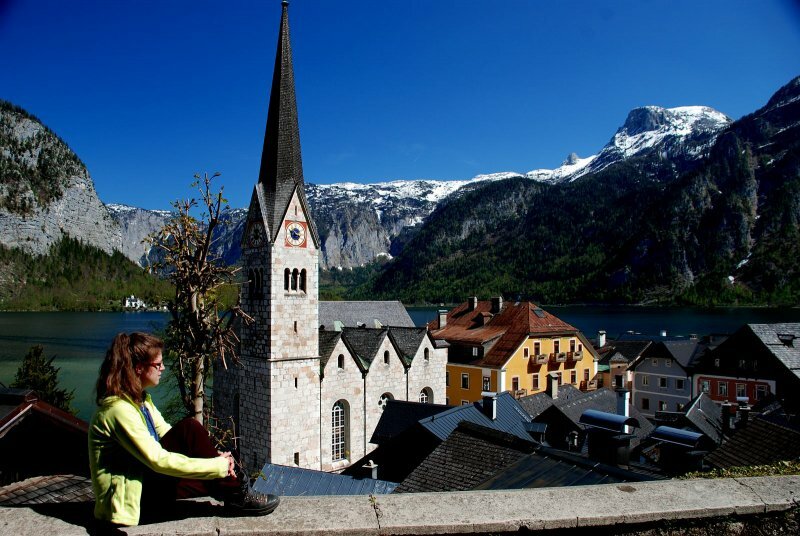 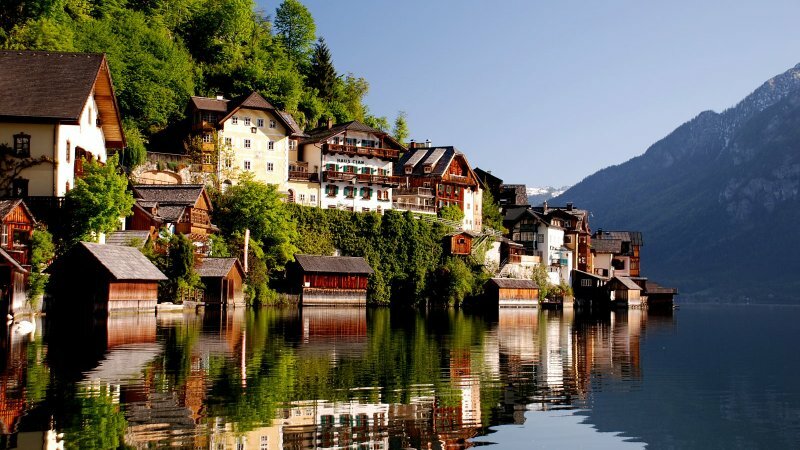 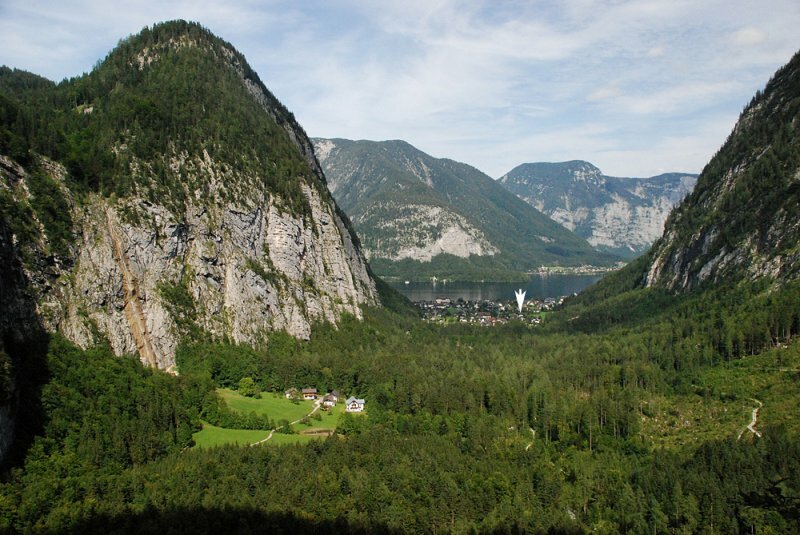 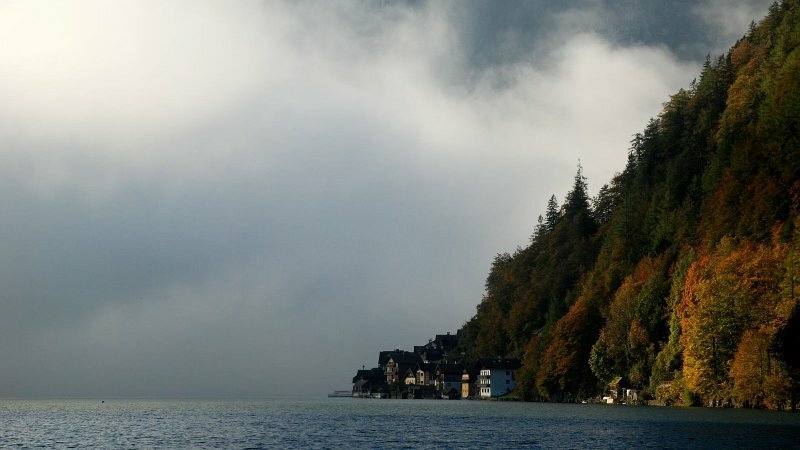 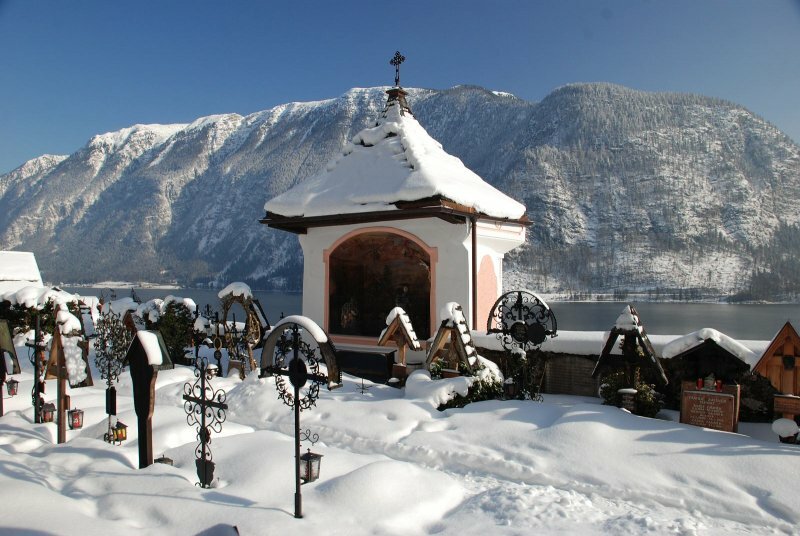 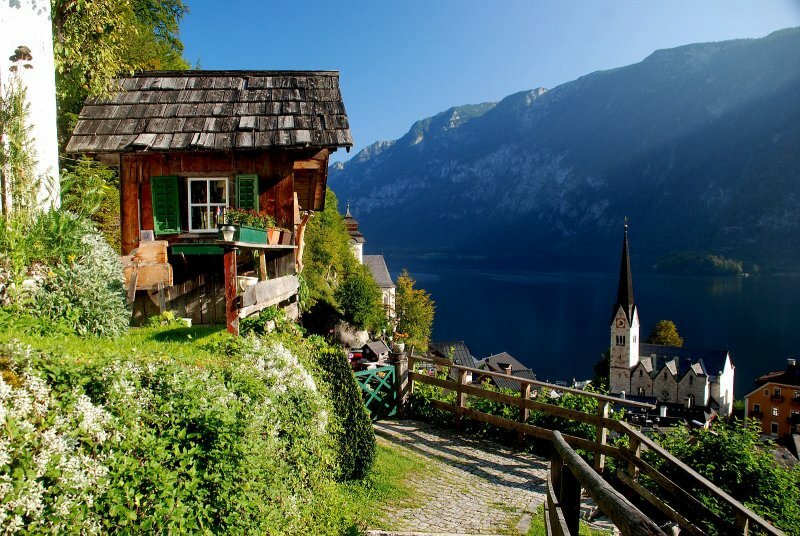 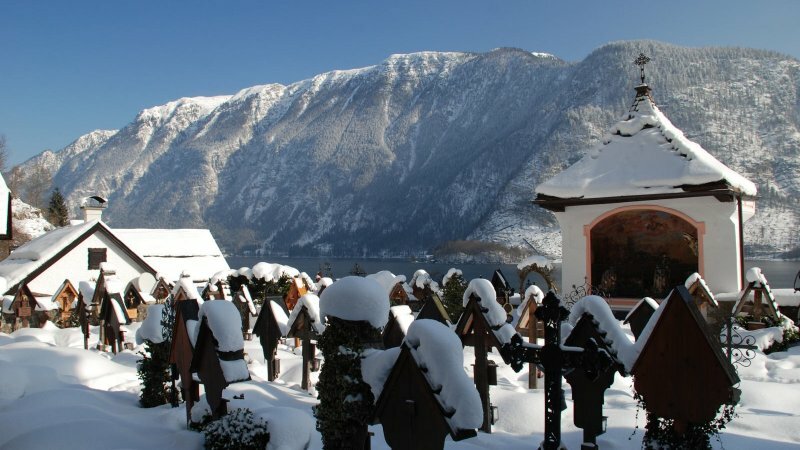 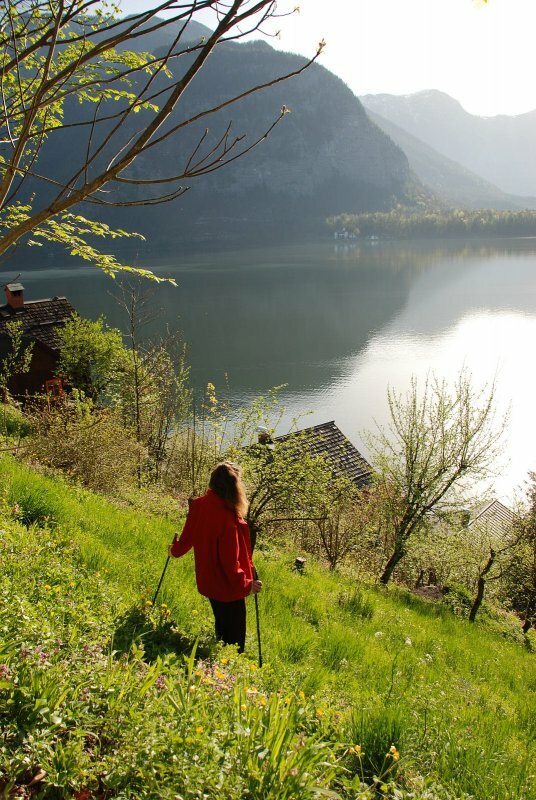 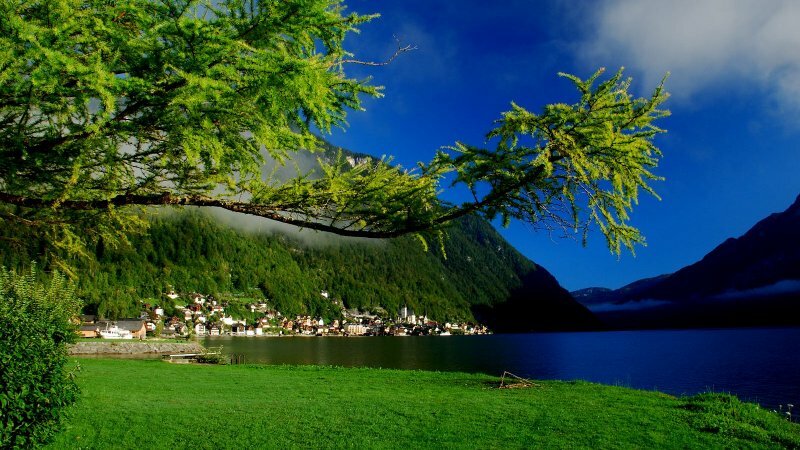 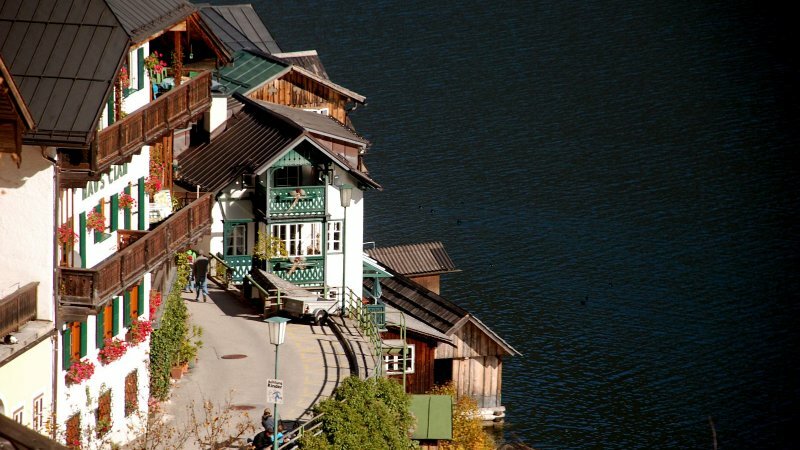 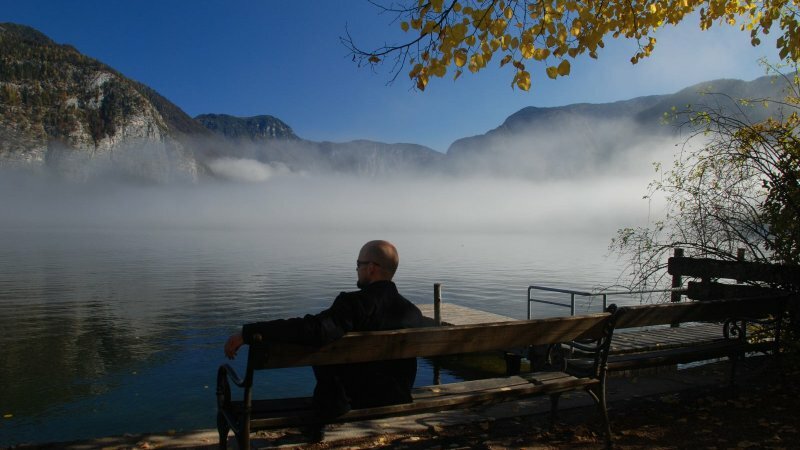 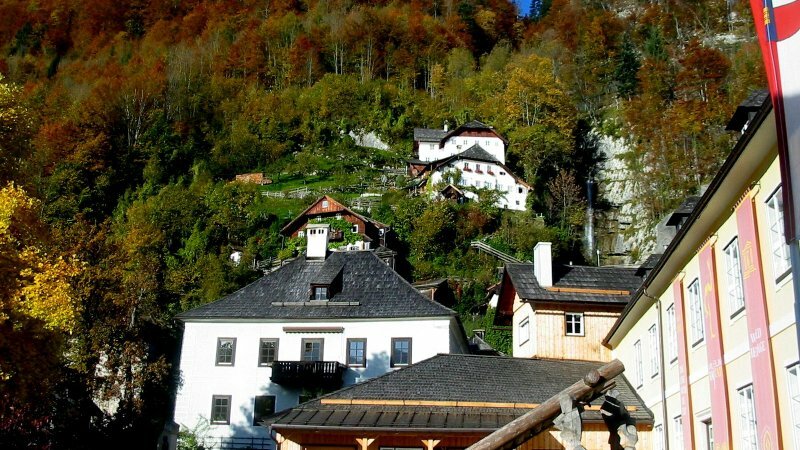 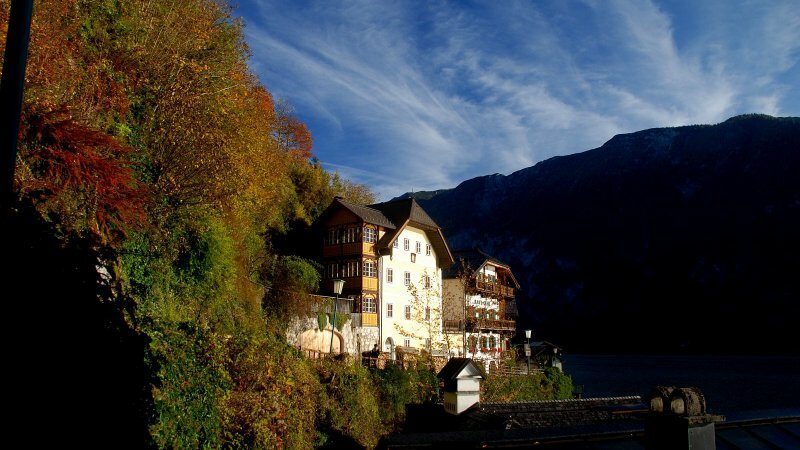 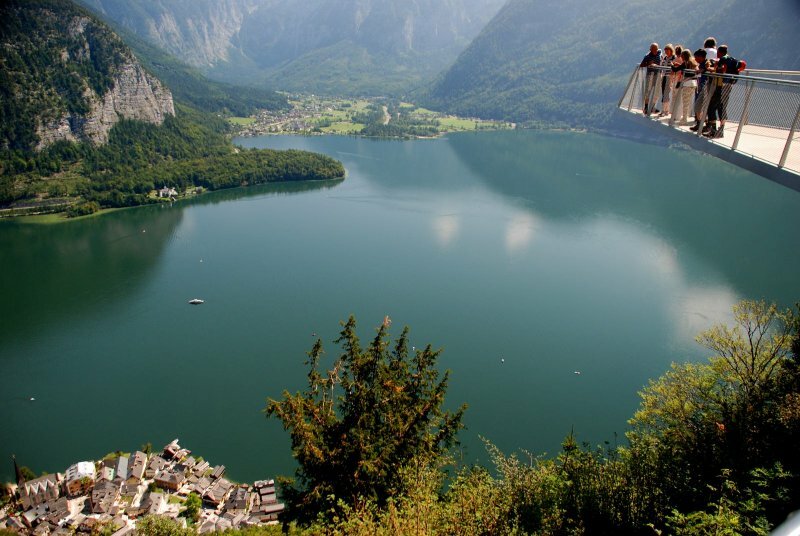 Hallstatt, the wild-romantic Echerntal and Haus Cijan – one night is just not enough as there is so much to discover here. 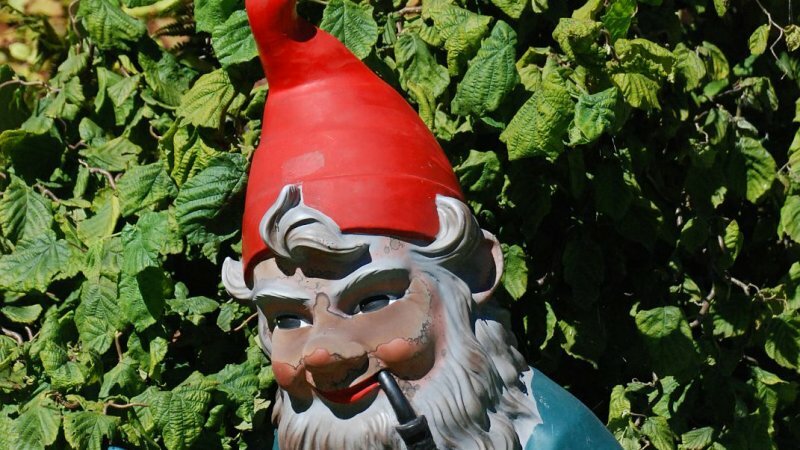 Just ask for a non-binding offer. 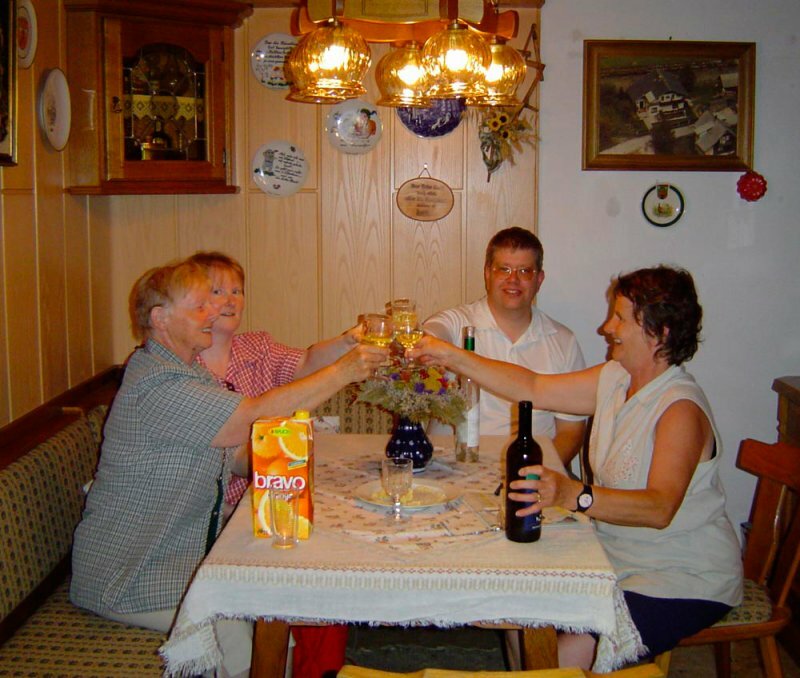 Your hostess, Hilde Cijan is looking forward to your message and hopes to welcome you soon. 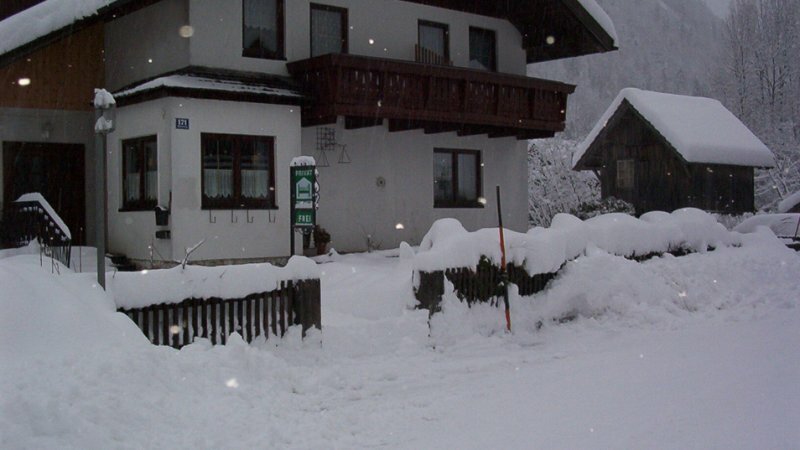 If you arrive earlier than 16:00 or later than 18:00, please let us know. Send booking inquiry for B&B Hildegard Cijan now!